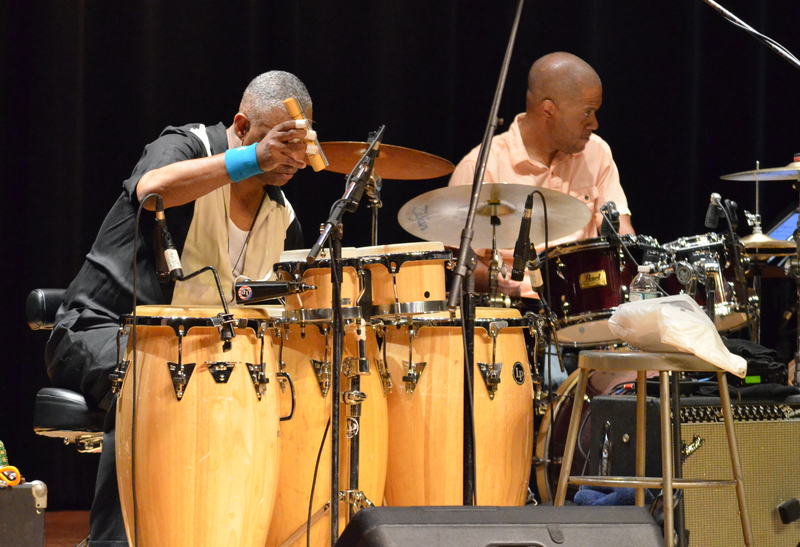 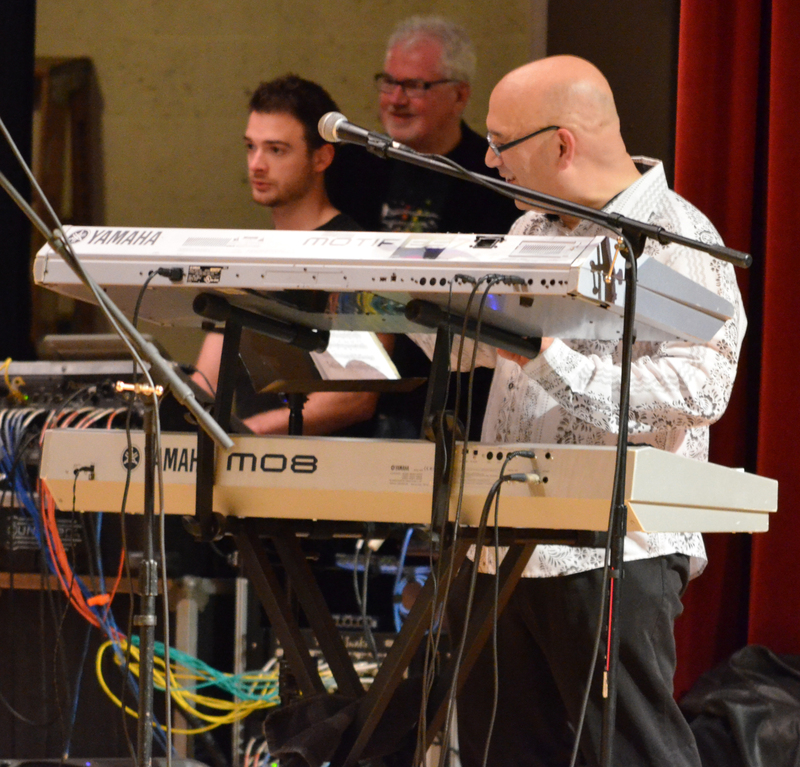 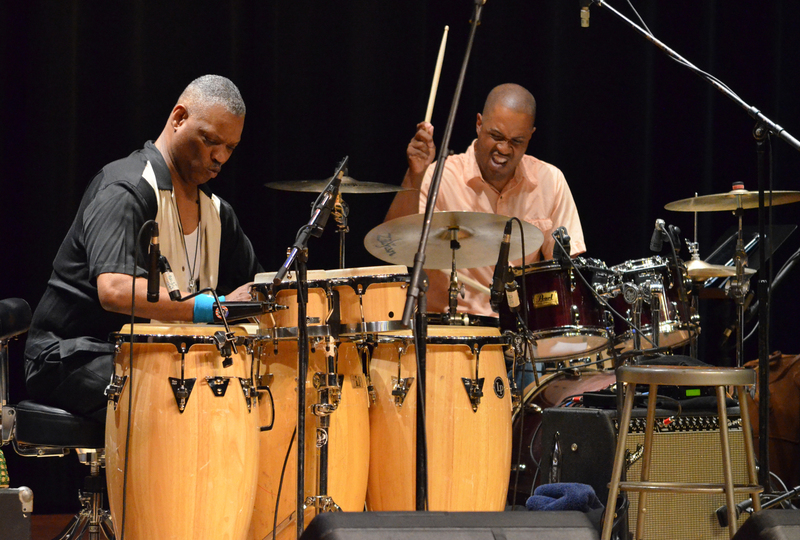 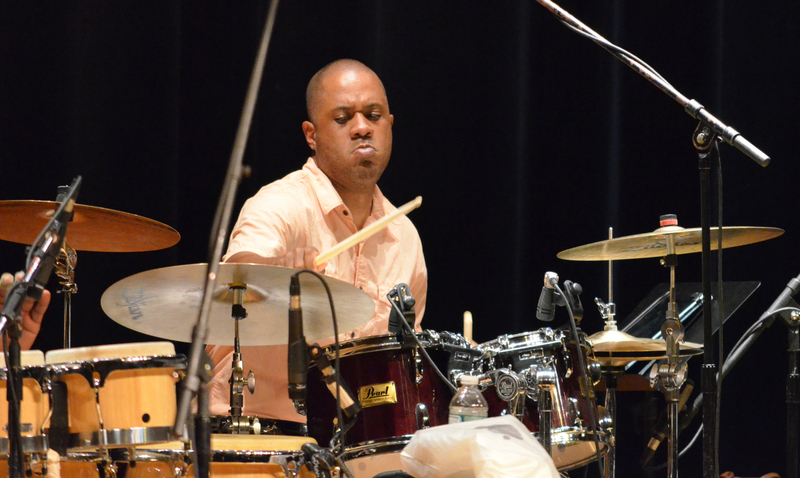 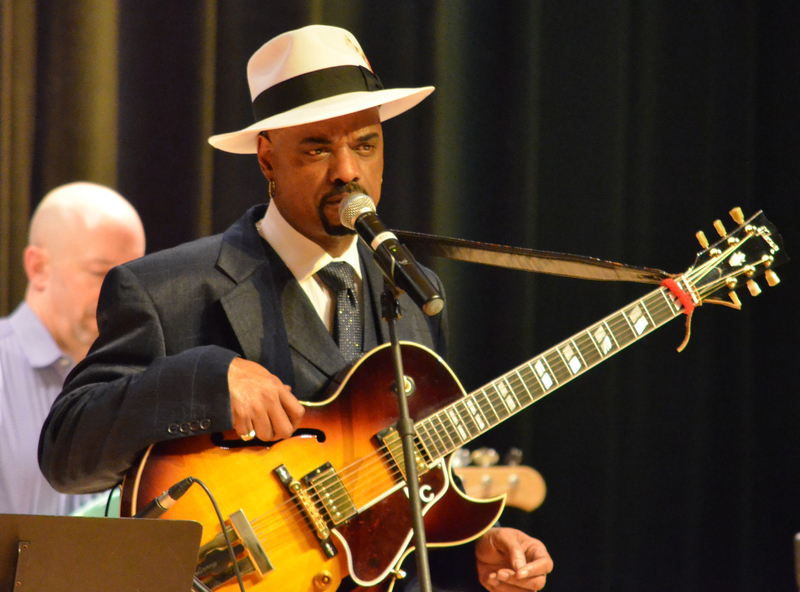 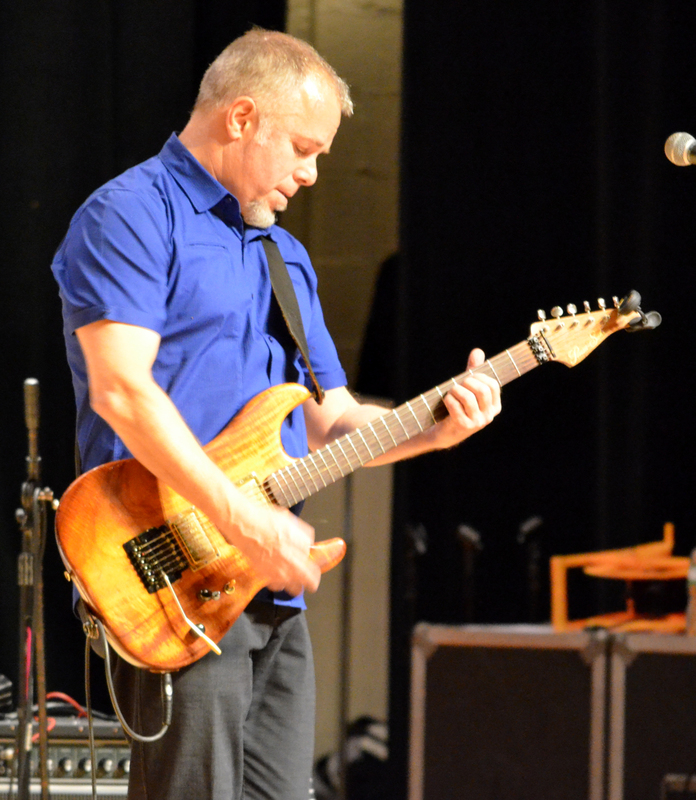 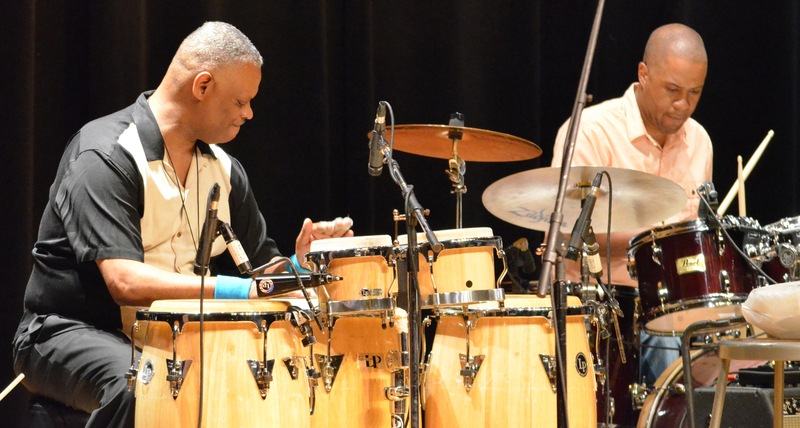 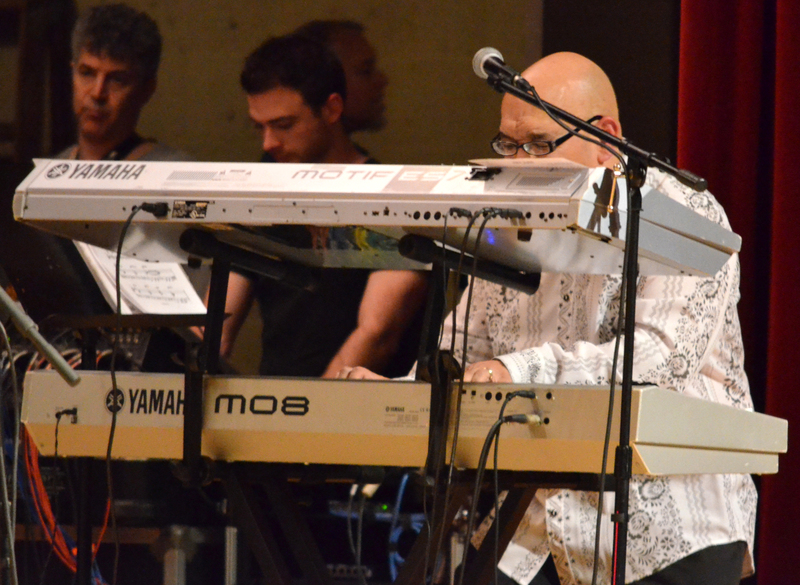 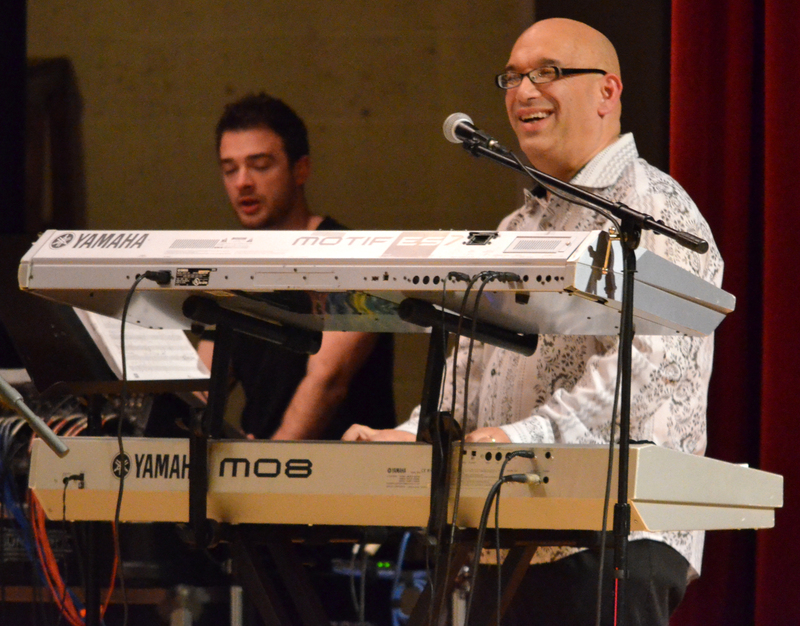 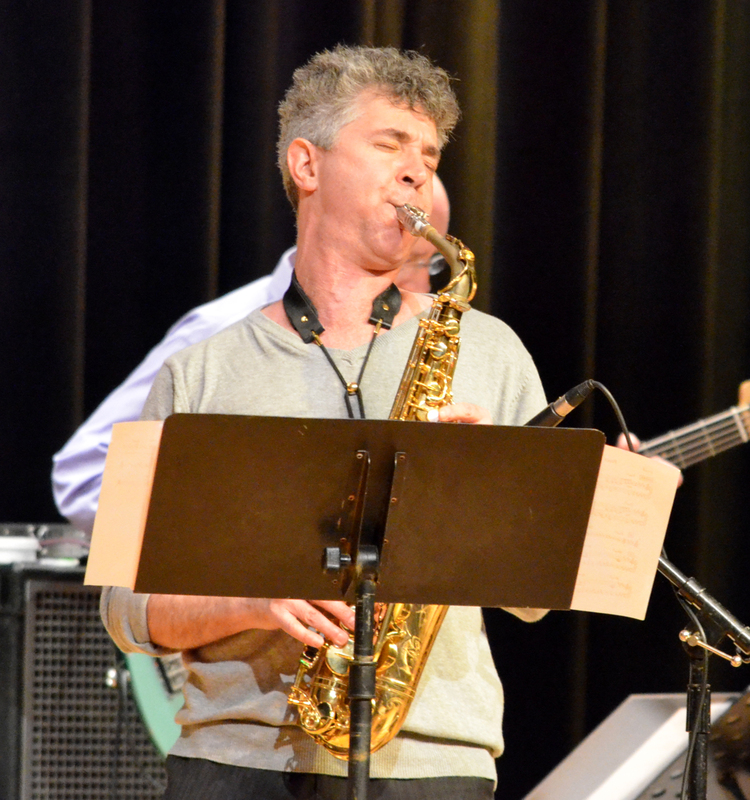 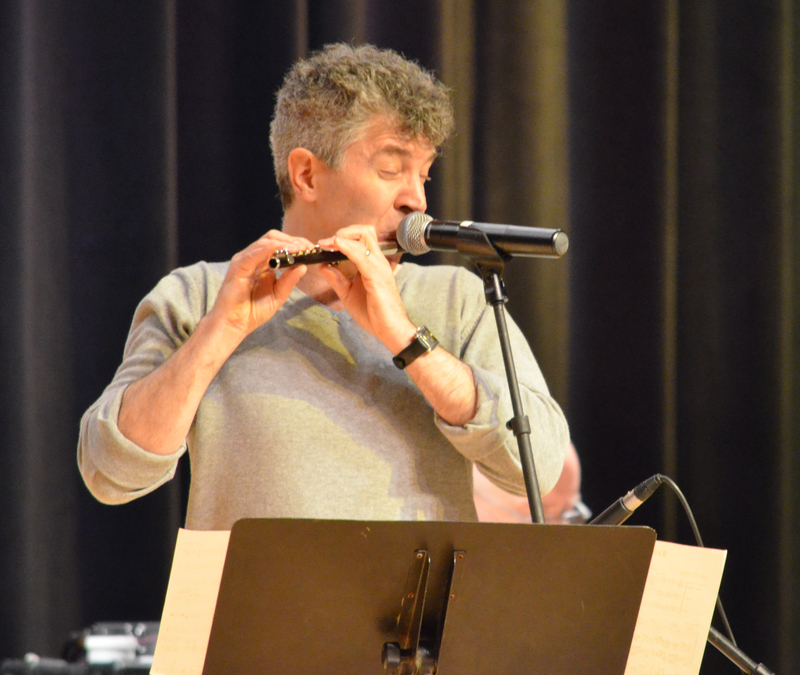 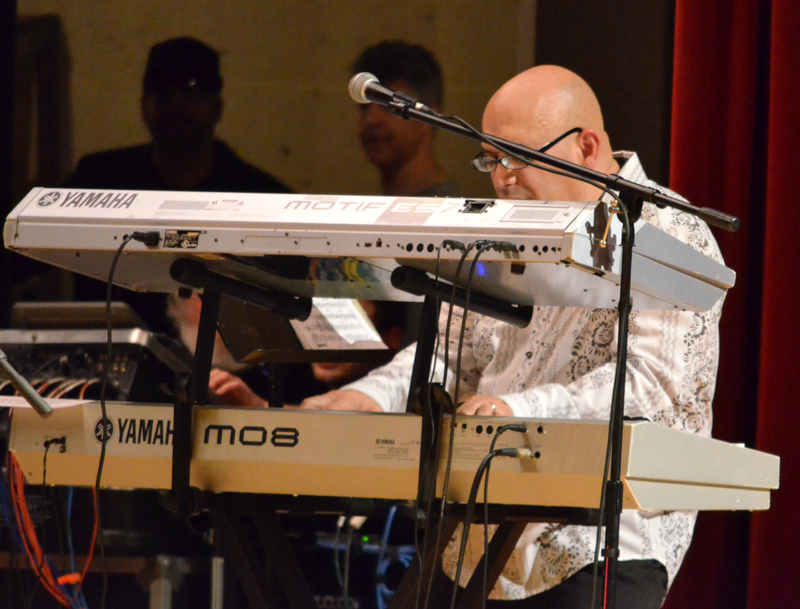 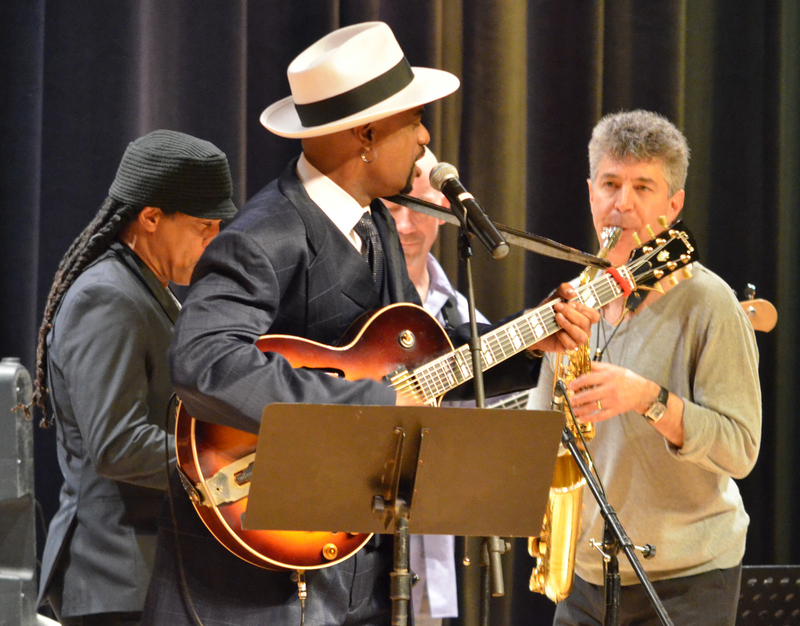 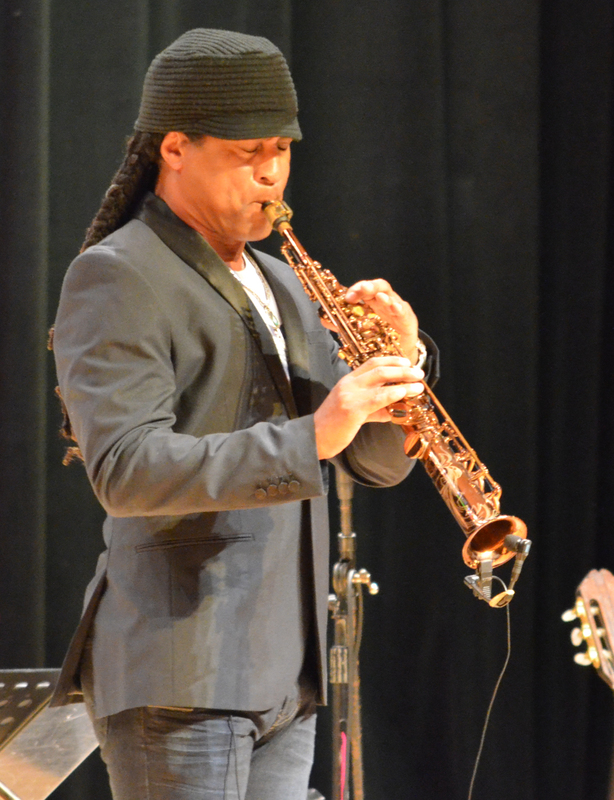 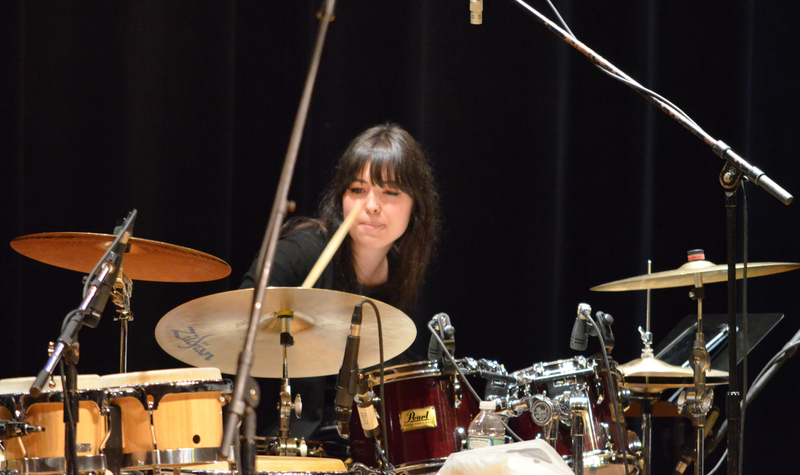 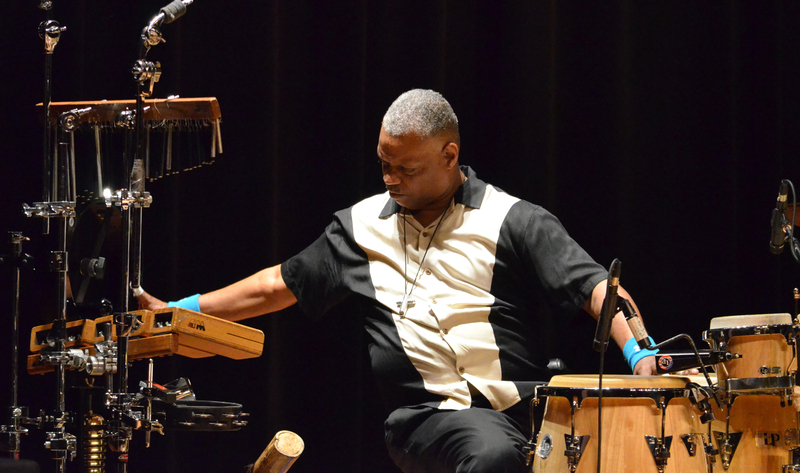 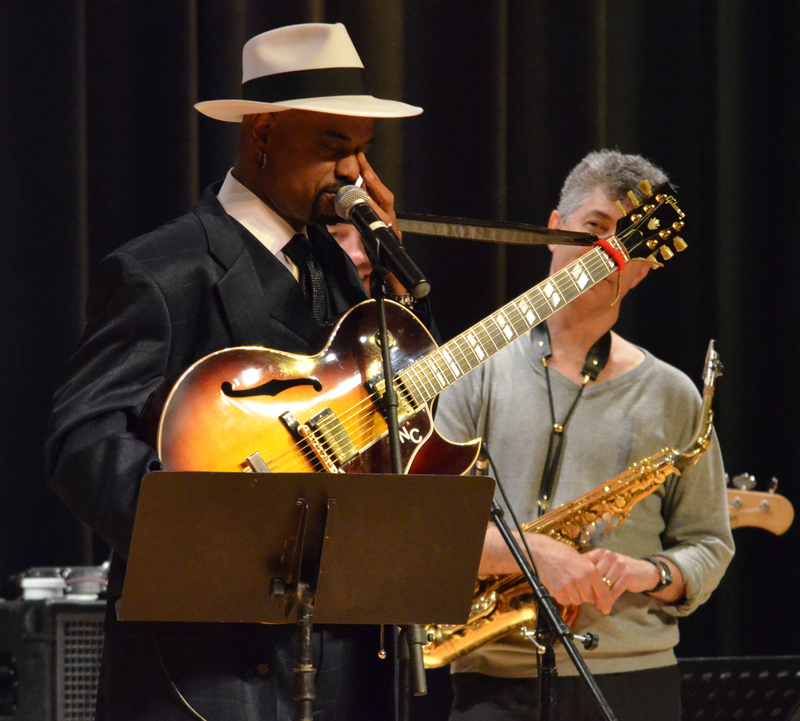 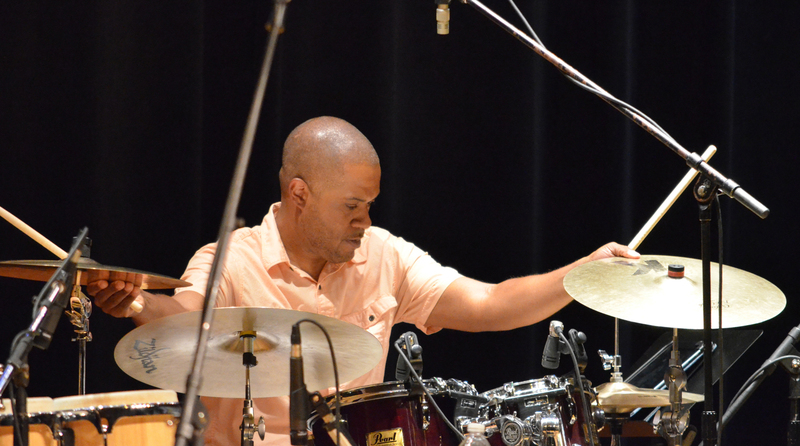 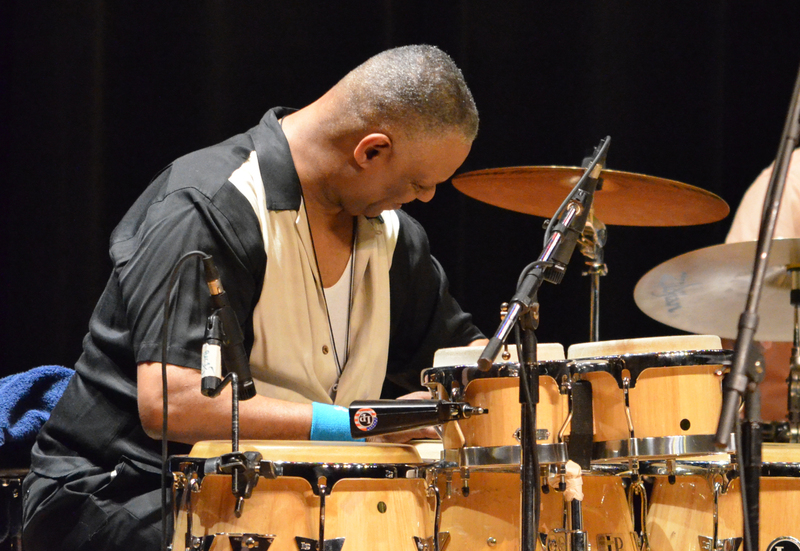 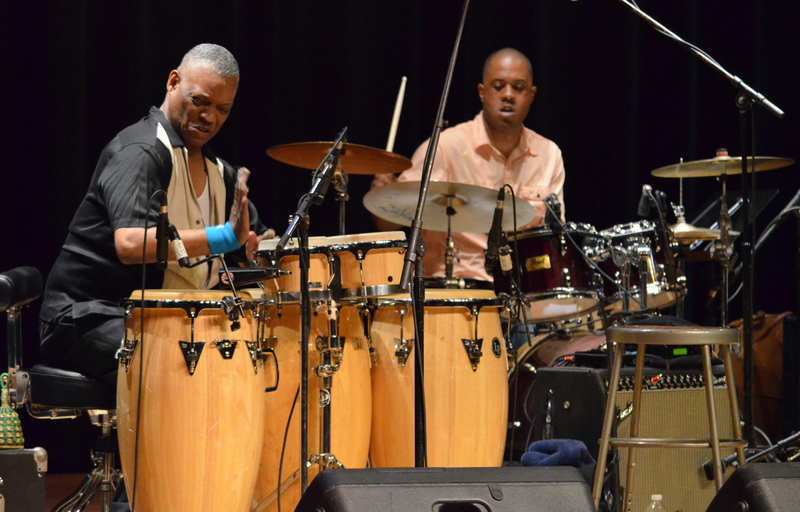 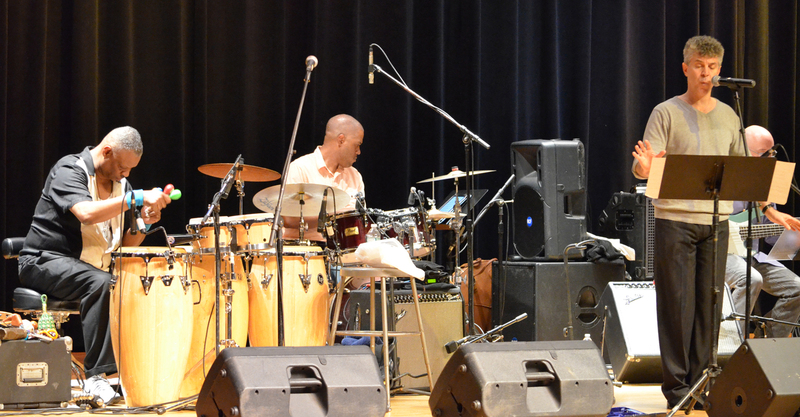 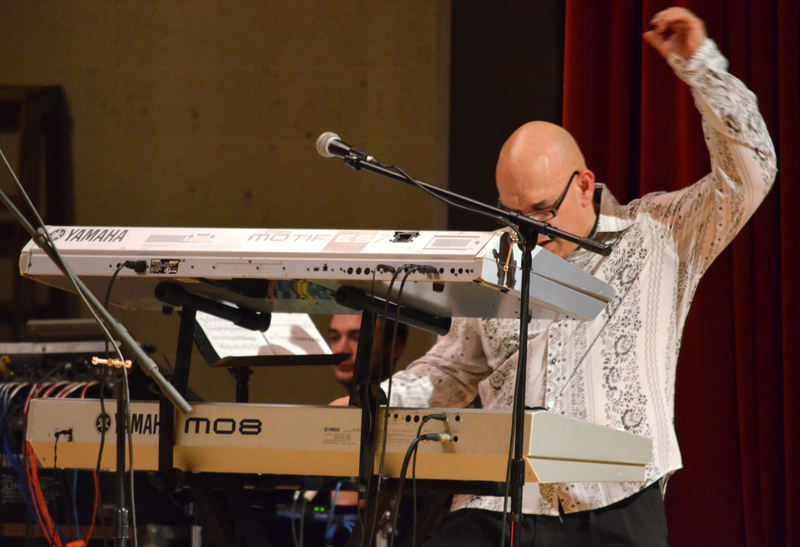 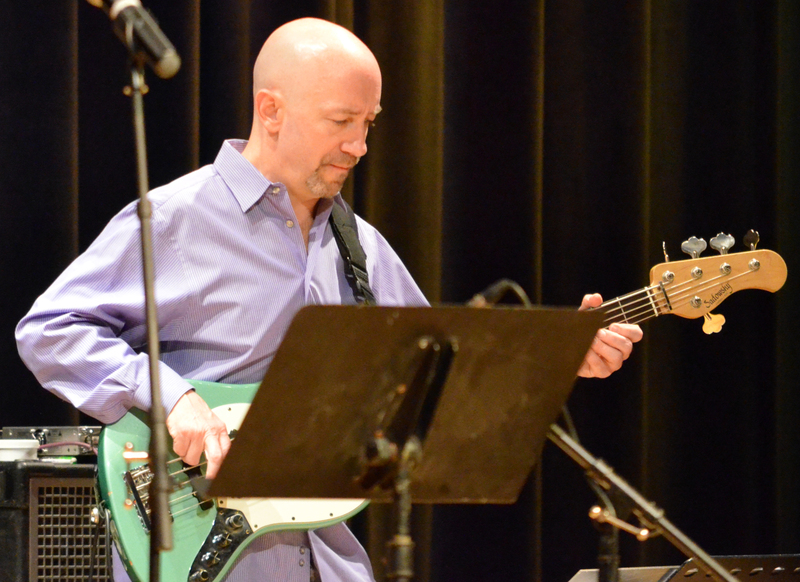 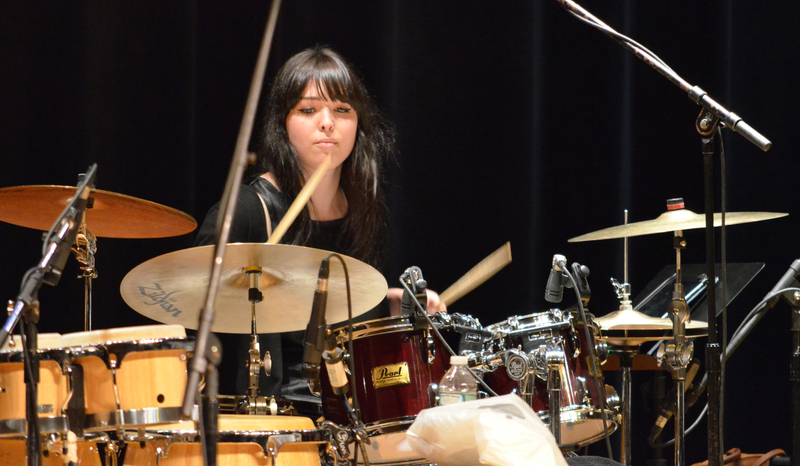 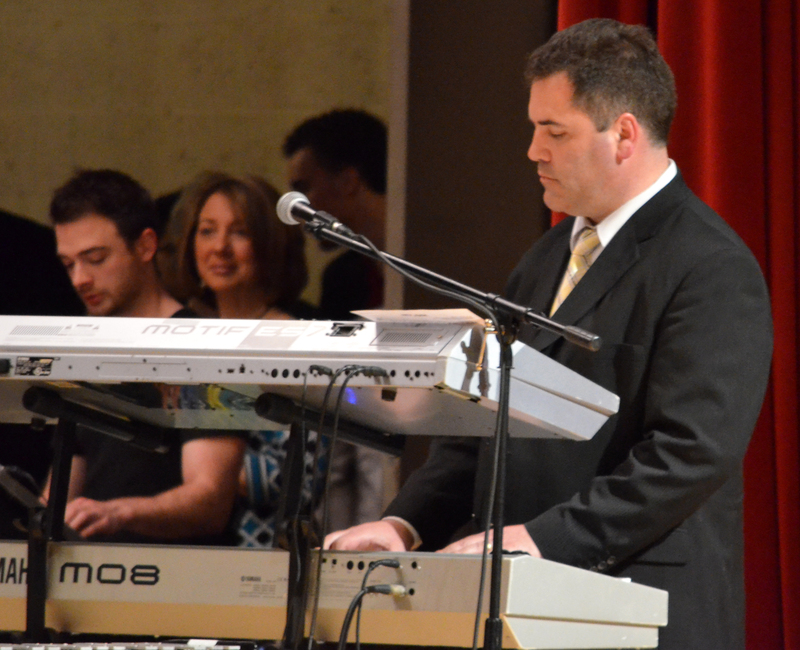 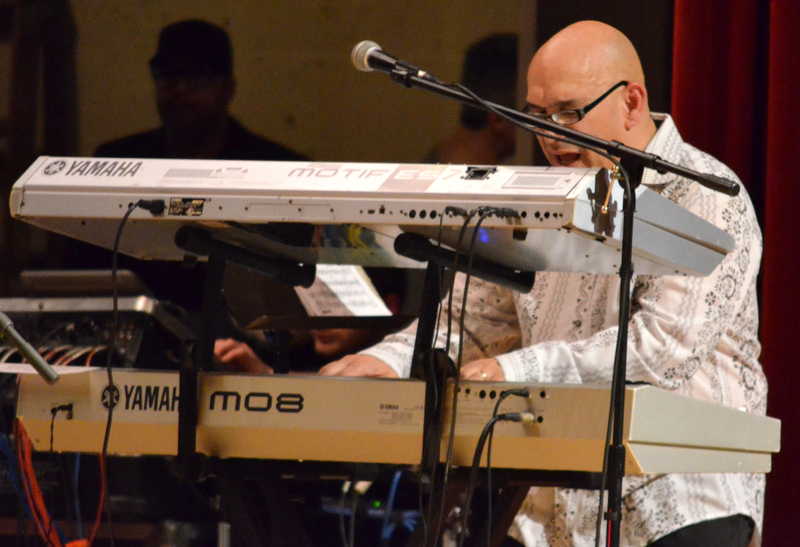 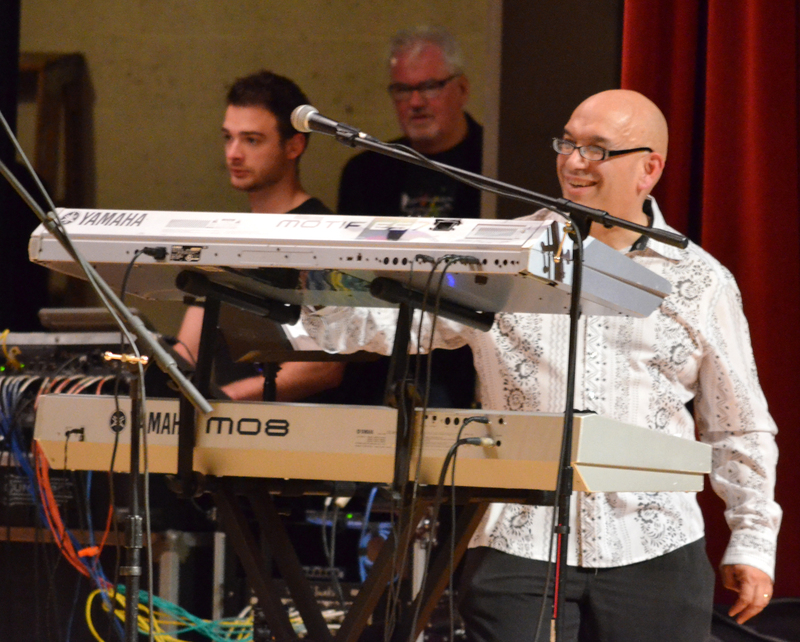 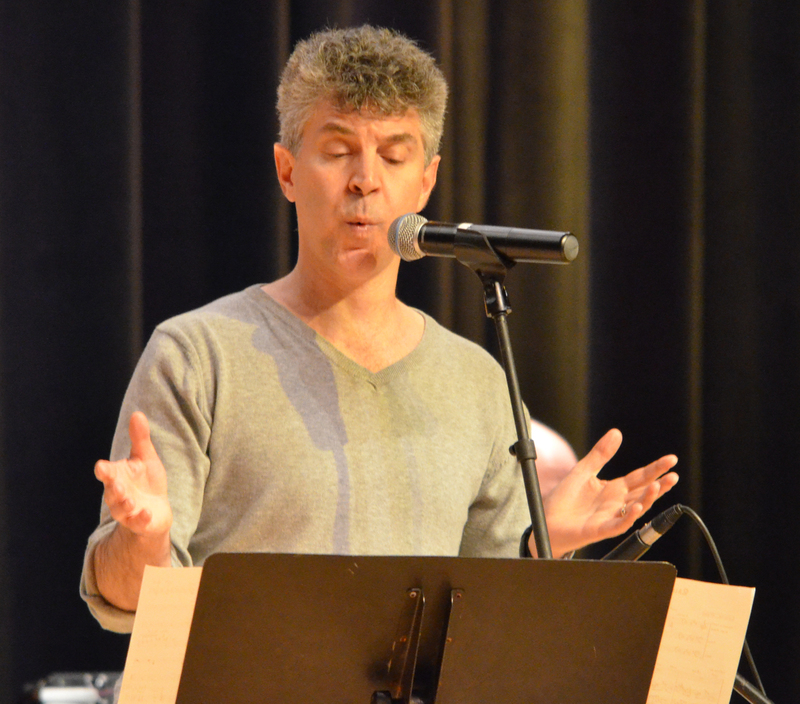 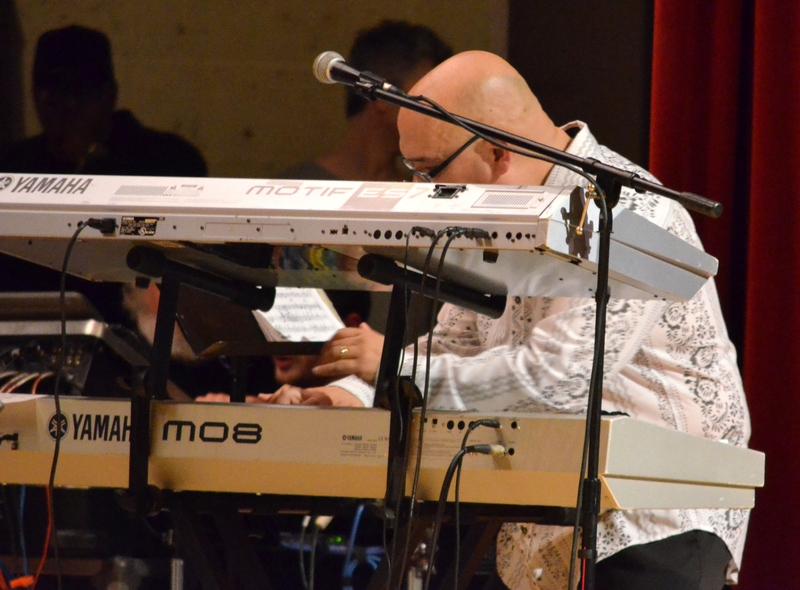 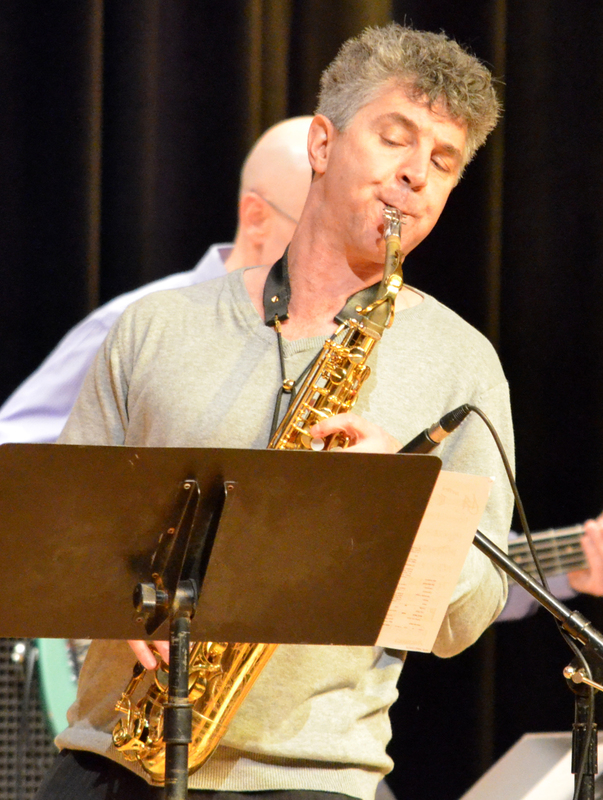 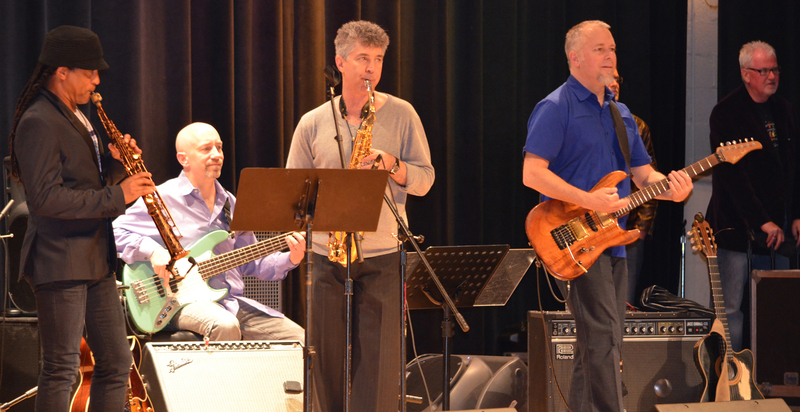 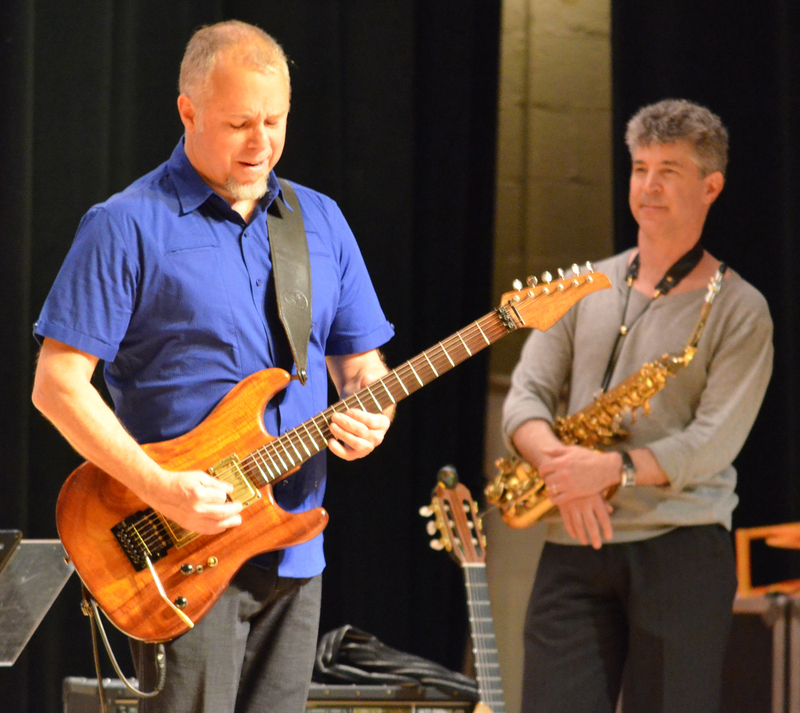 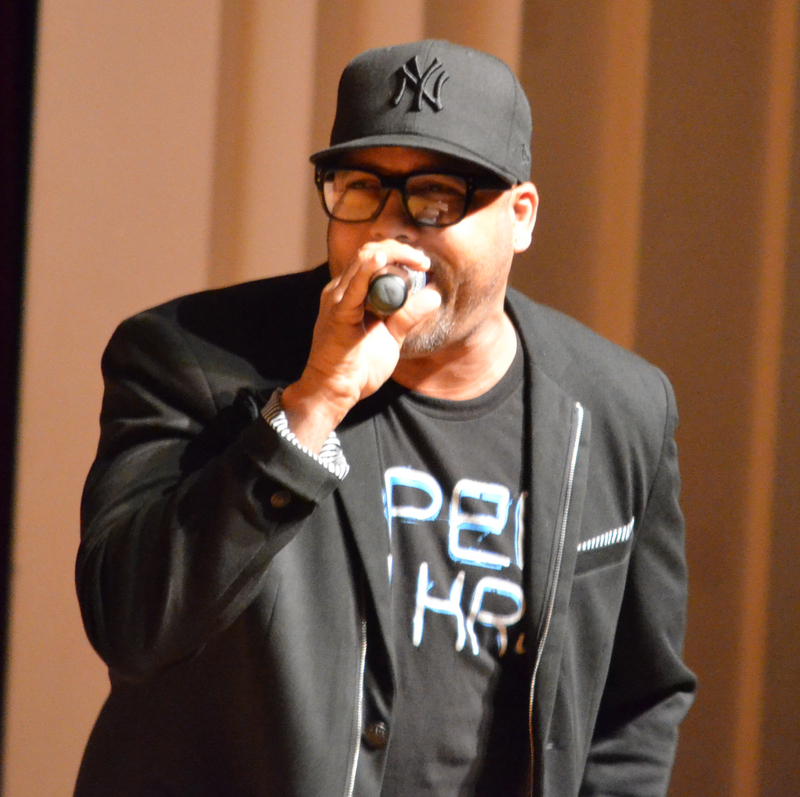 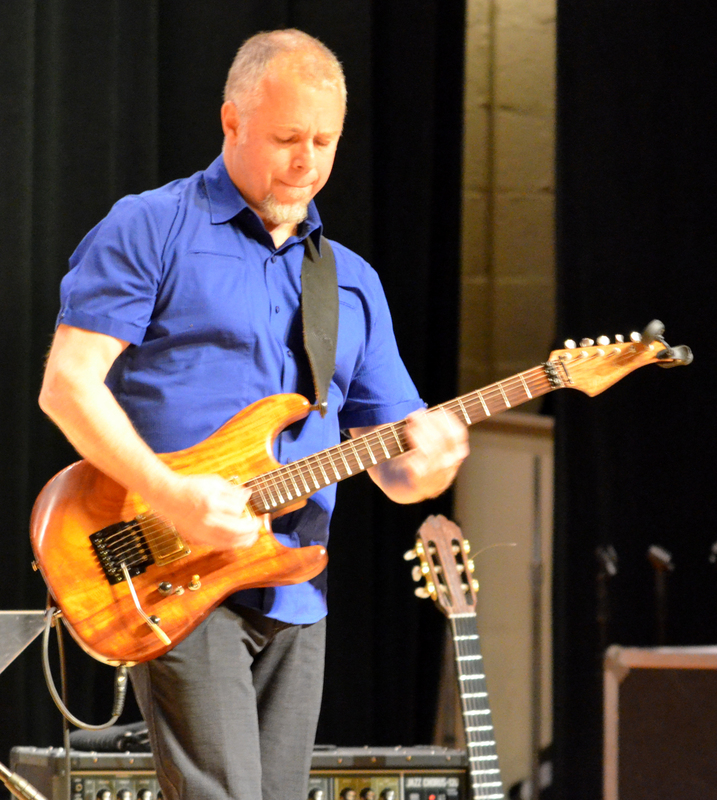 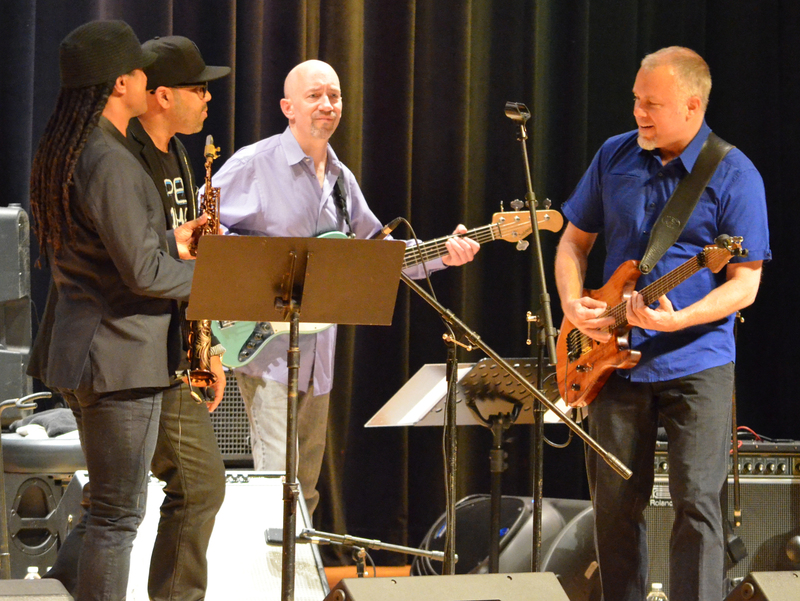 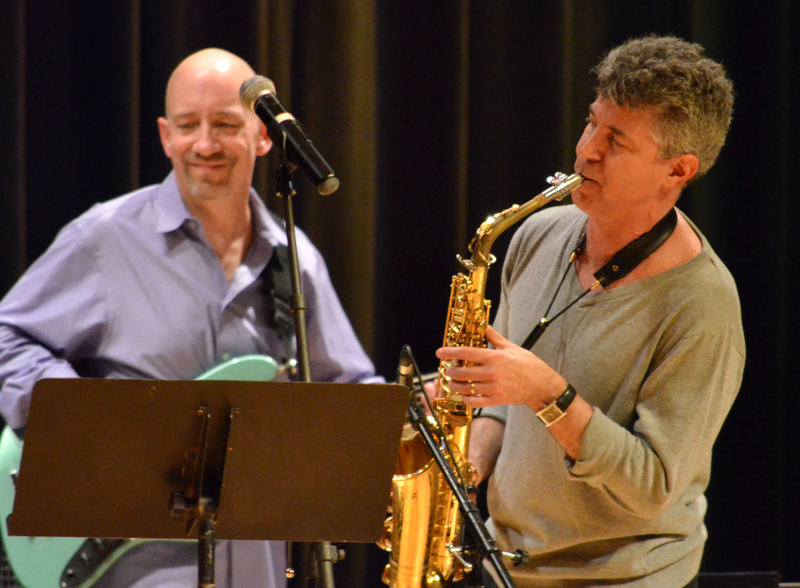 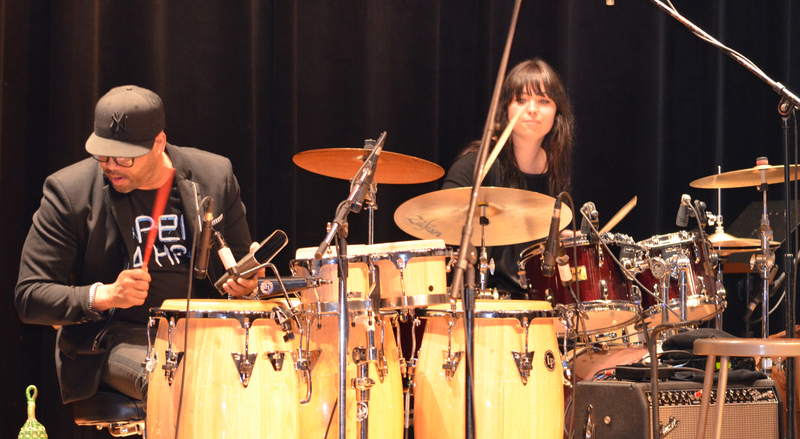 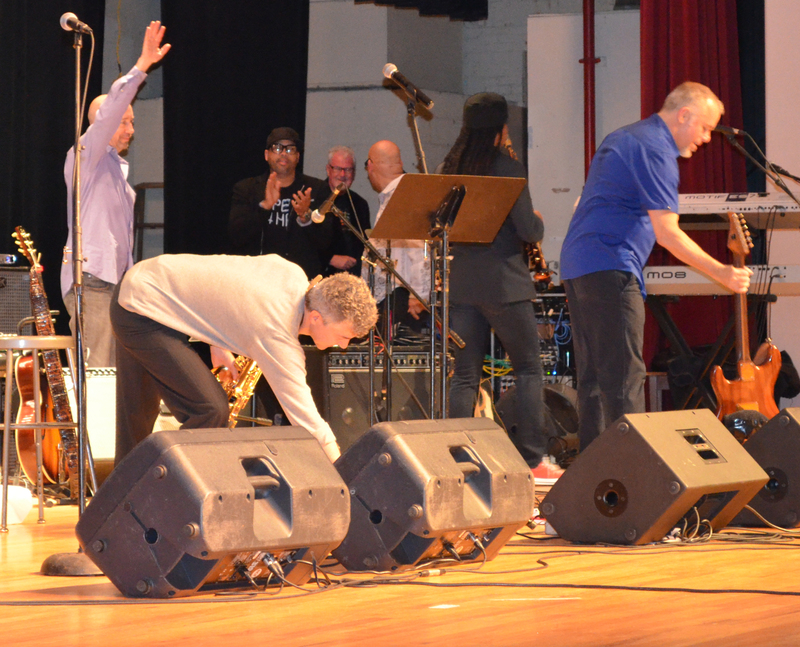 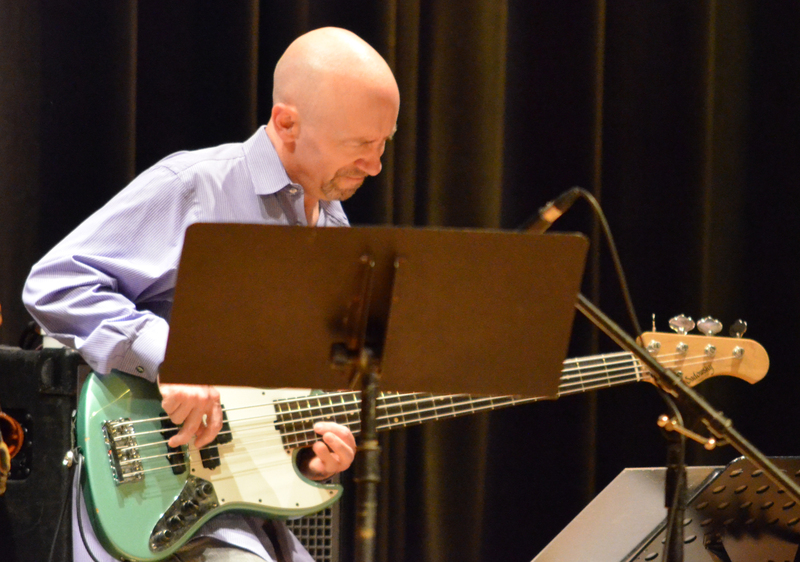 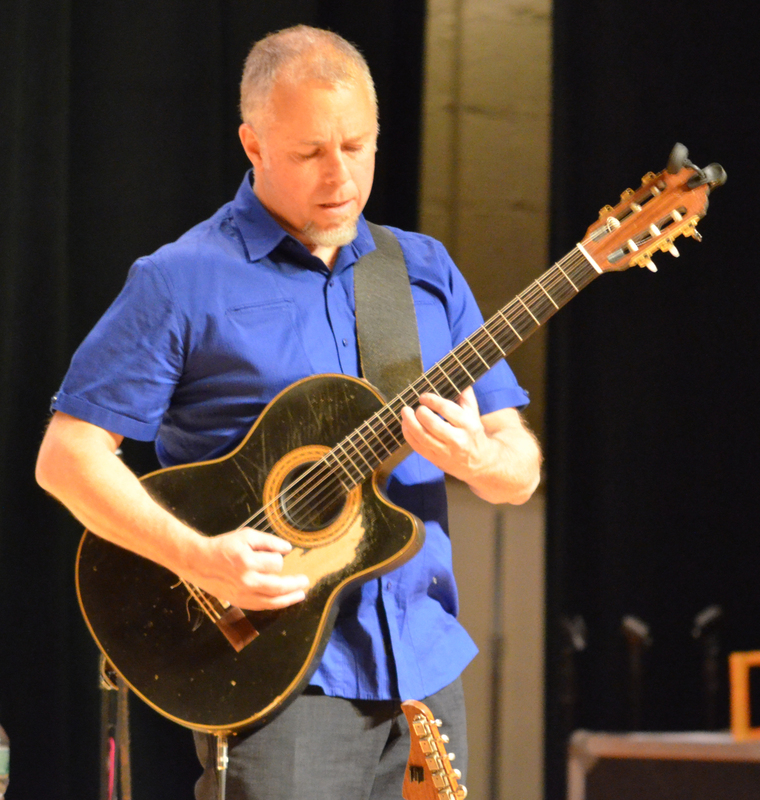 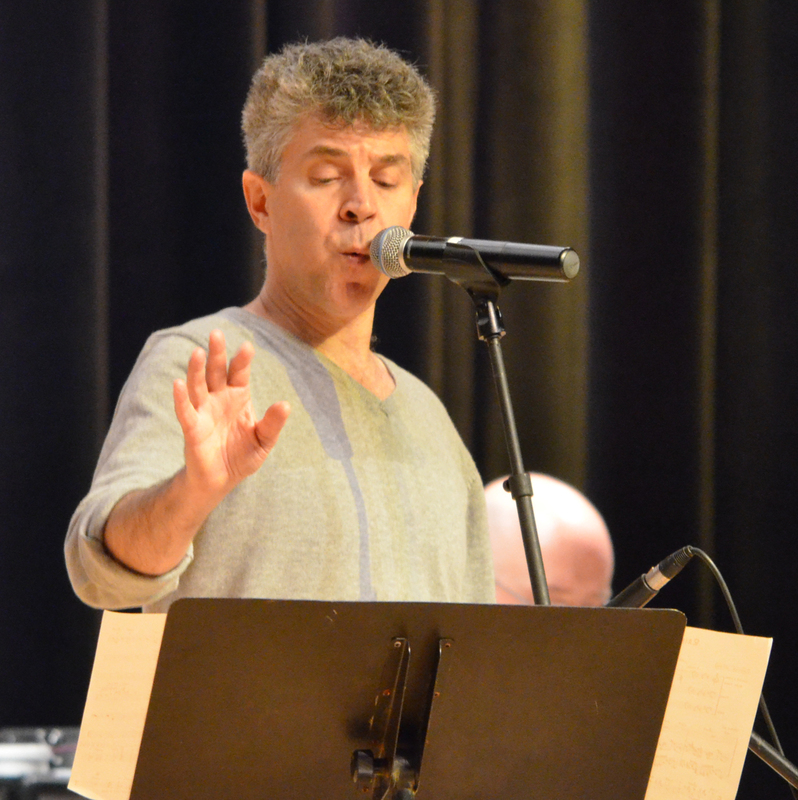 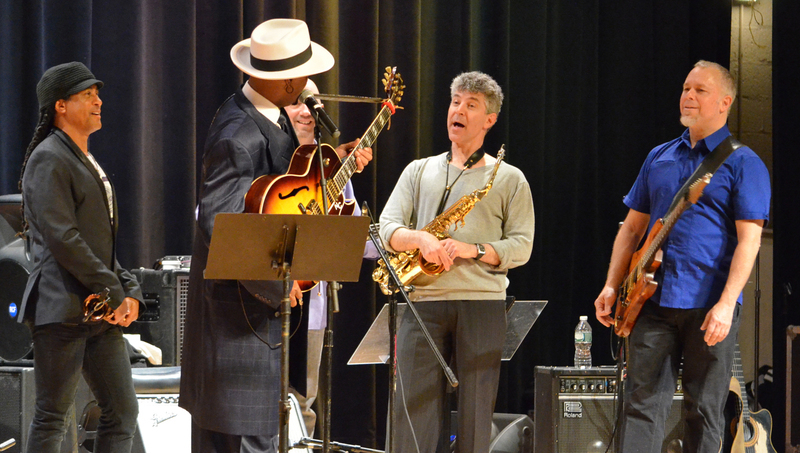 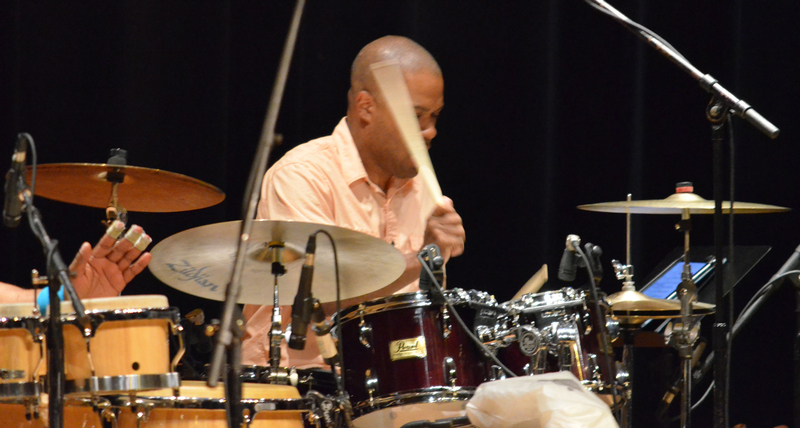 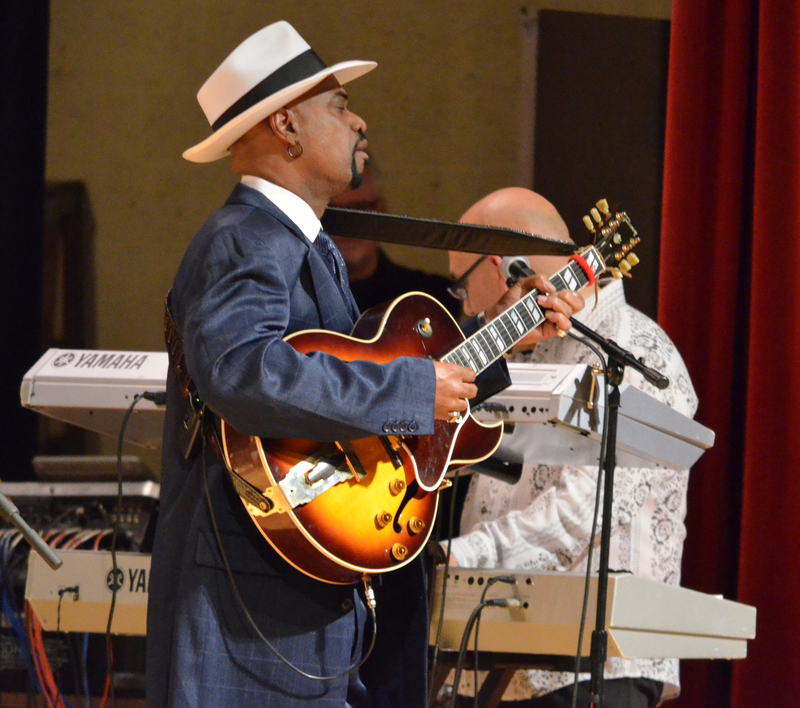 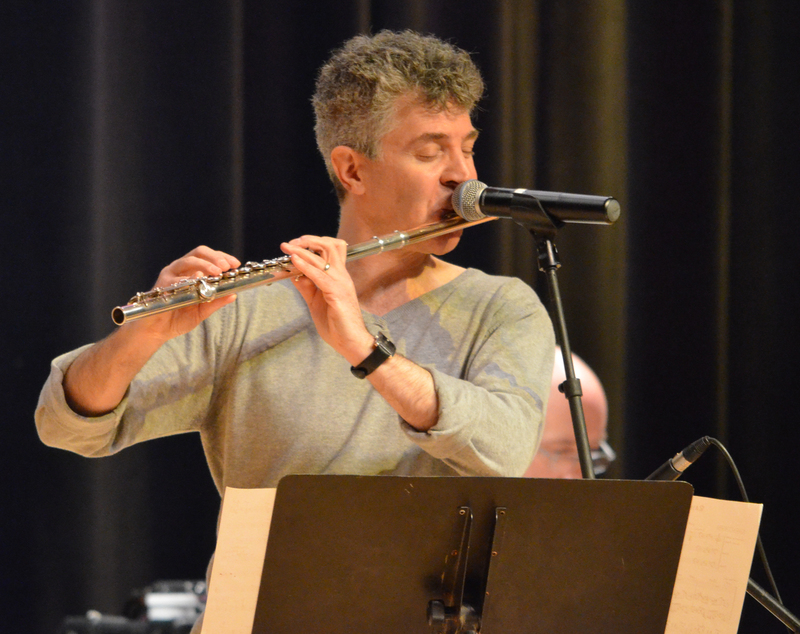 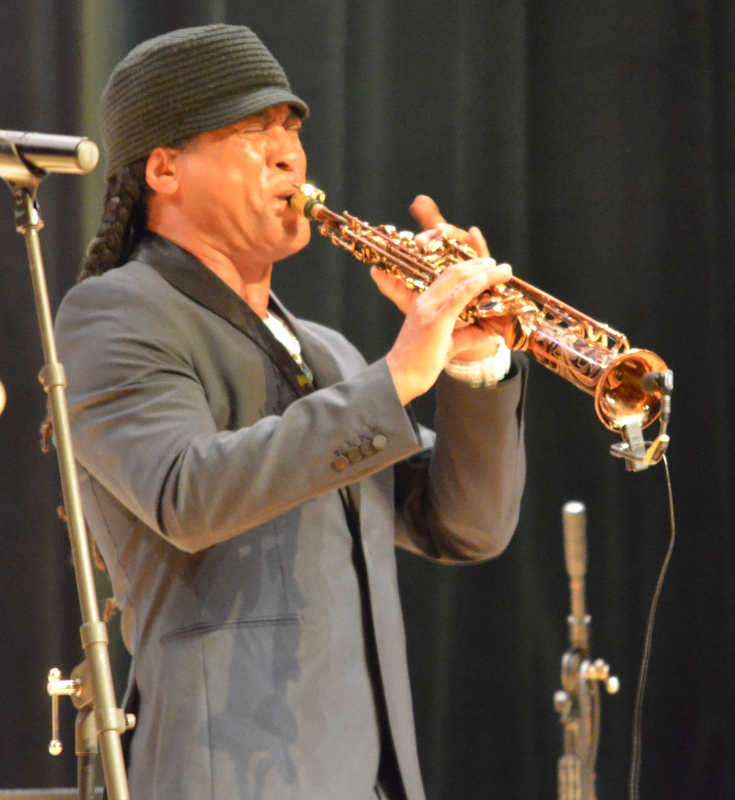 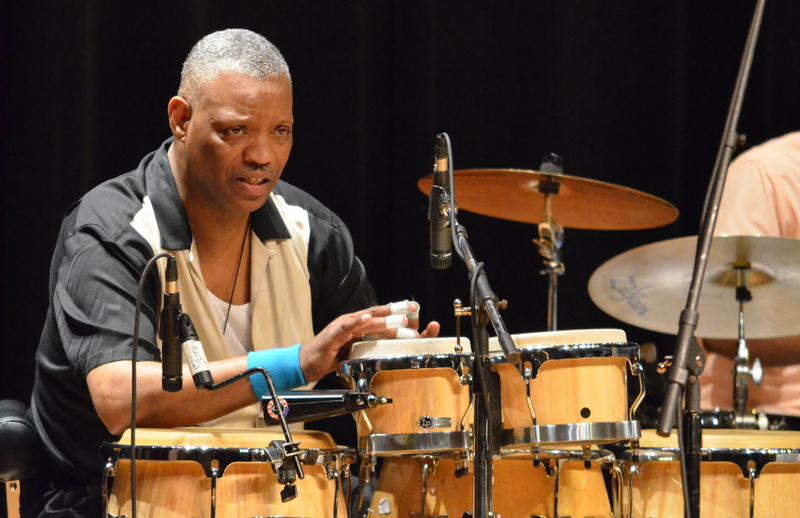 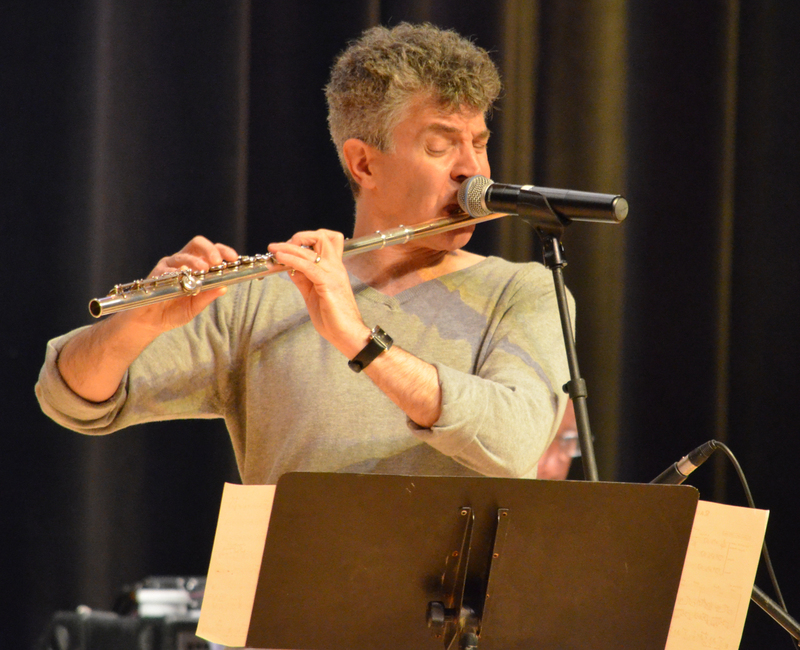 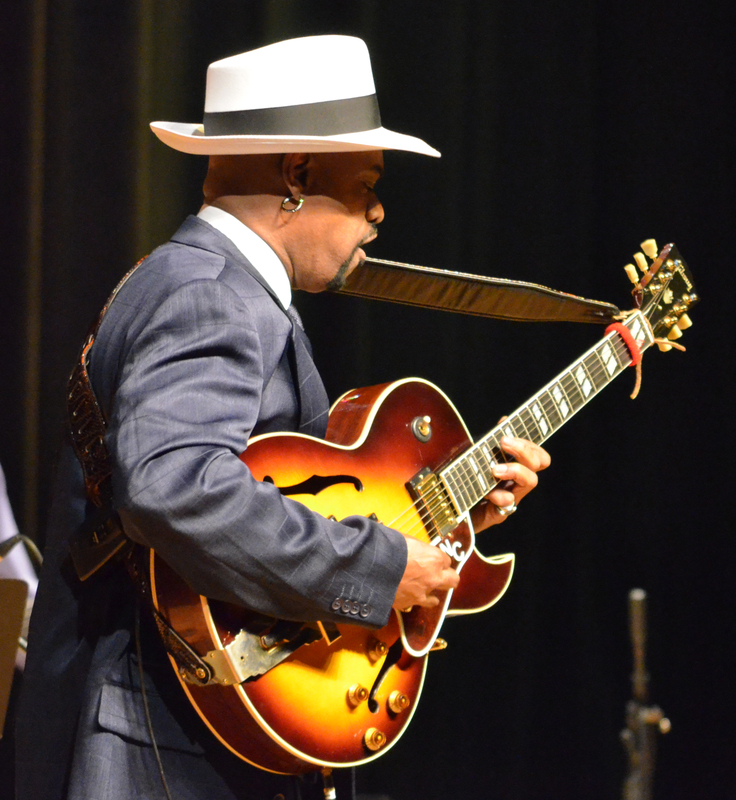 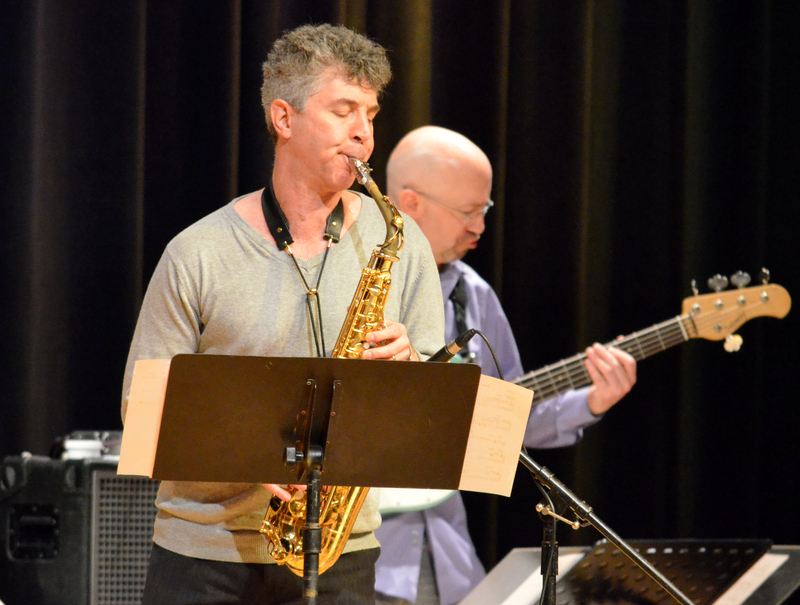 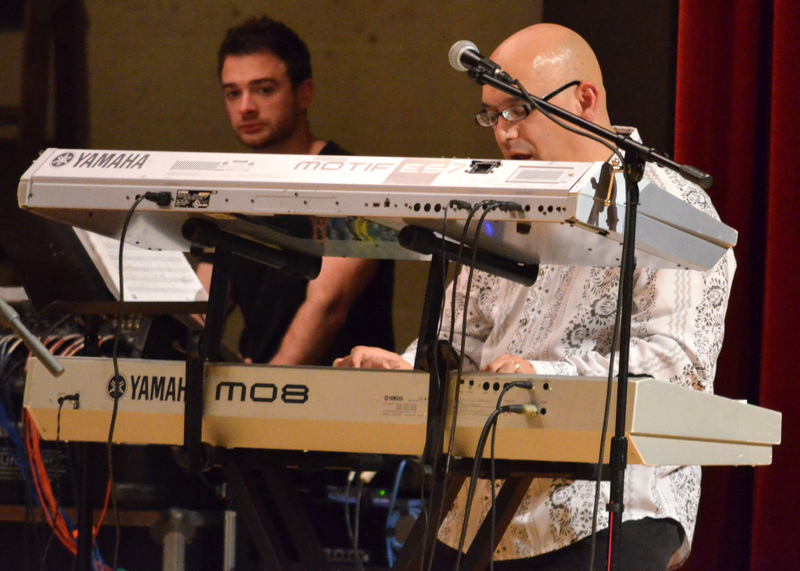 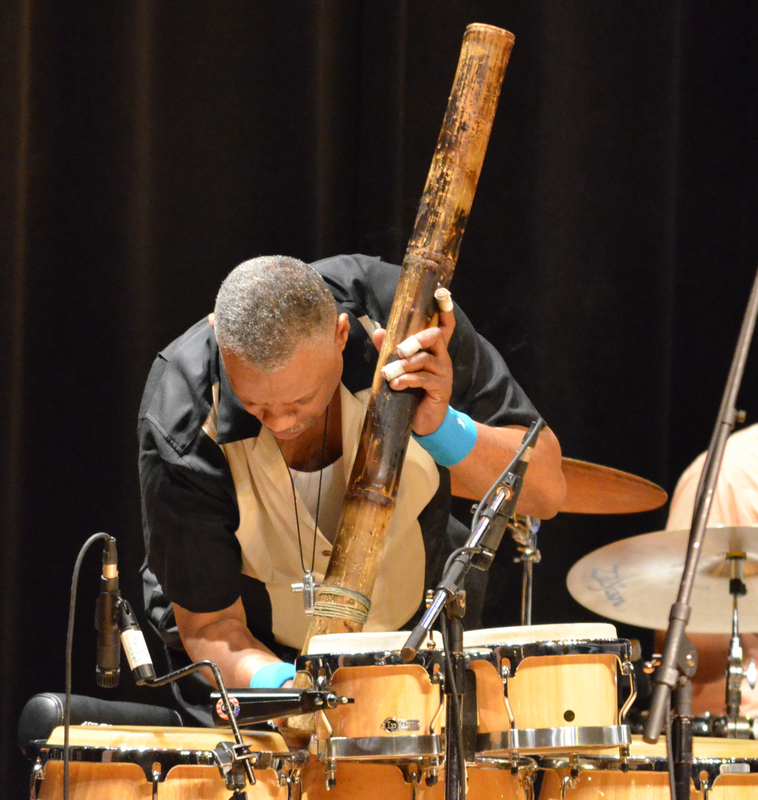 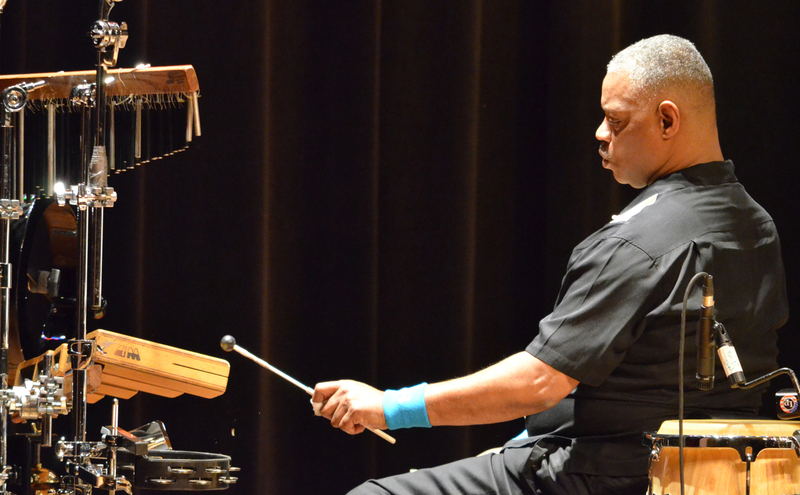 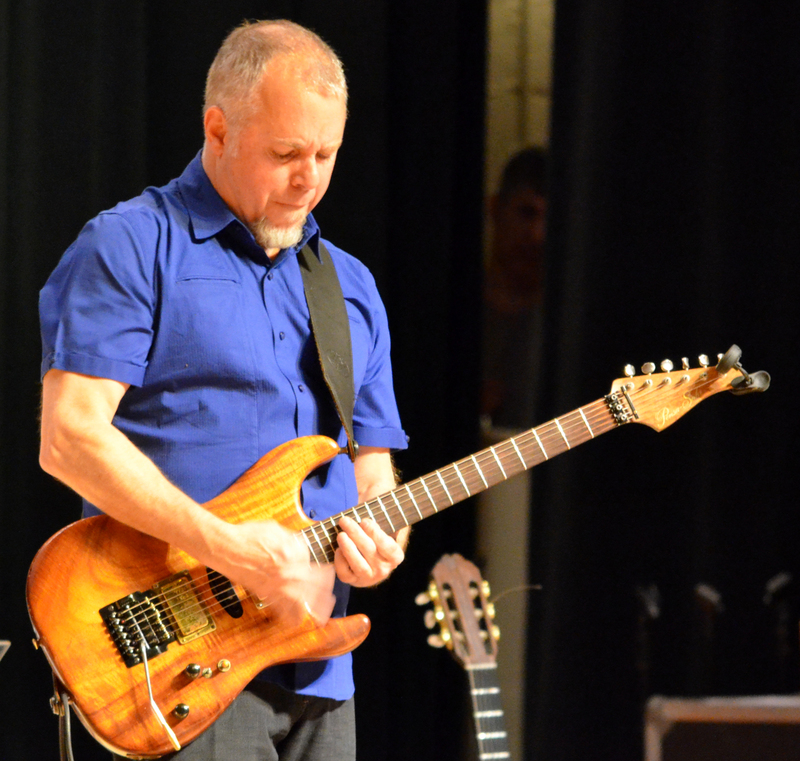 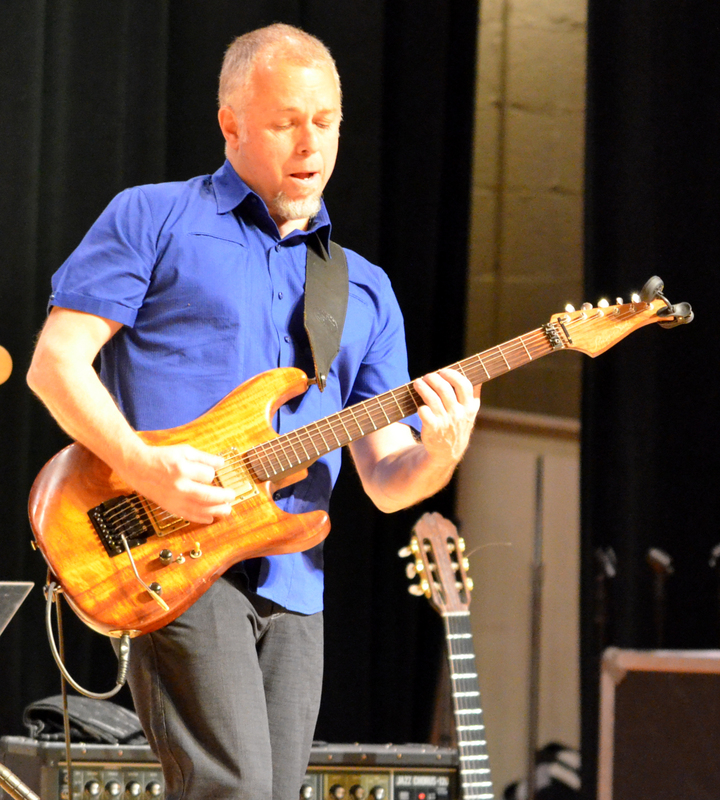 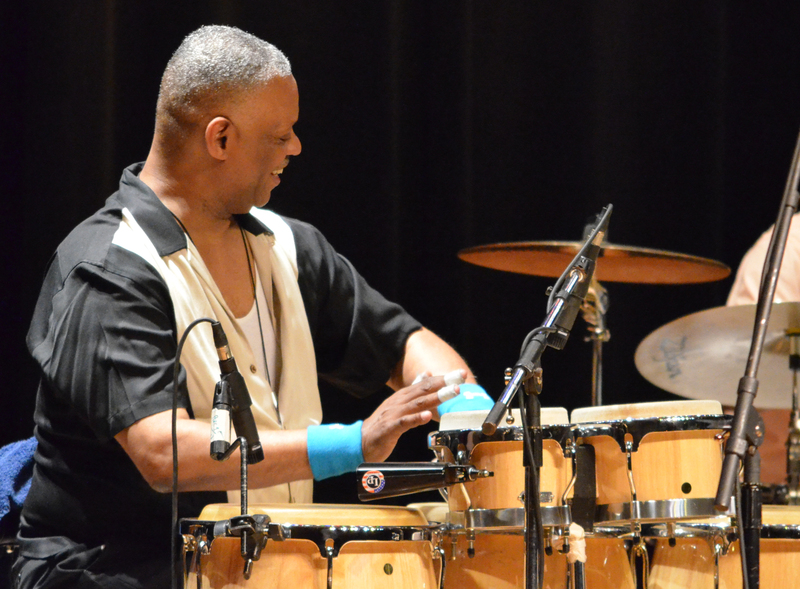 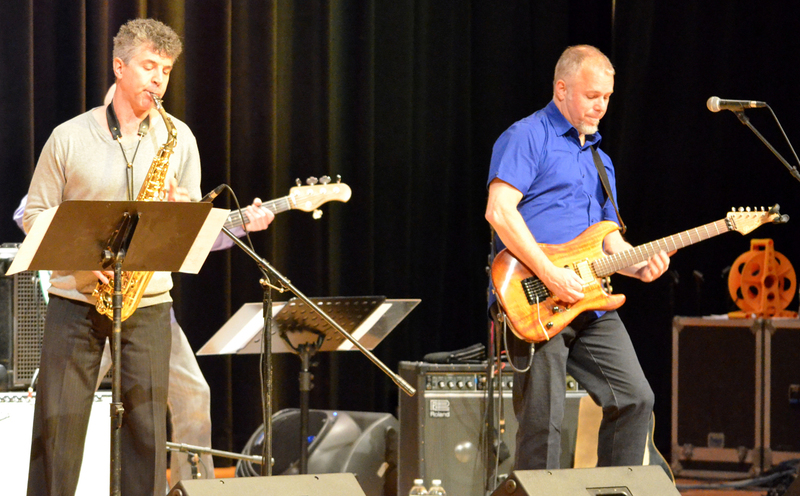 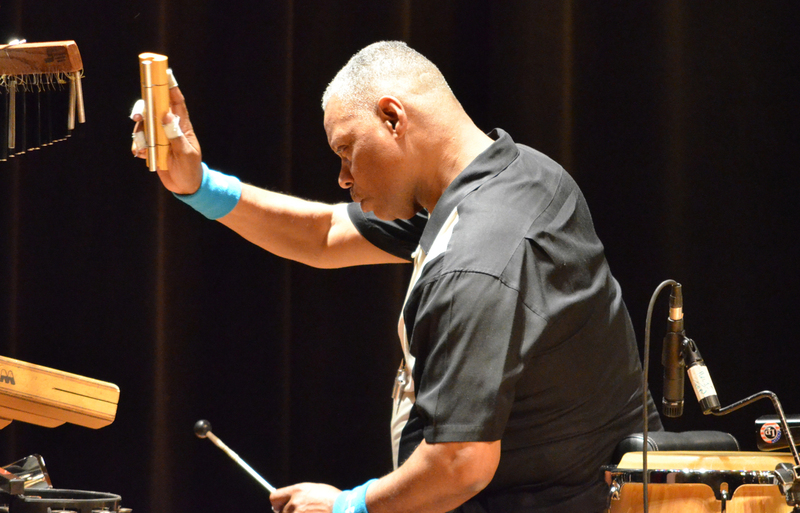 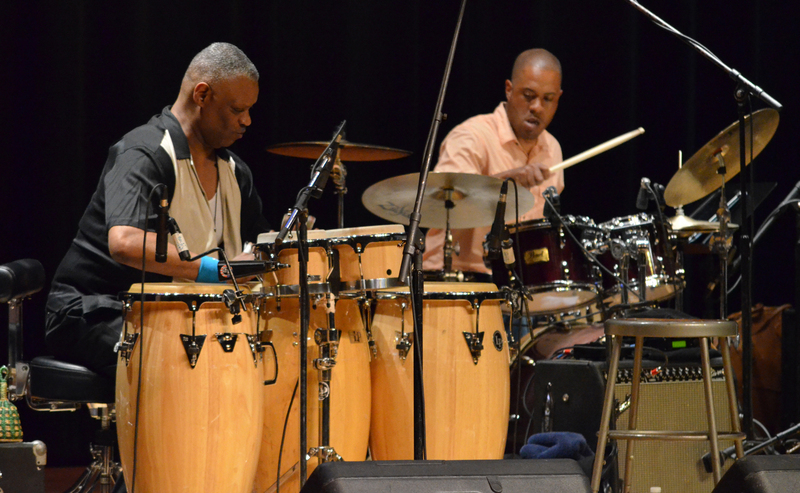 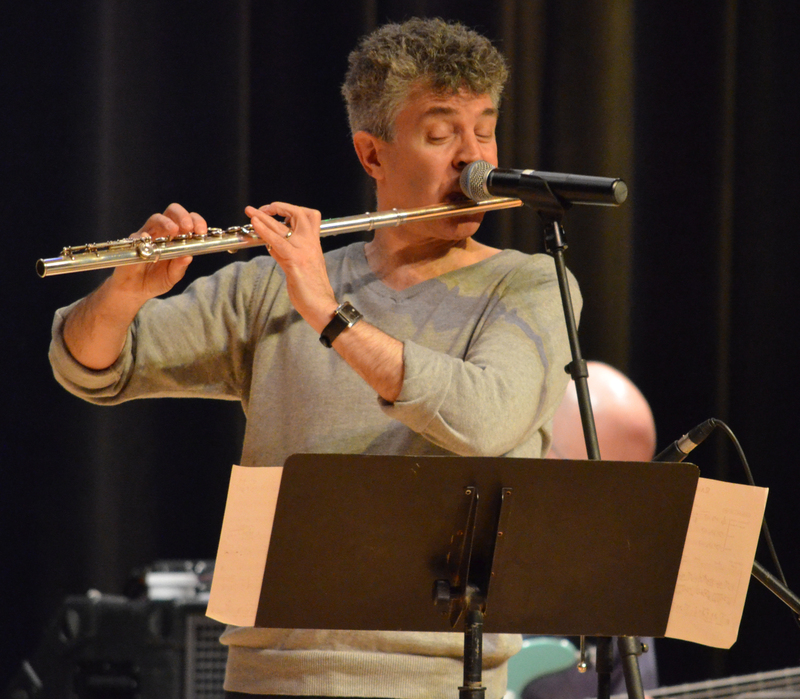 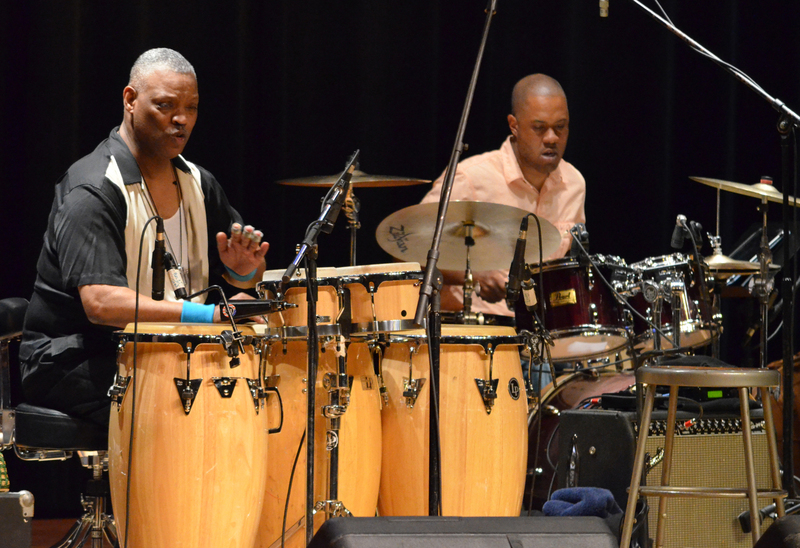 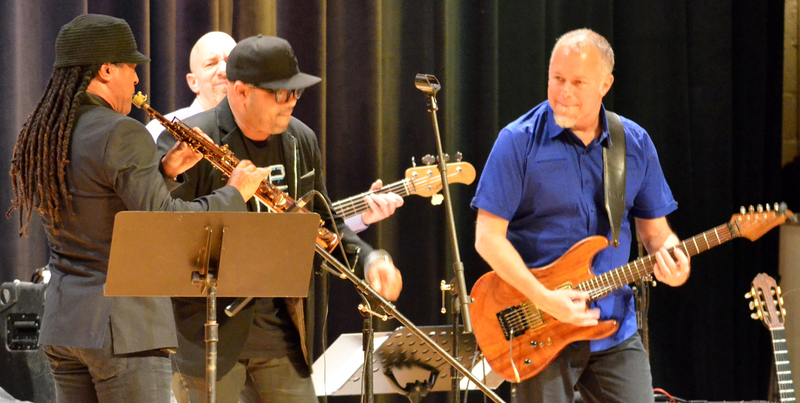 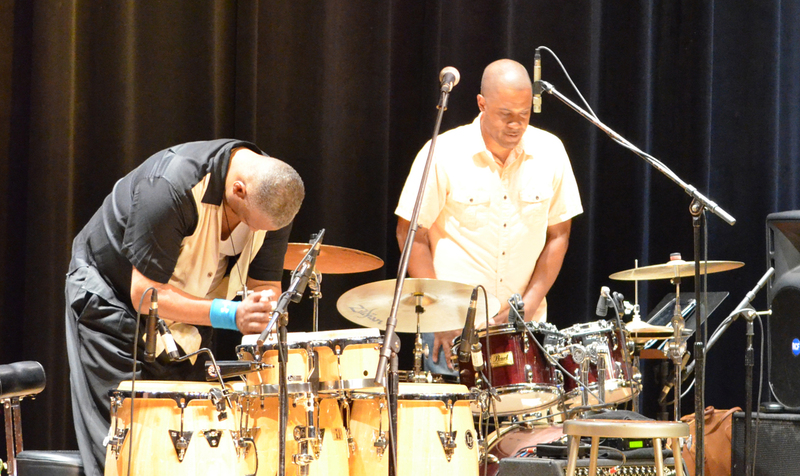 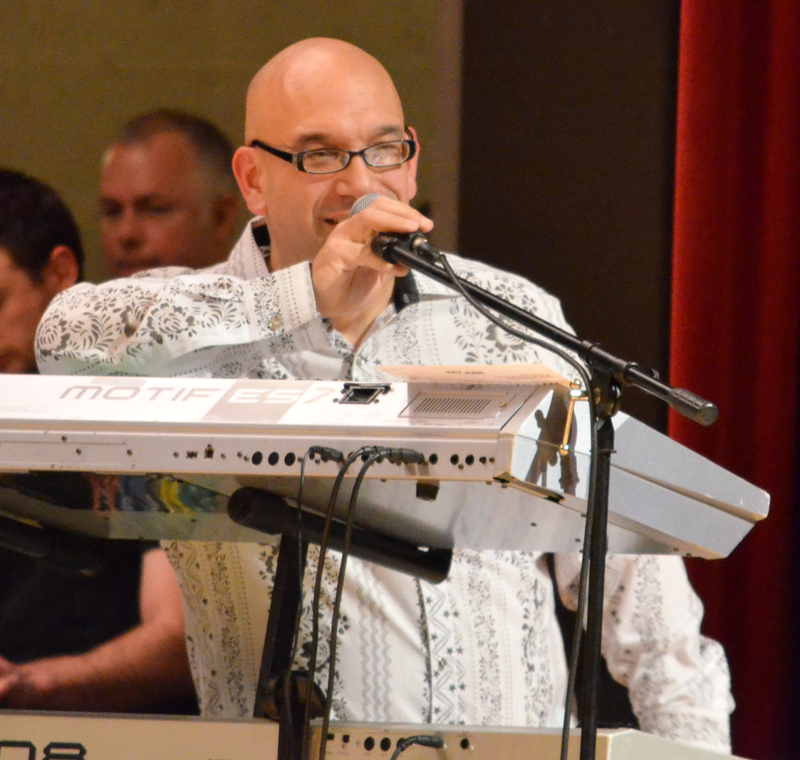 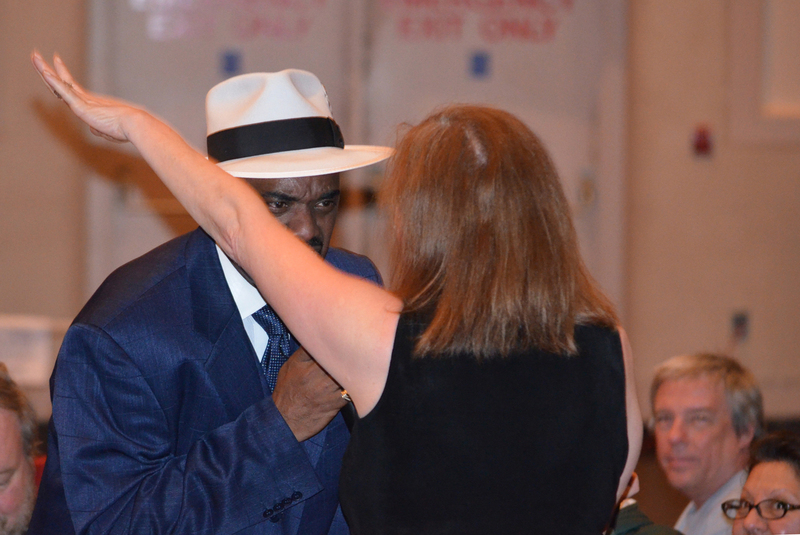 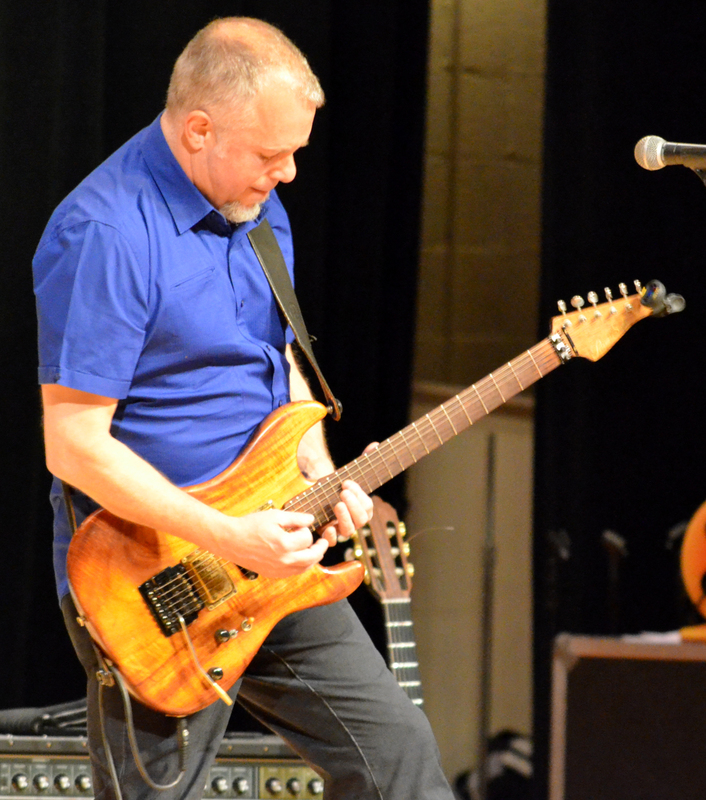 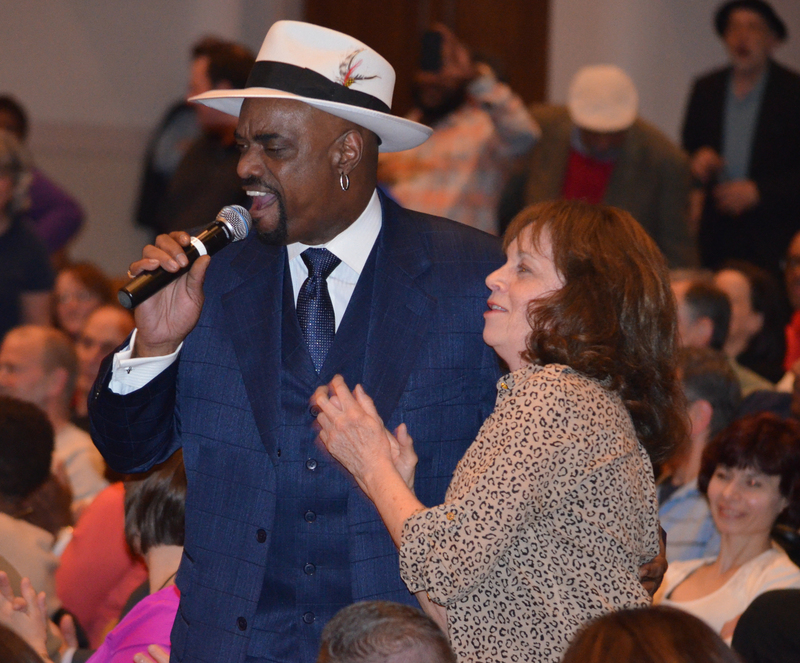 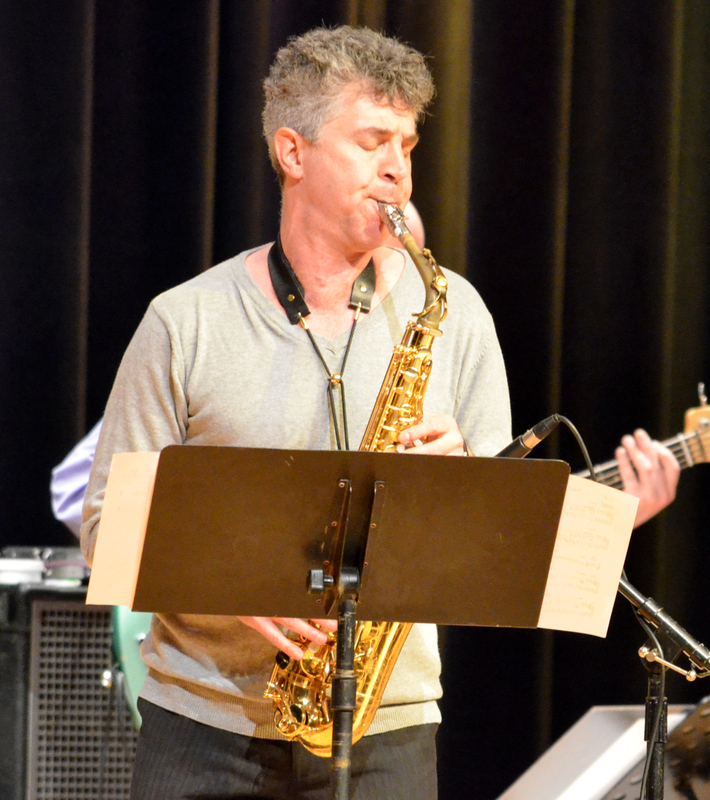 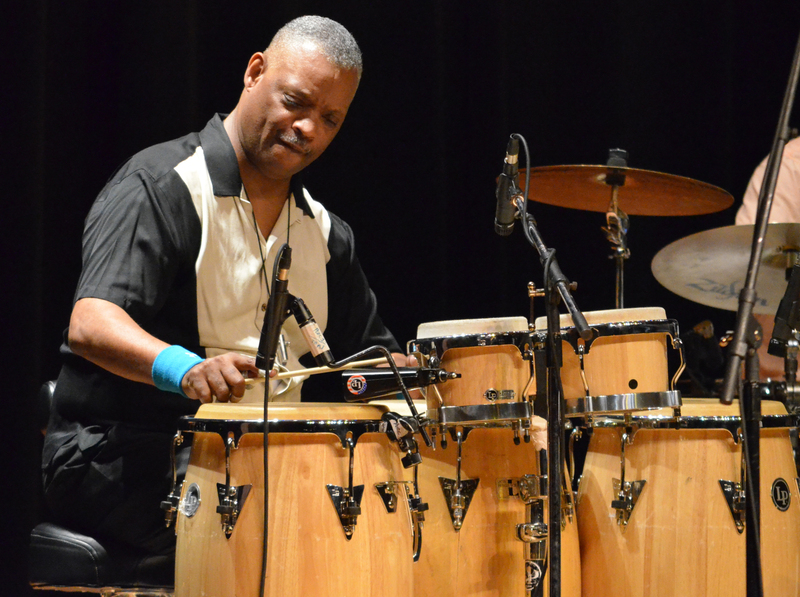 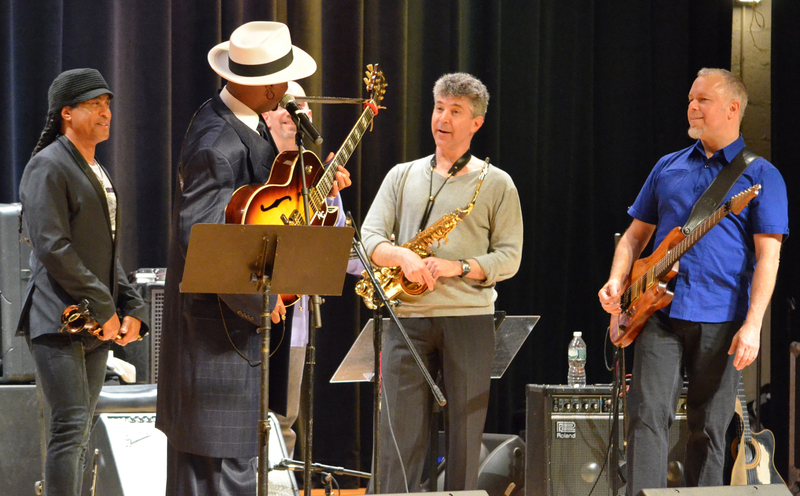 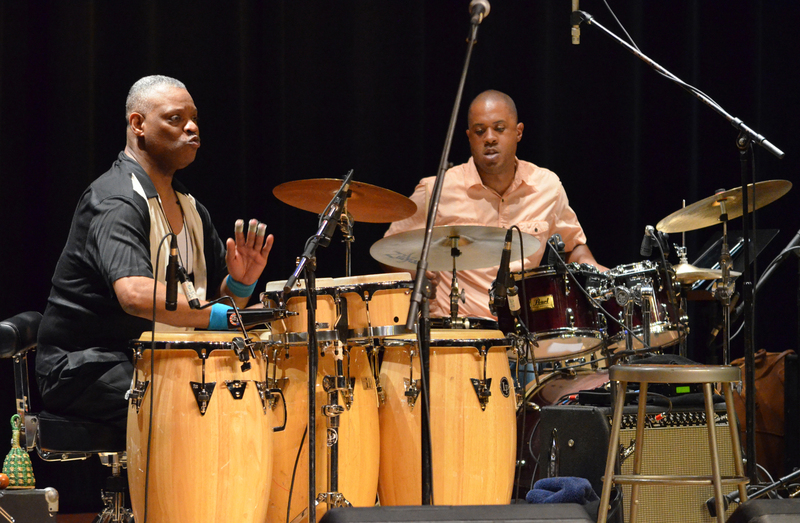 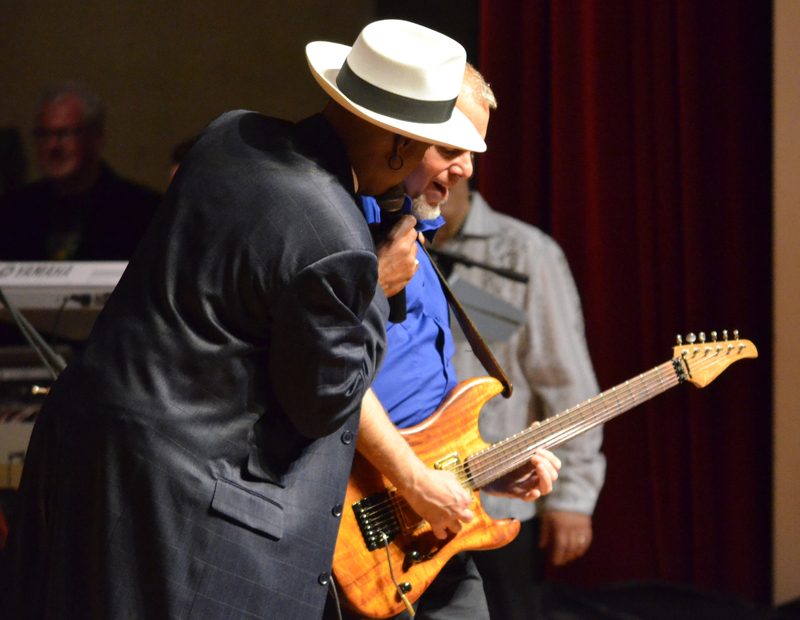 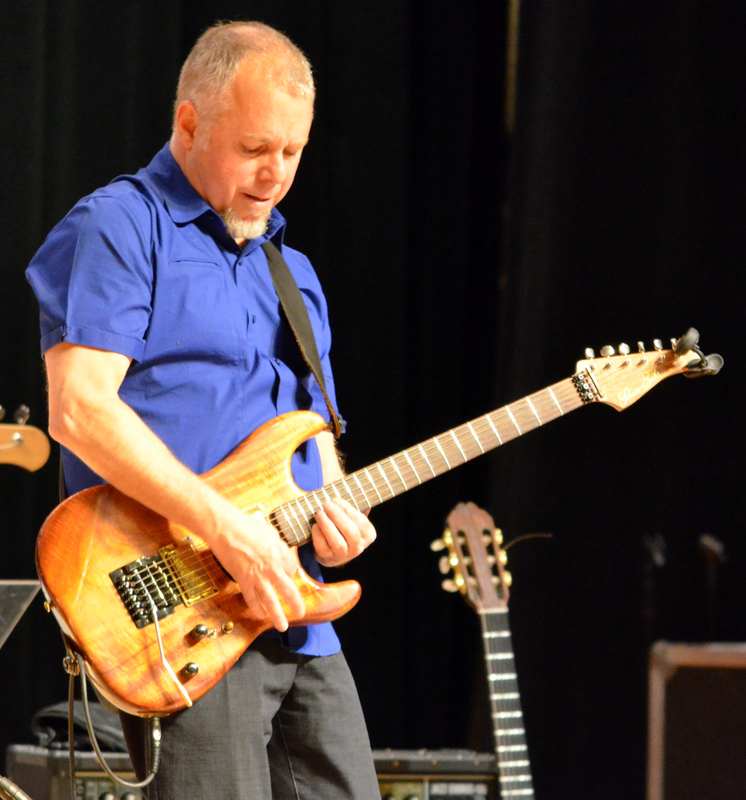 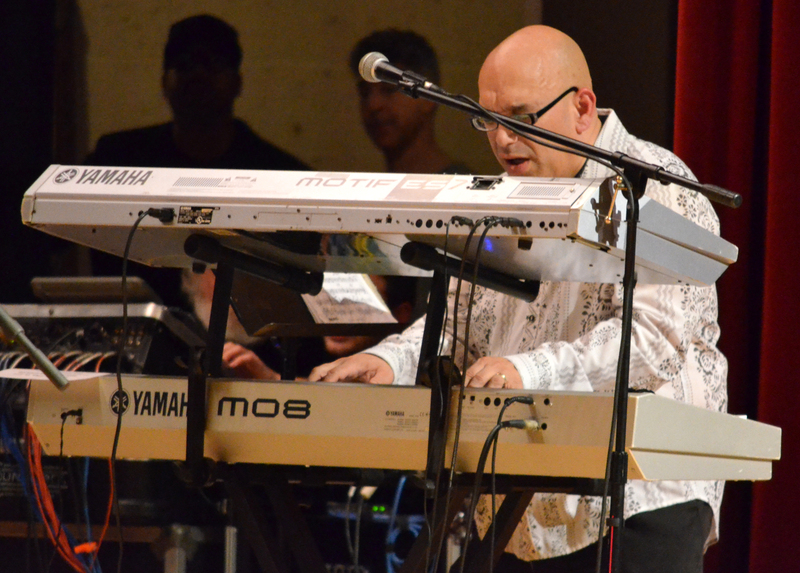 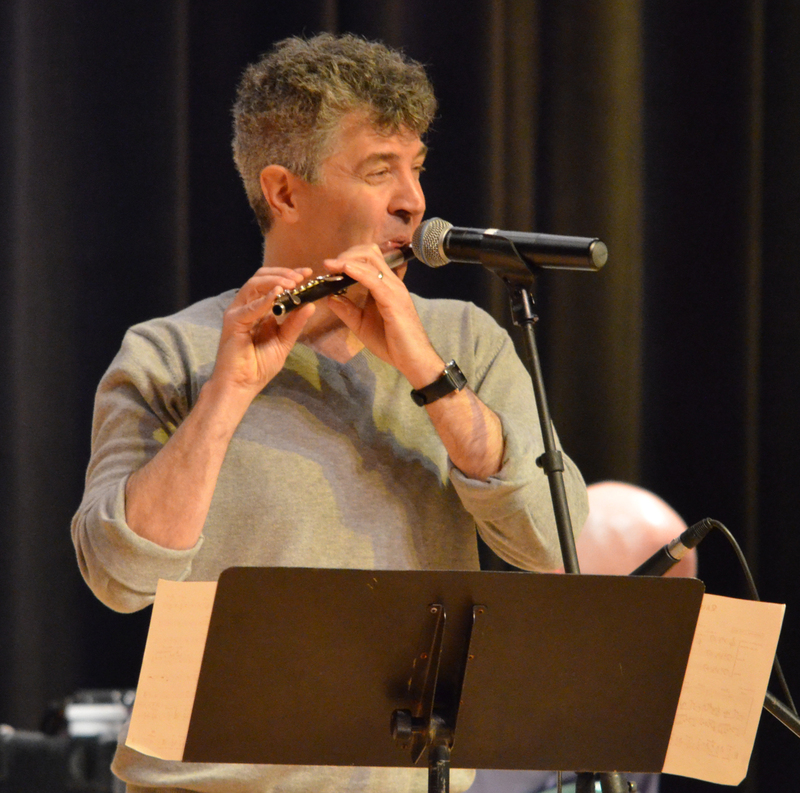 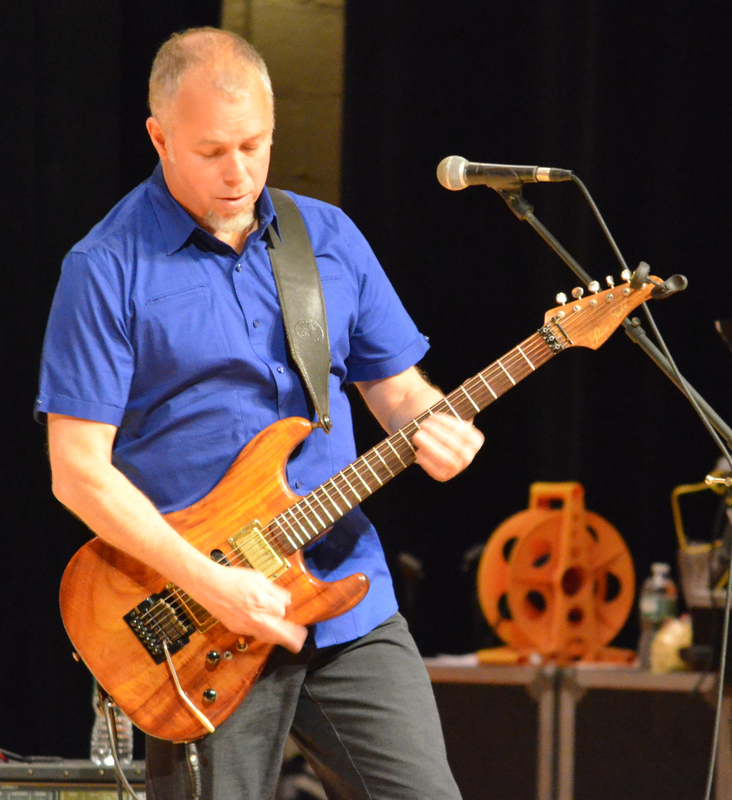 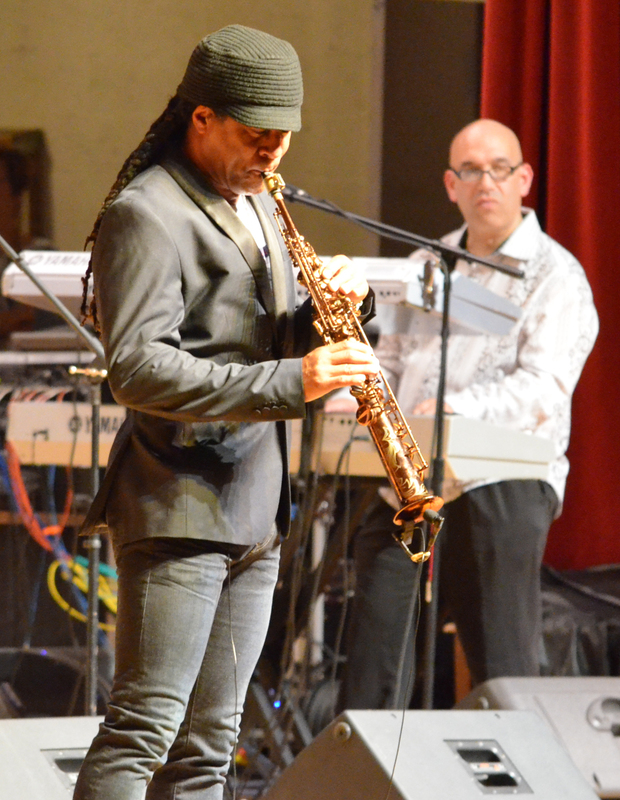 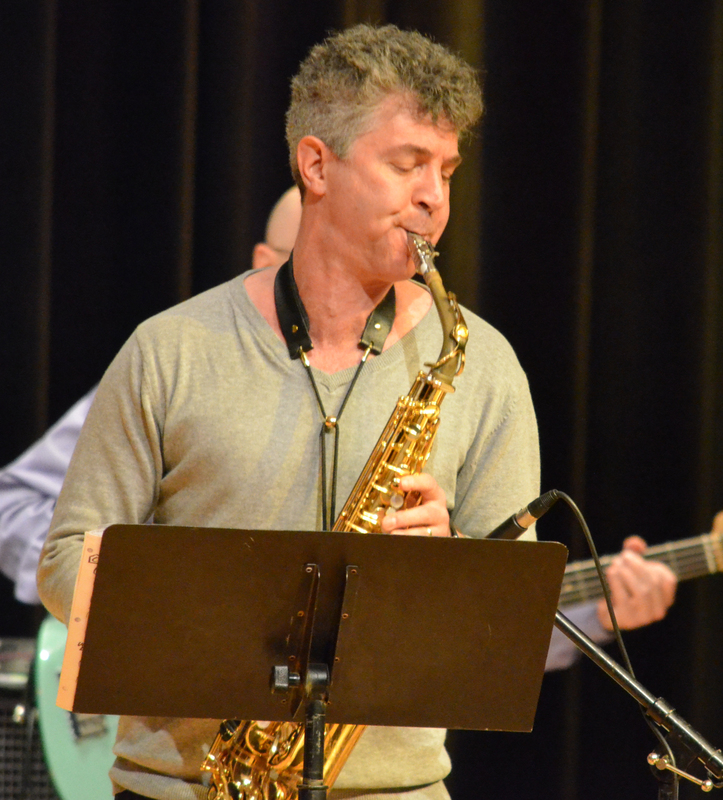 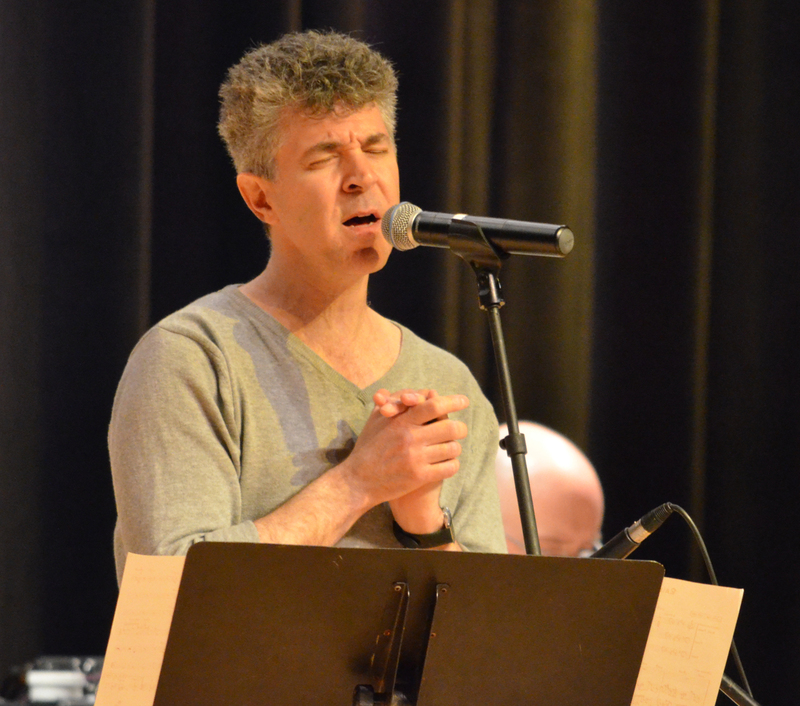 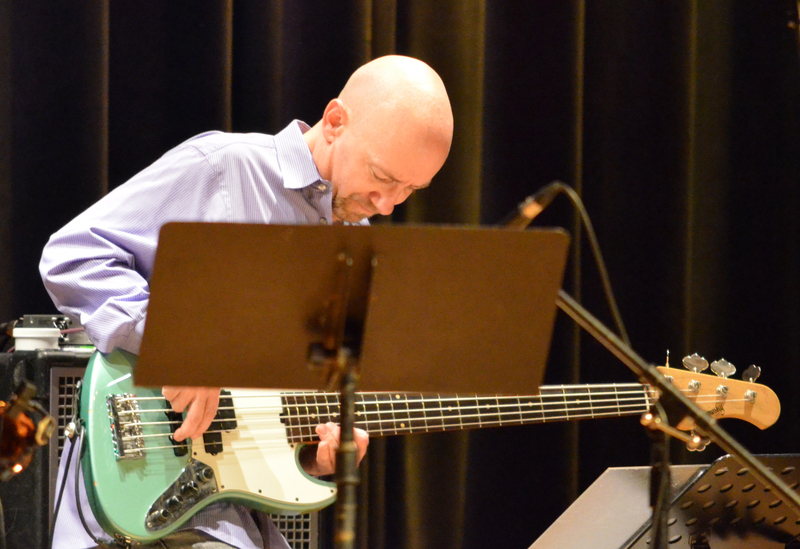 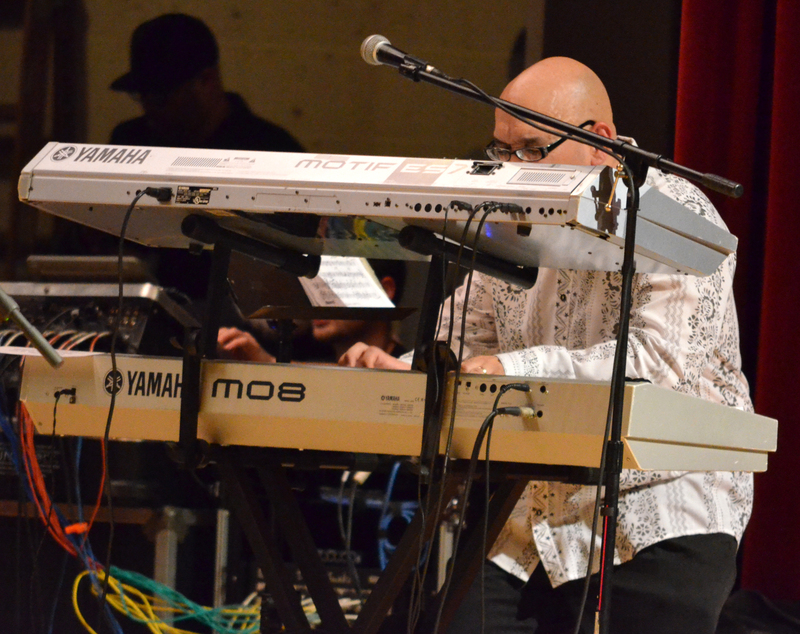 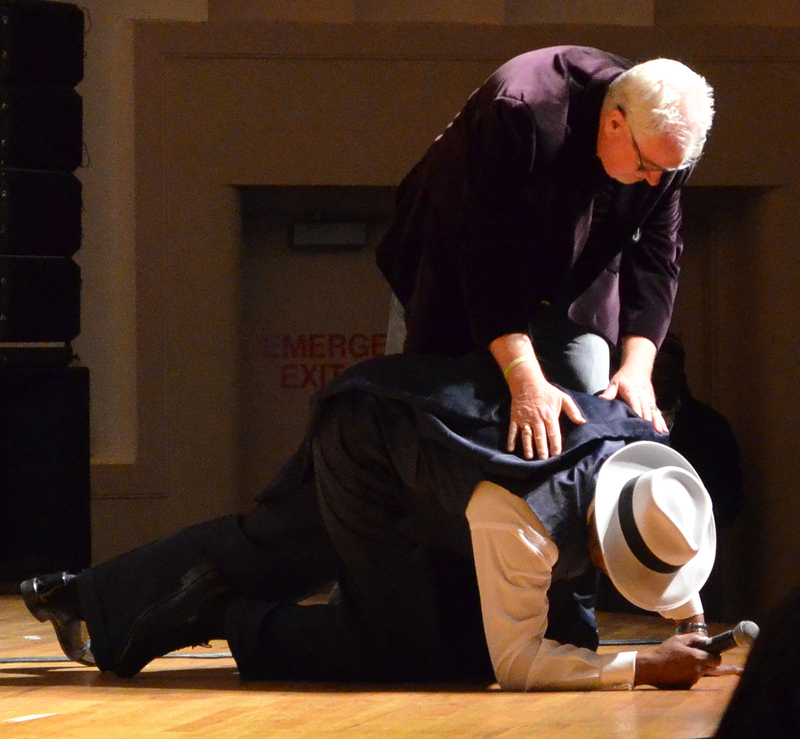 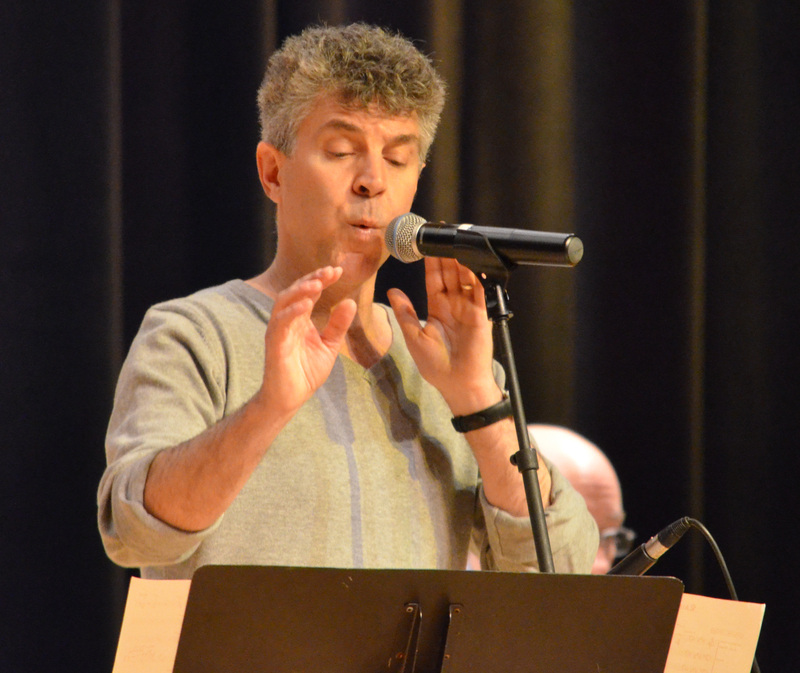 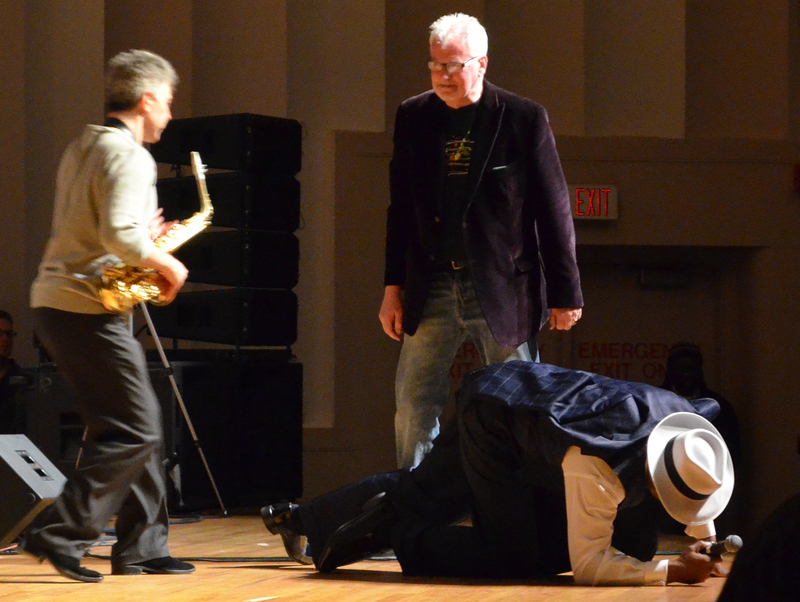 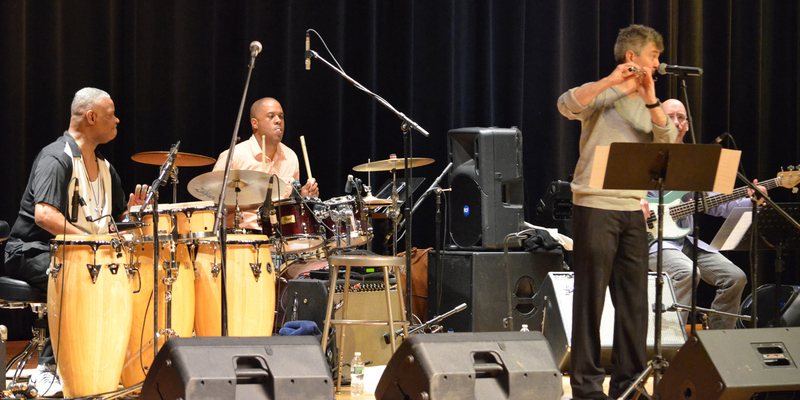 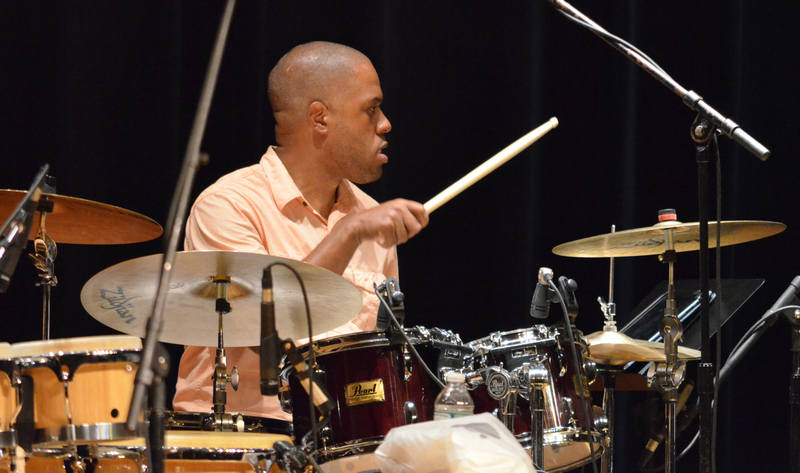 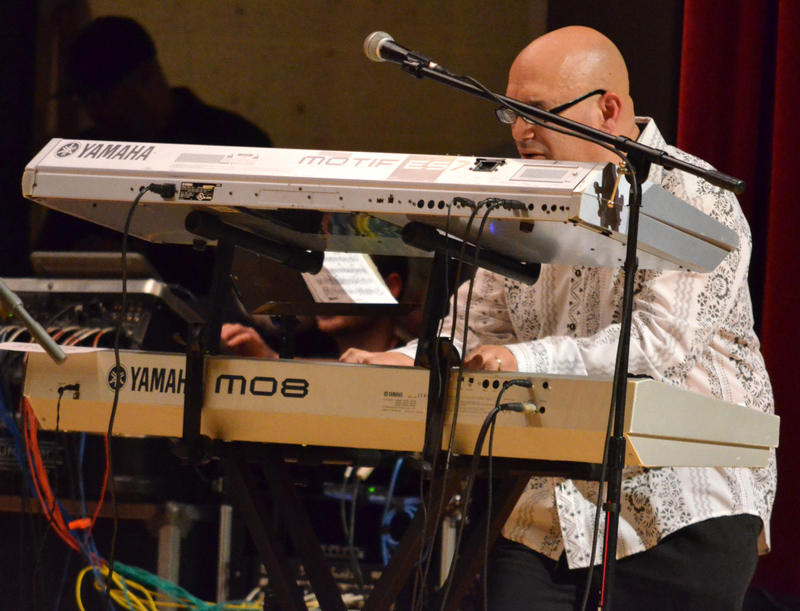 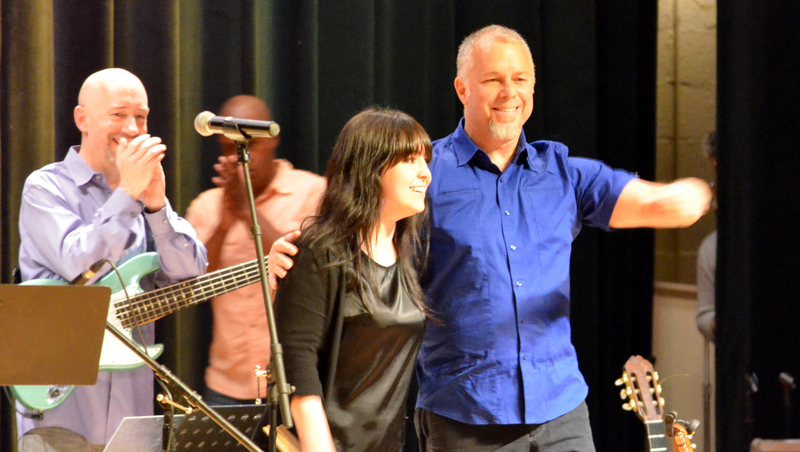 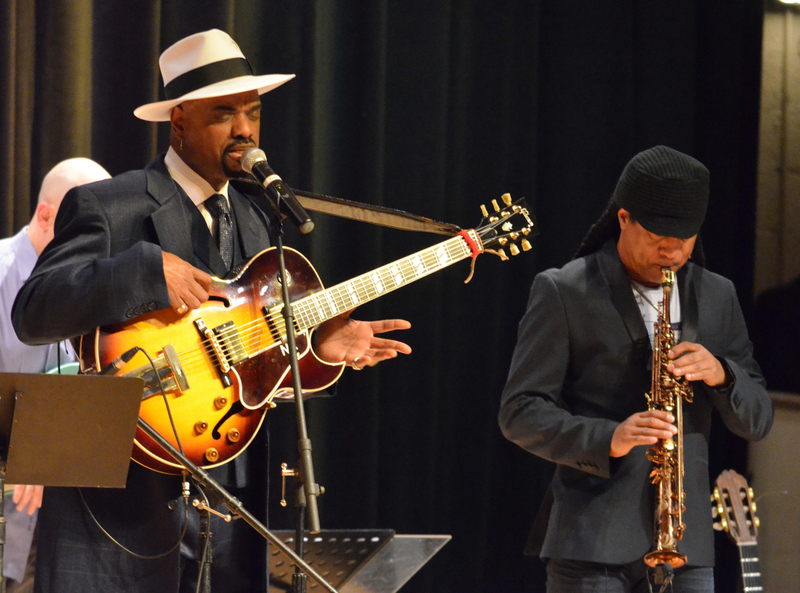 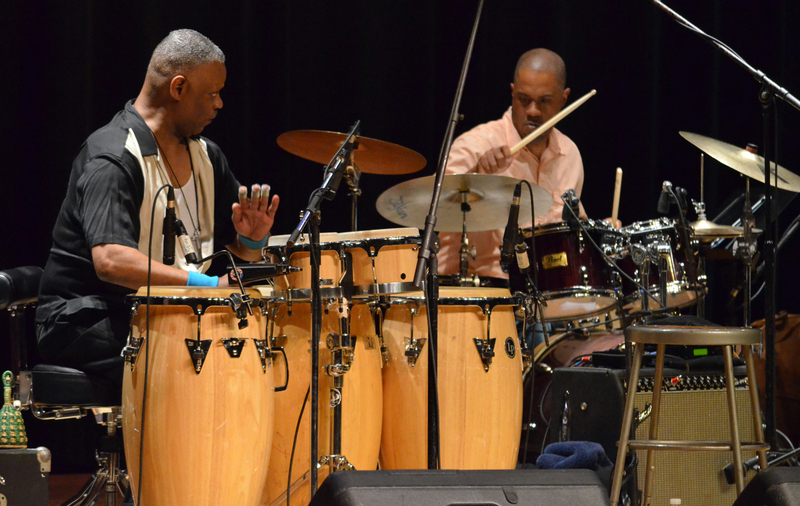 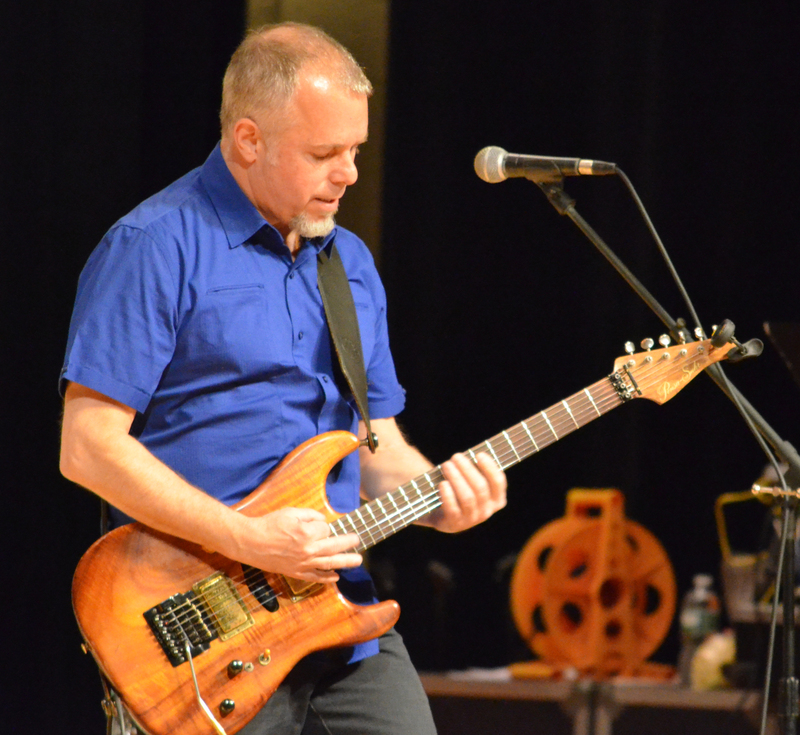 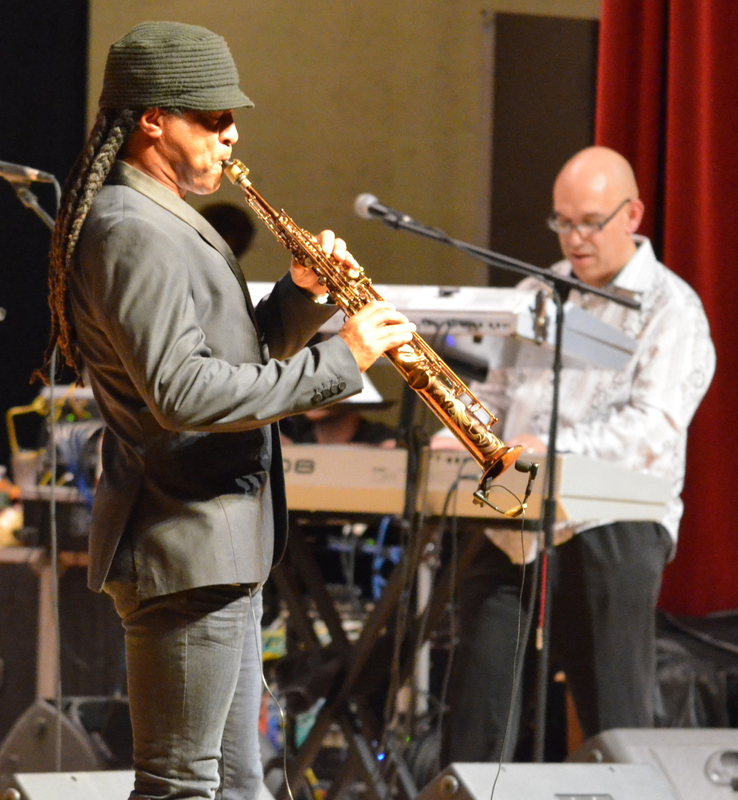 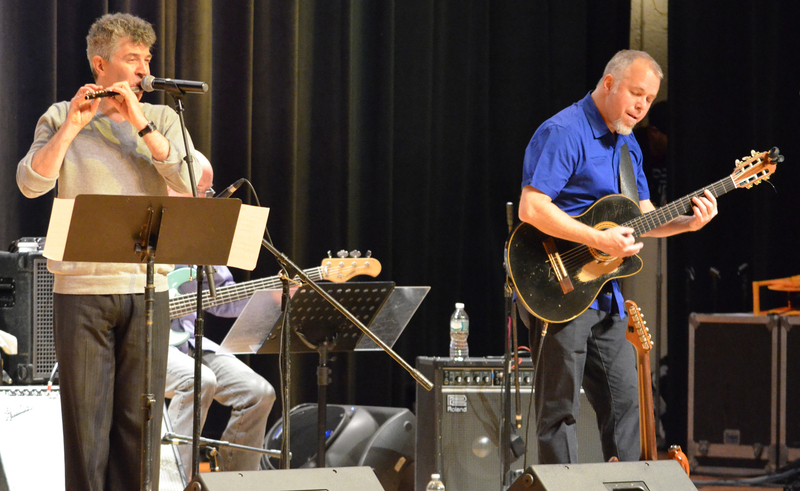 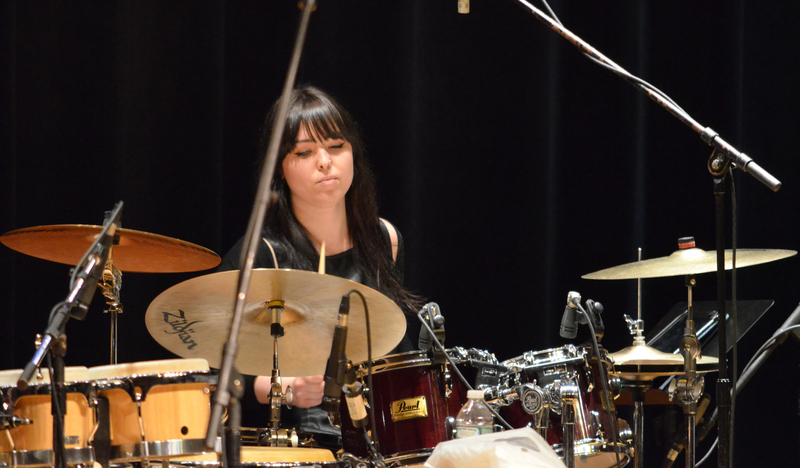 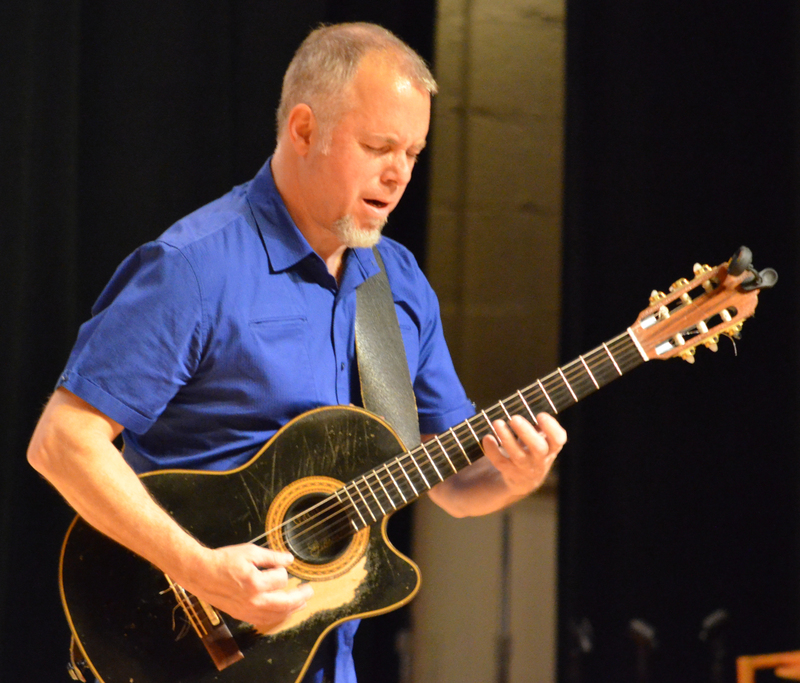 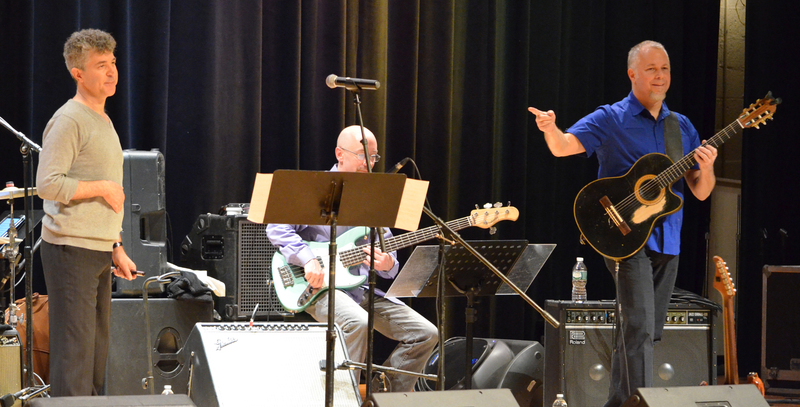 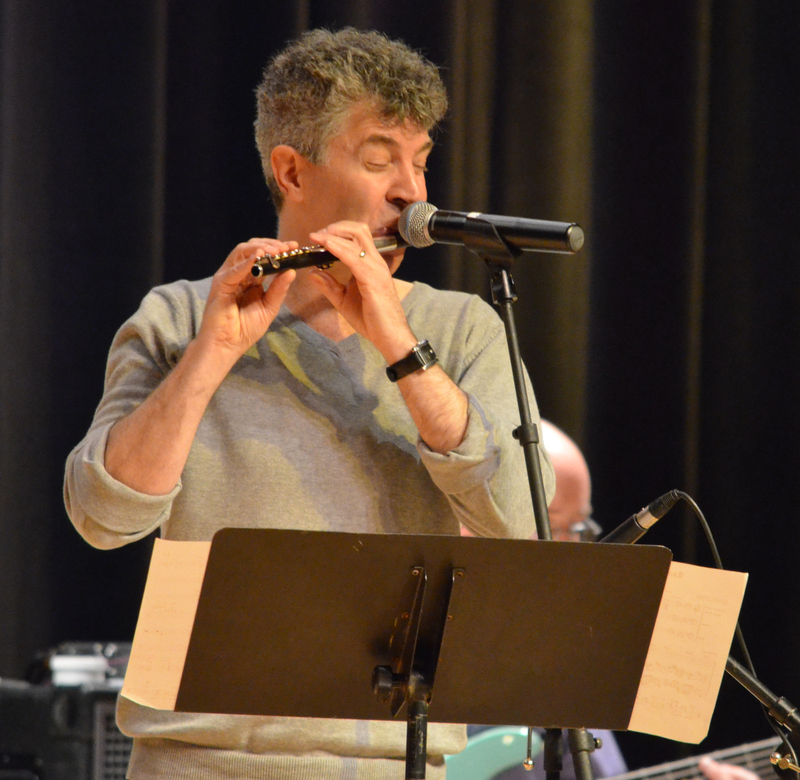 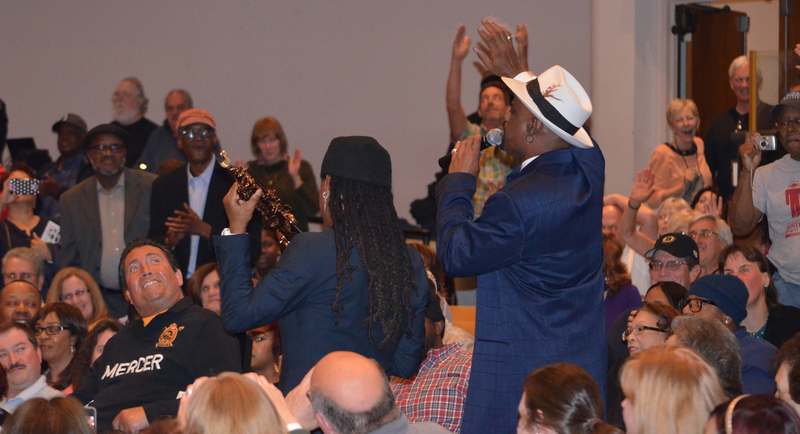 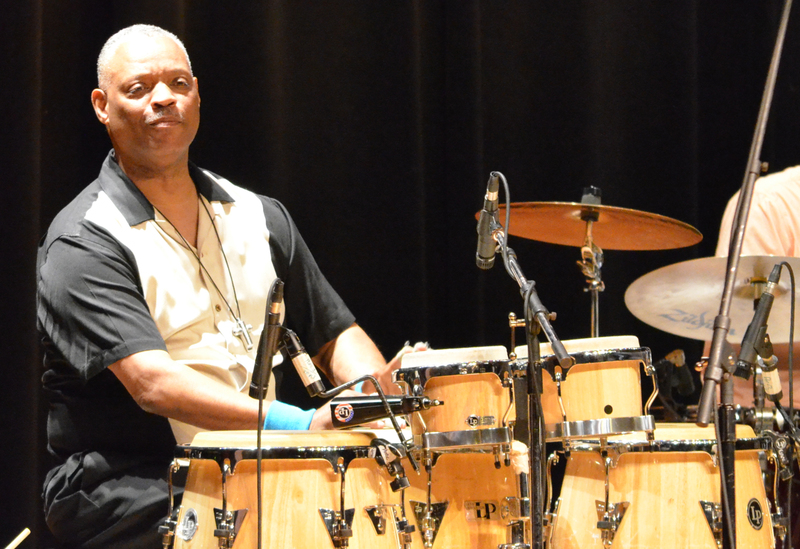 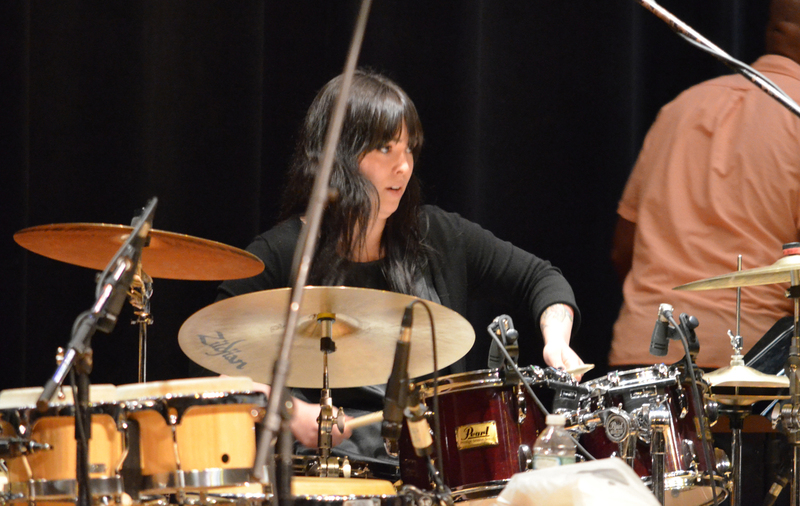 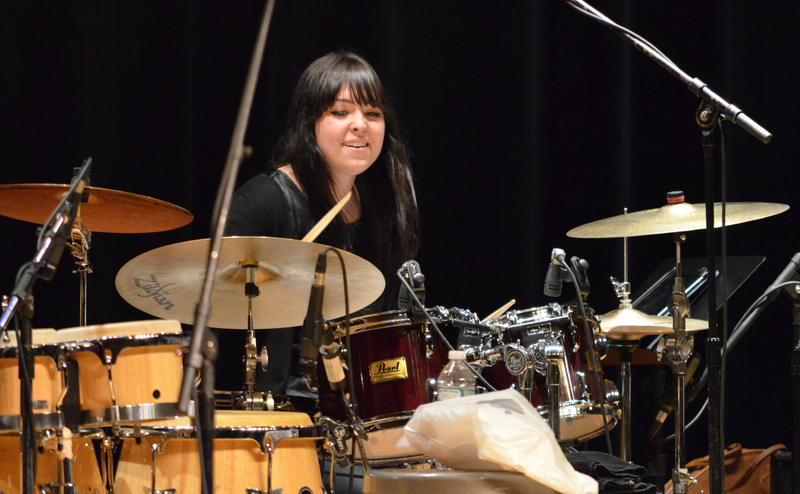 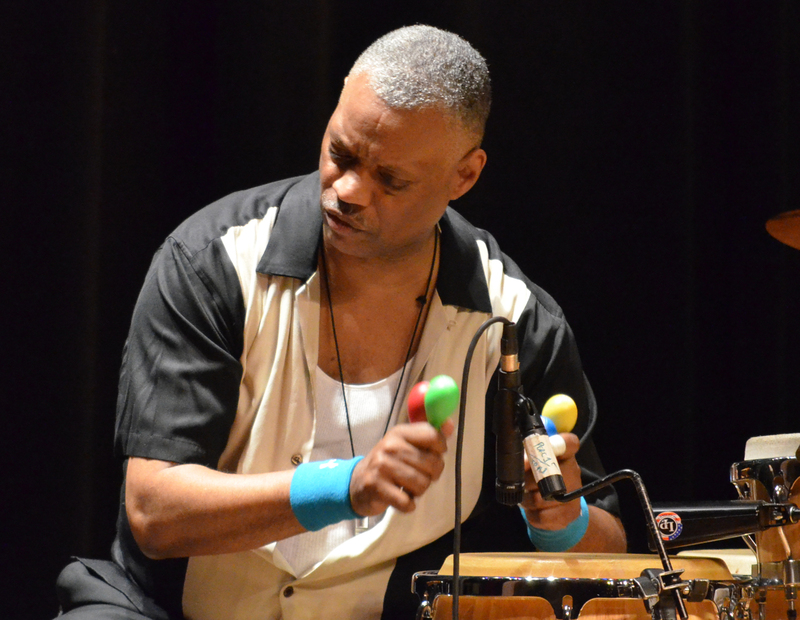 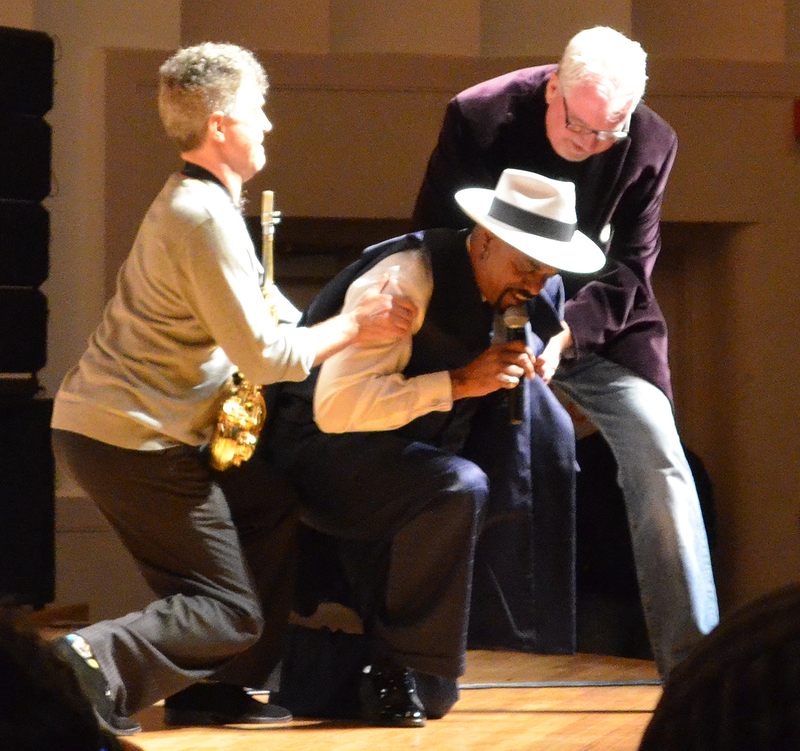 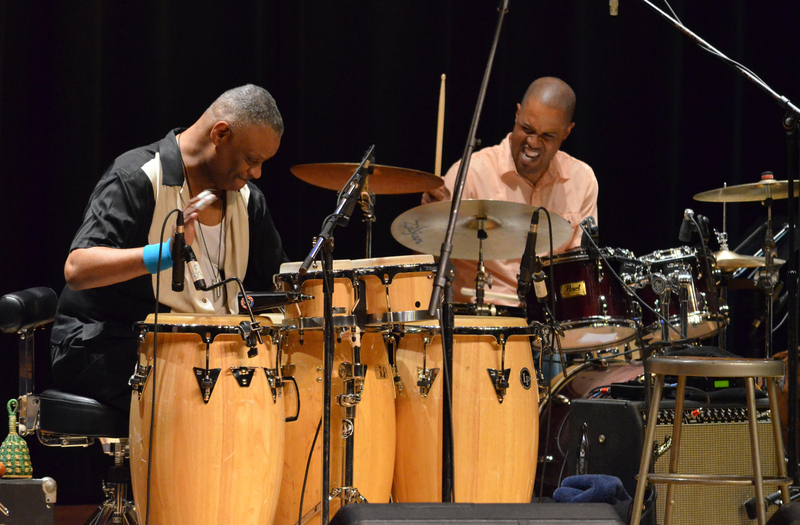 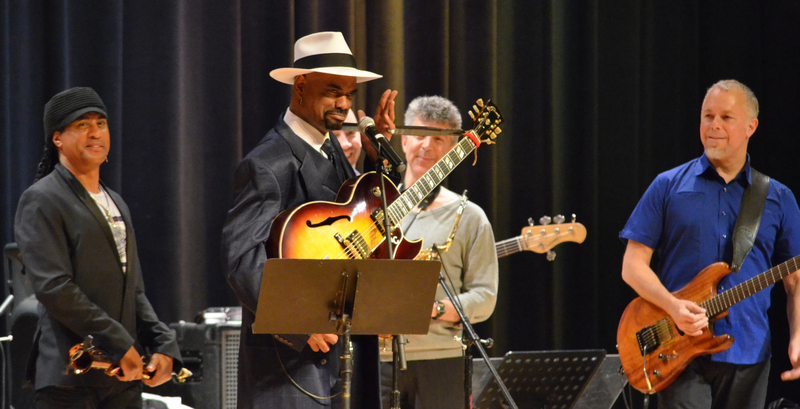 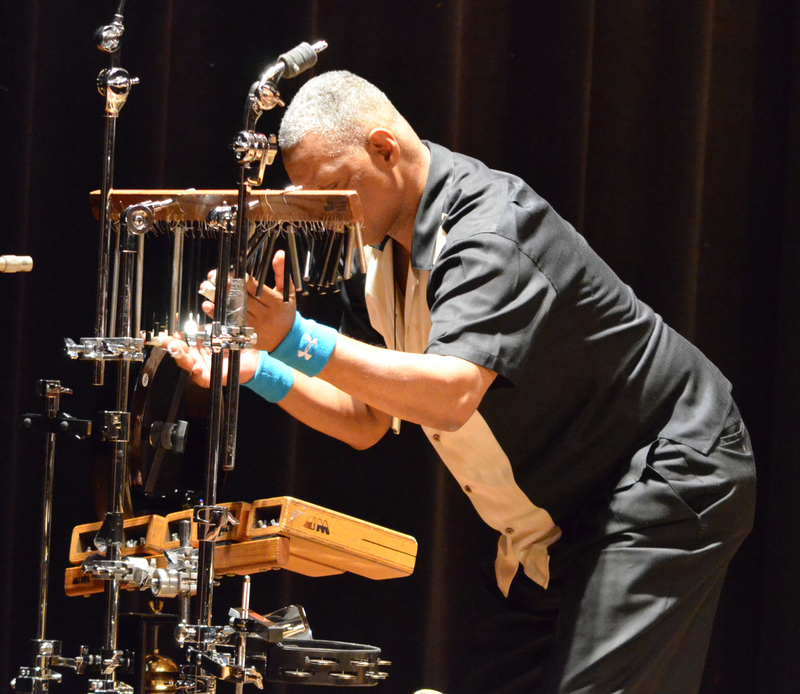 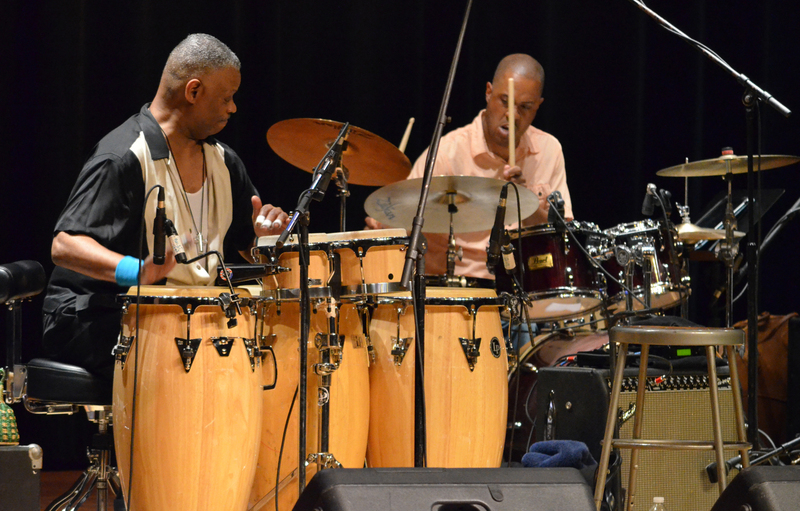 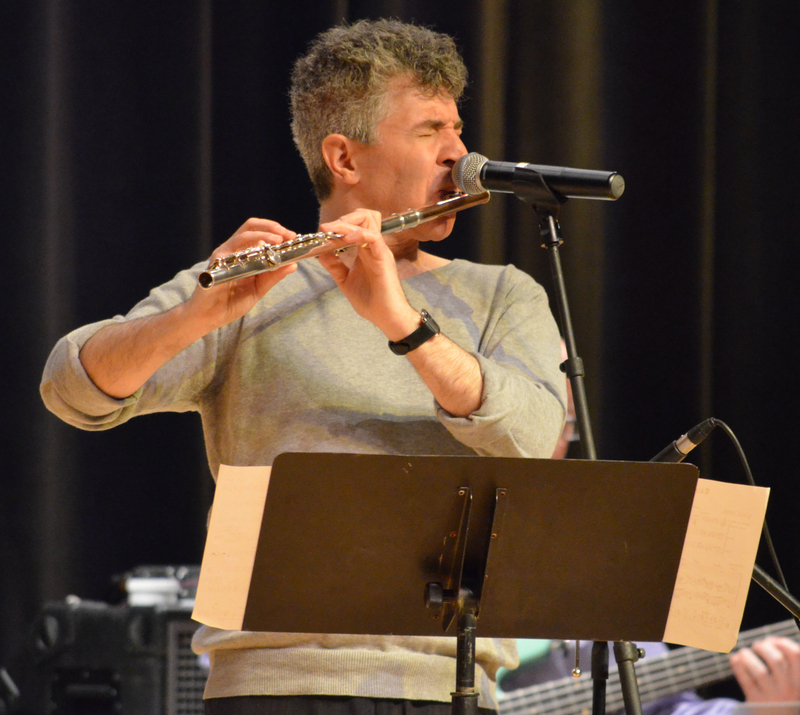 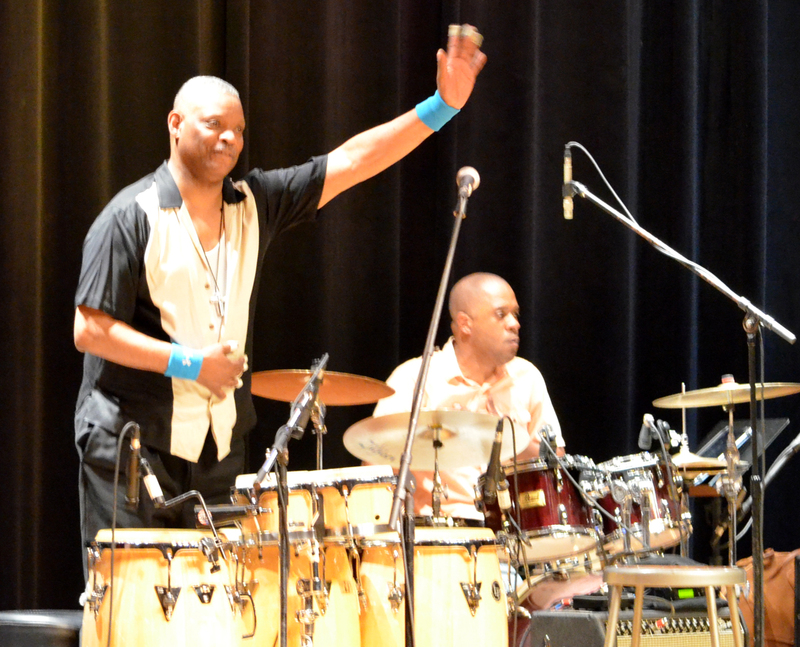 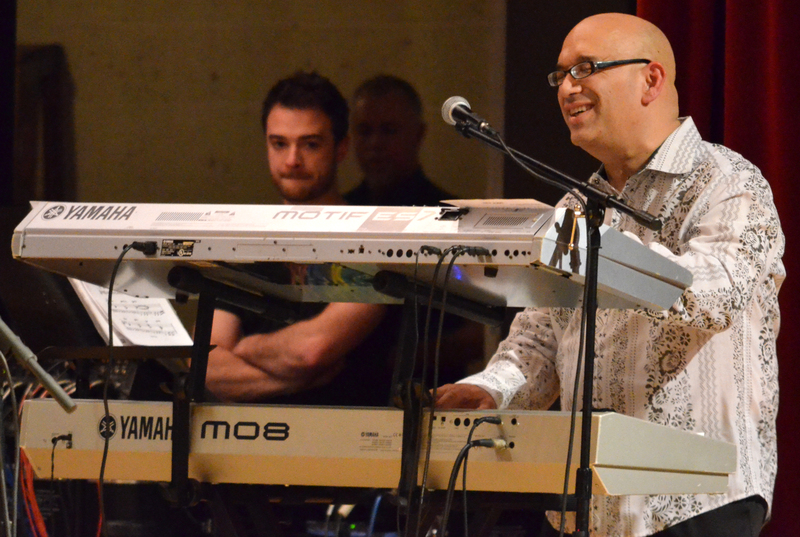 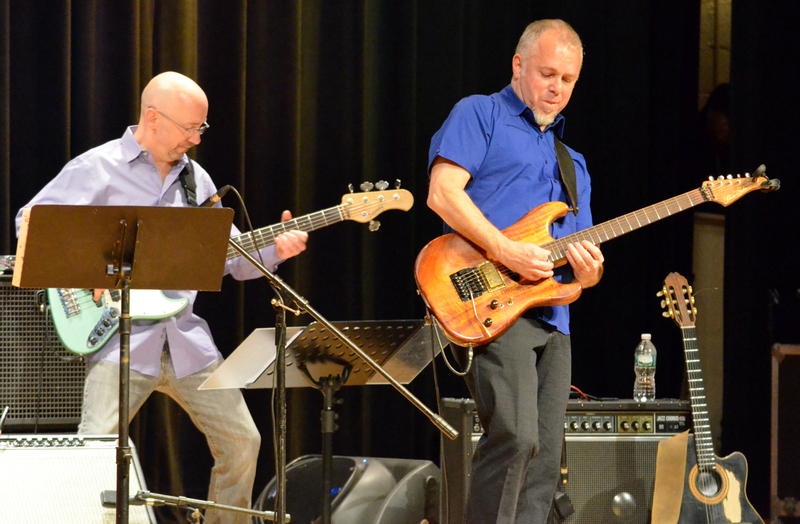 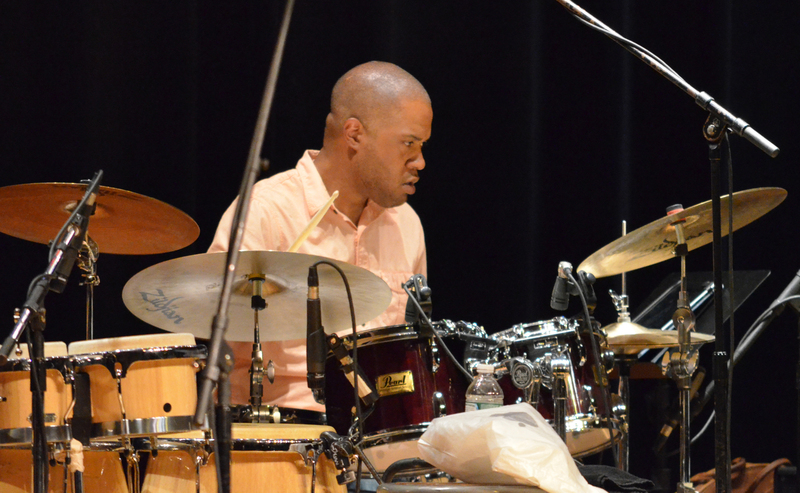 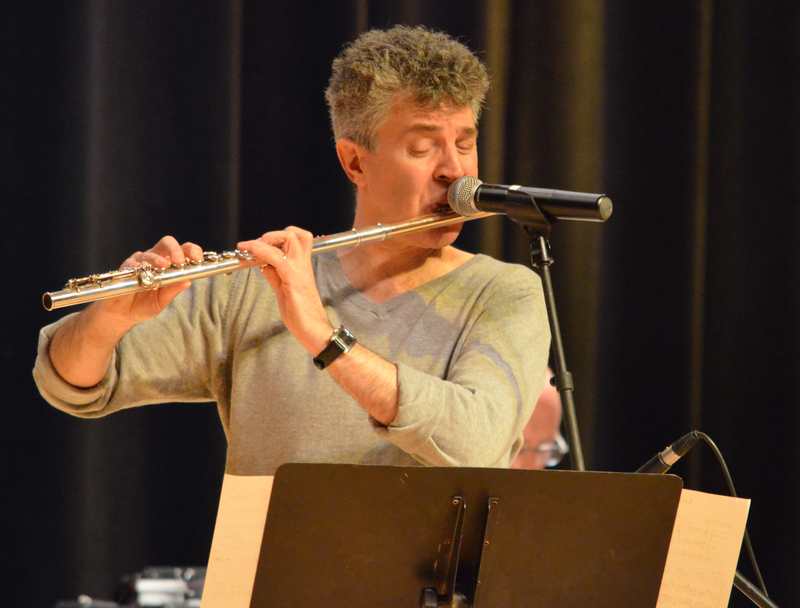 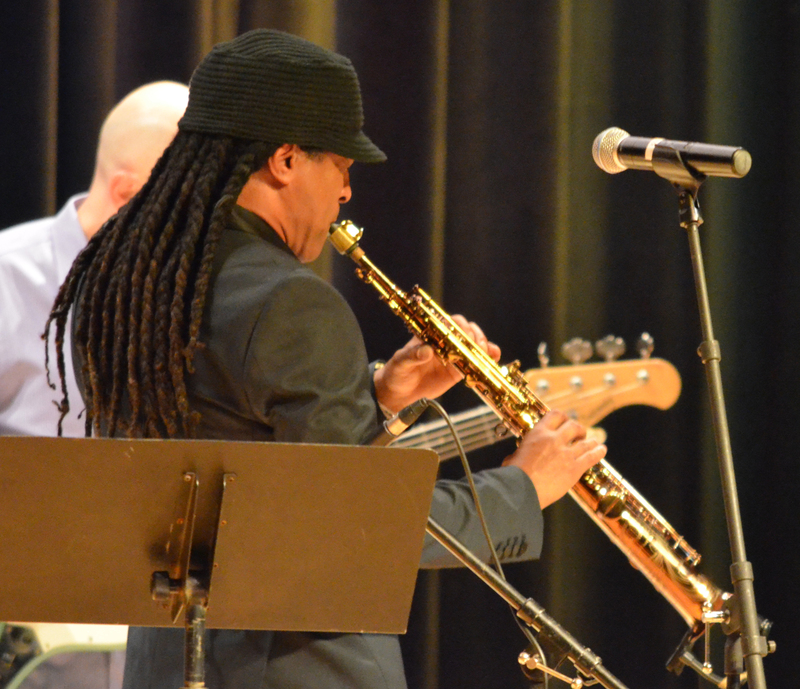 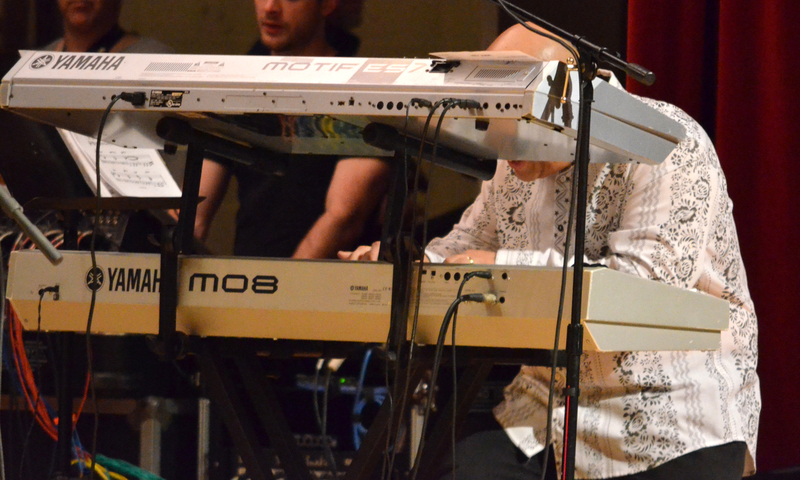 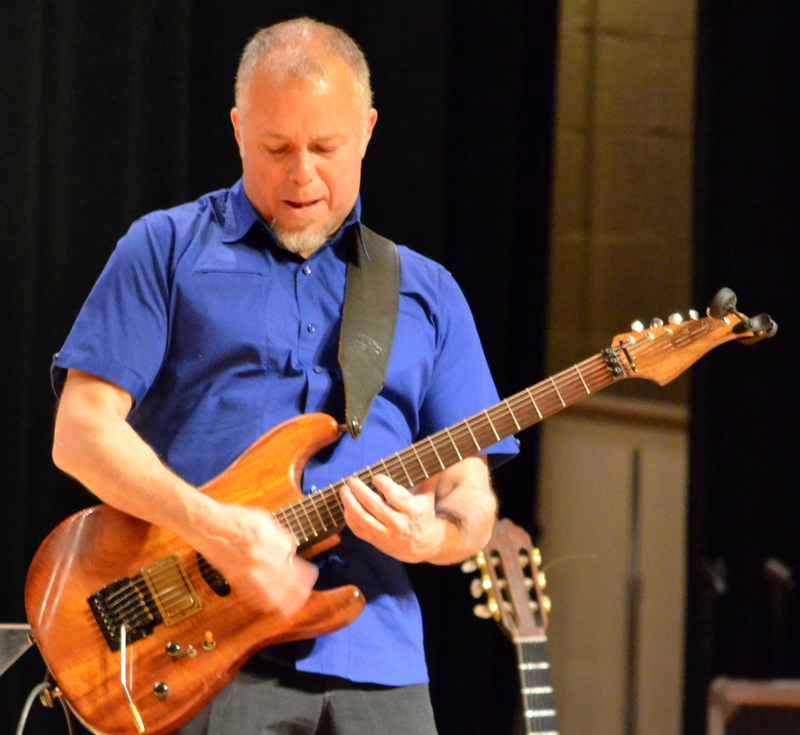 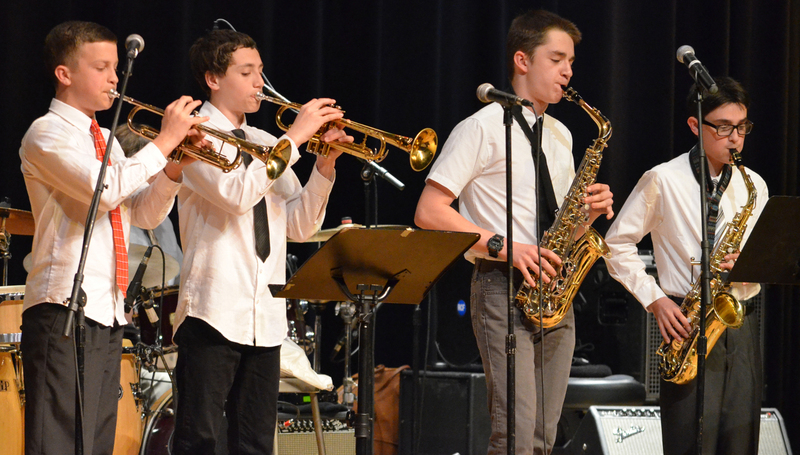 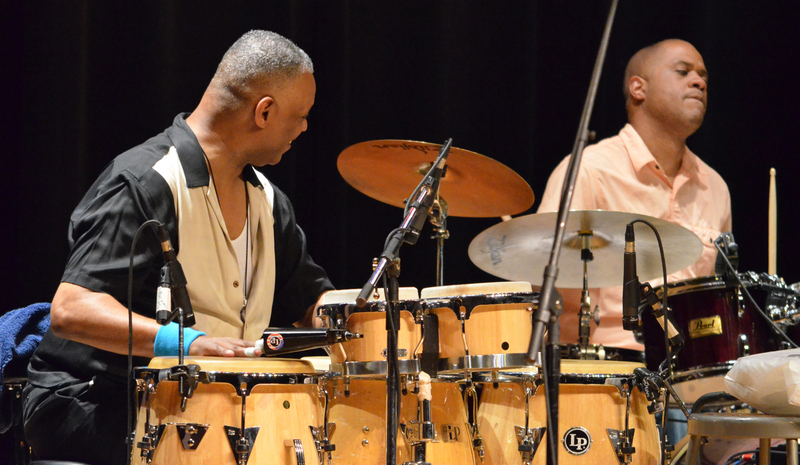 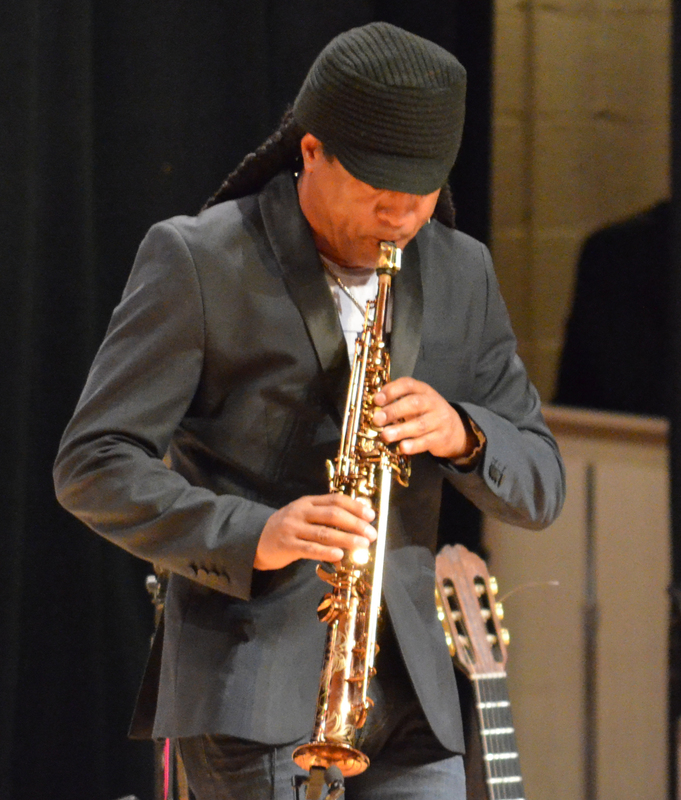 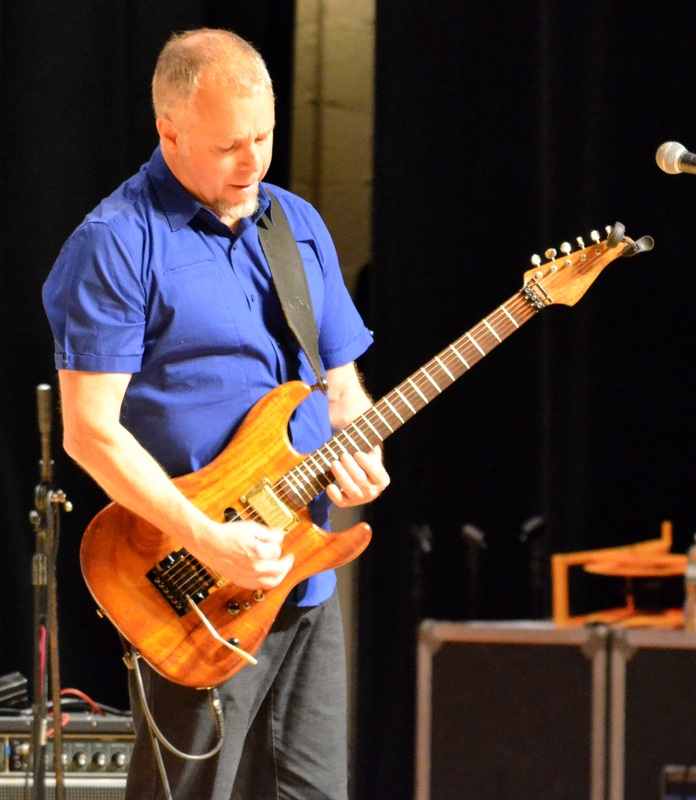 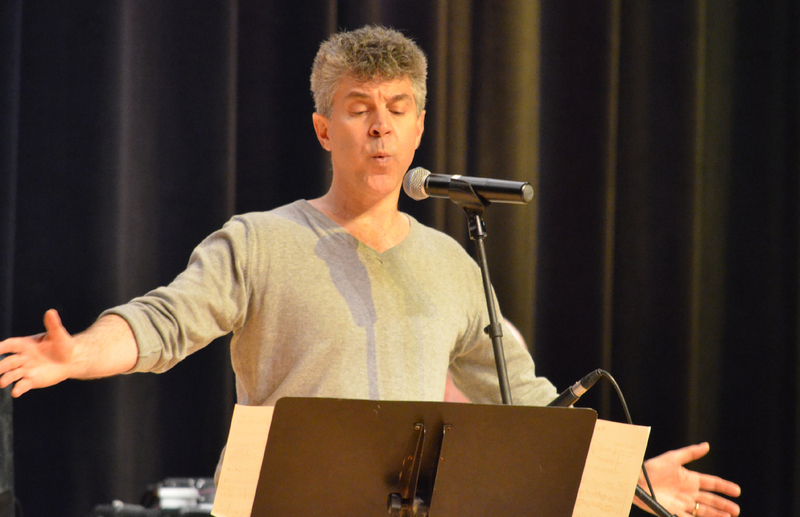 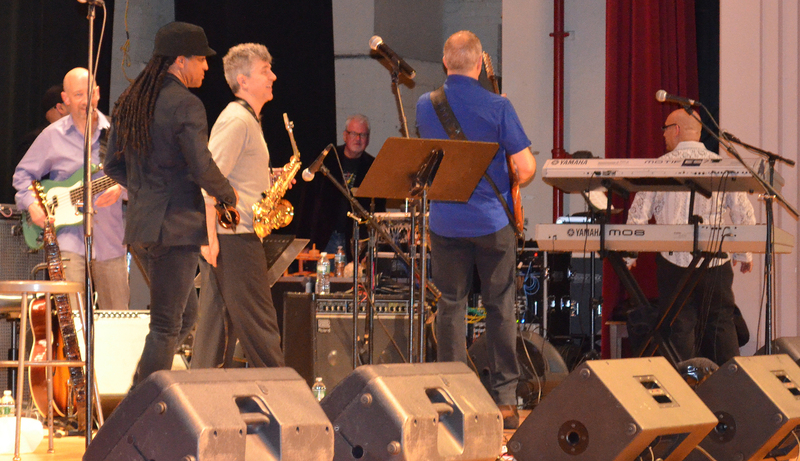 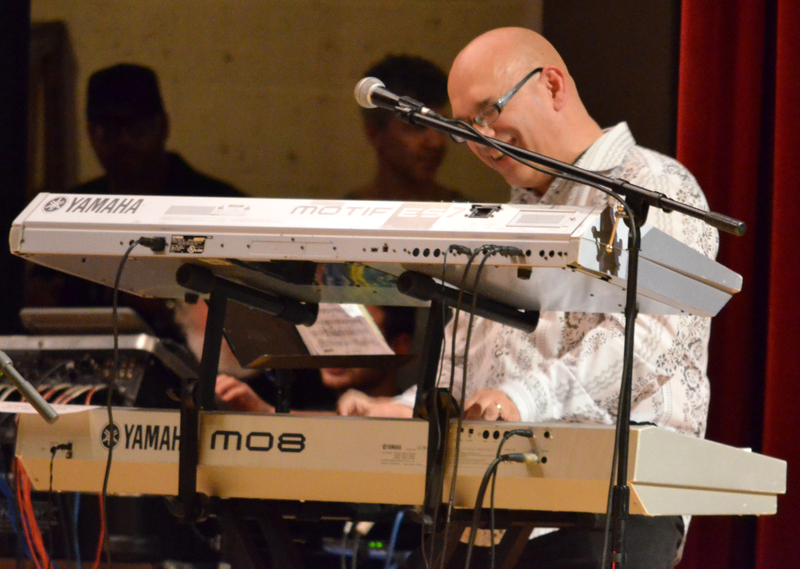 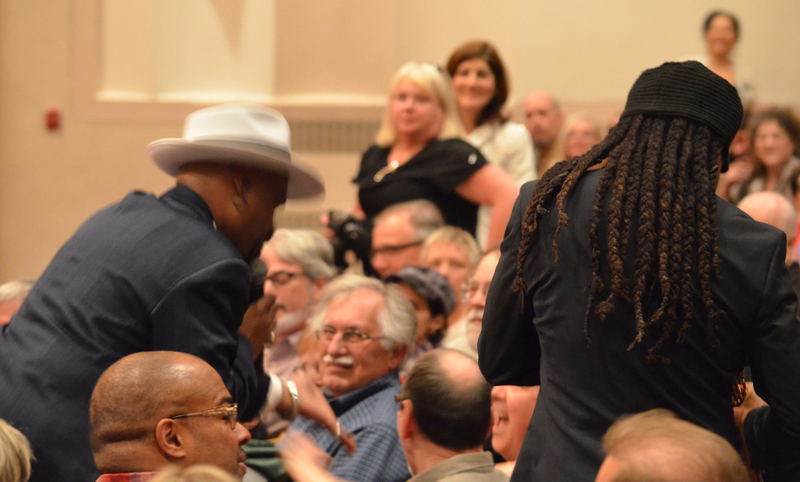 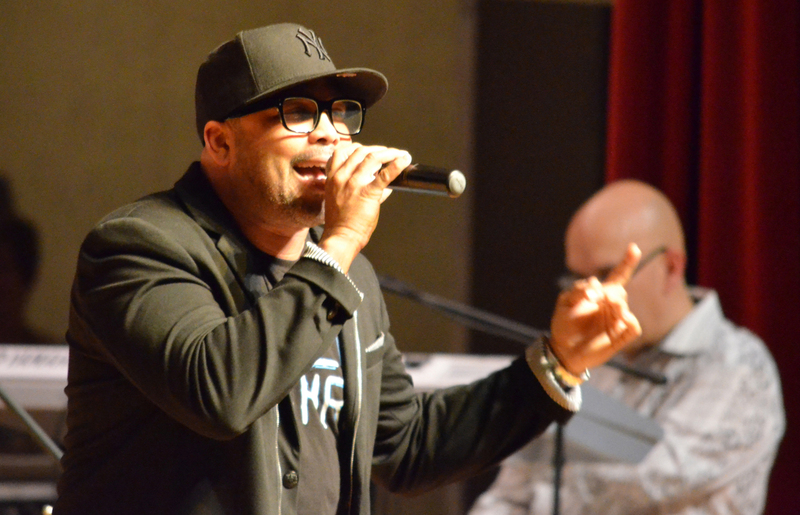 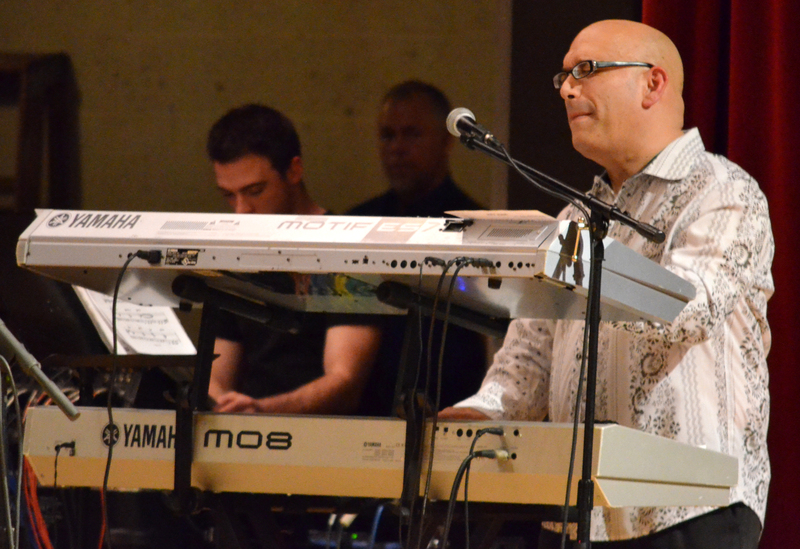 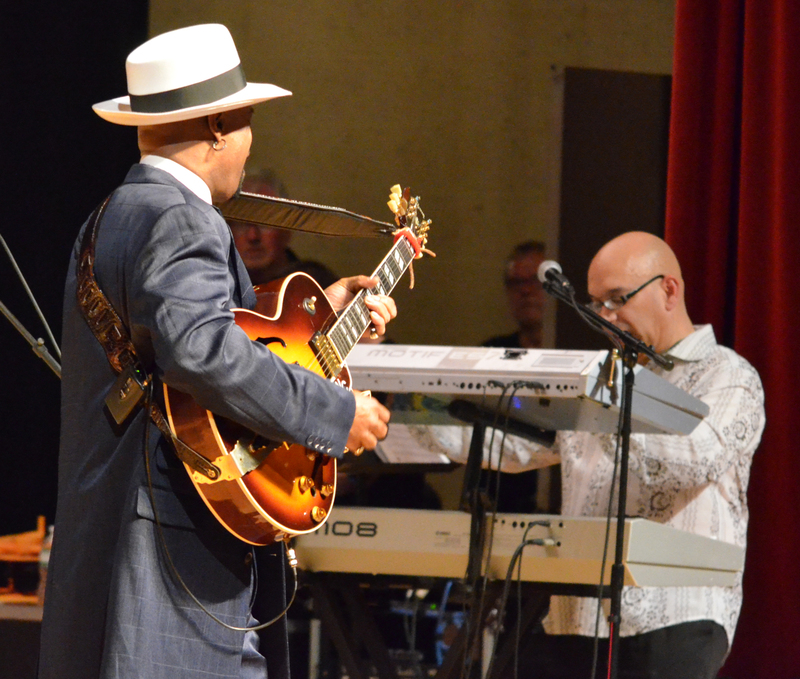 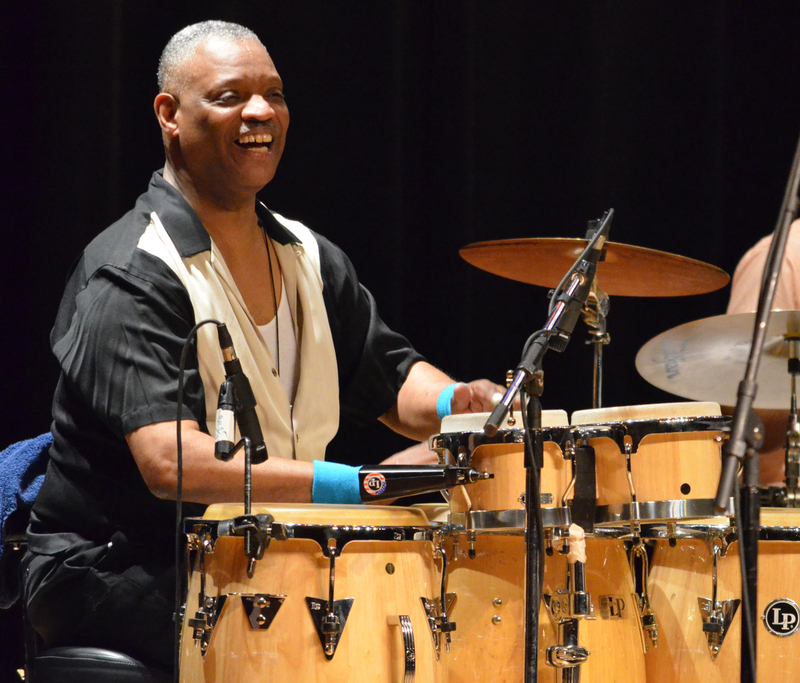 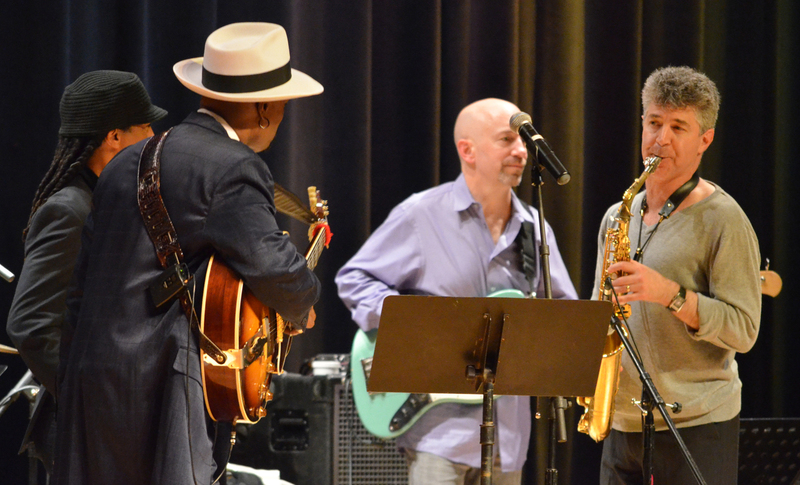 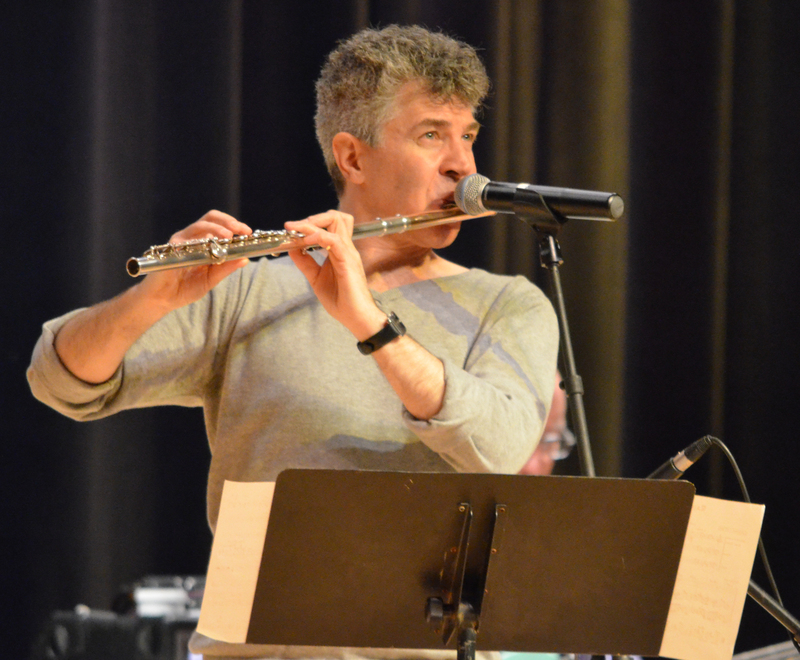 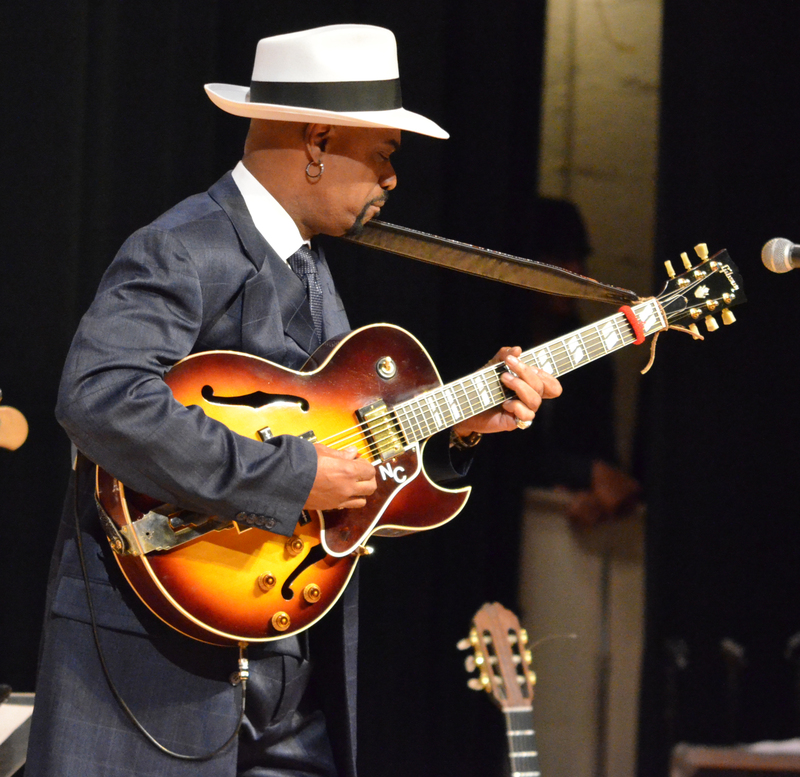 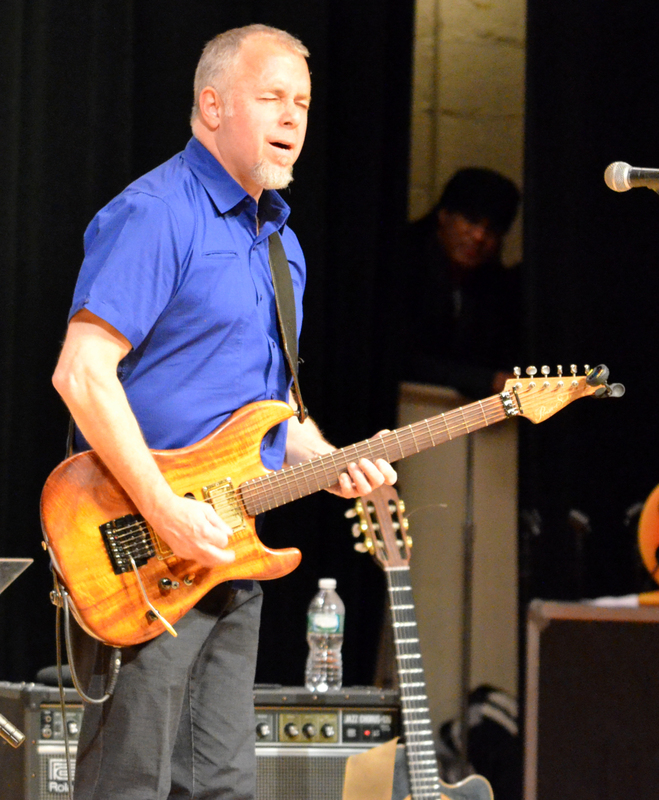 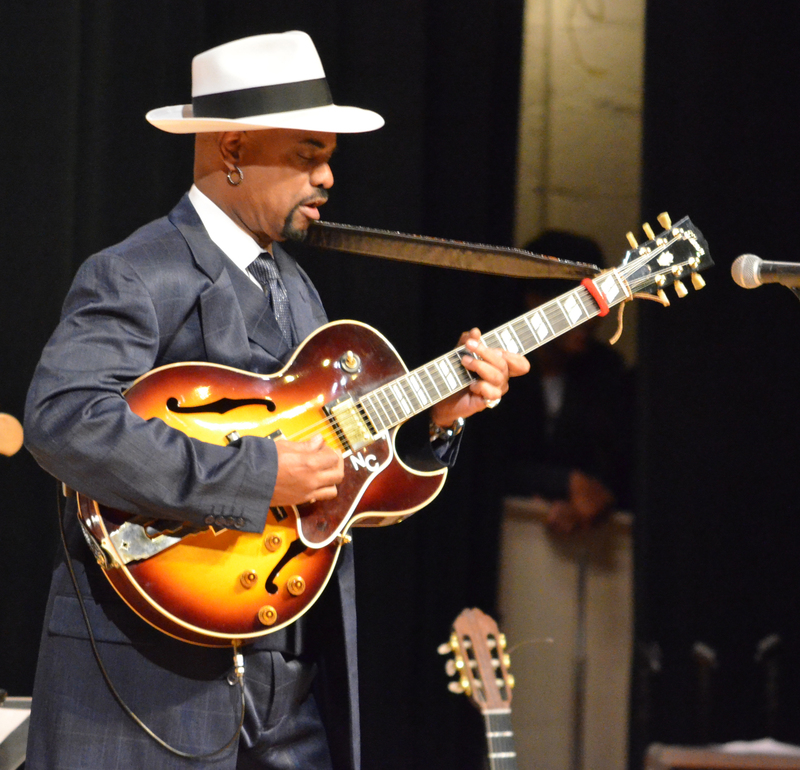 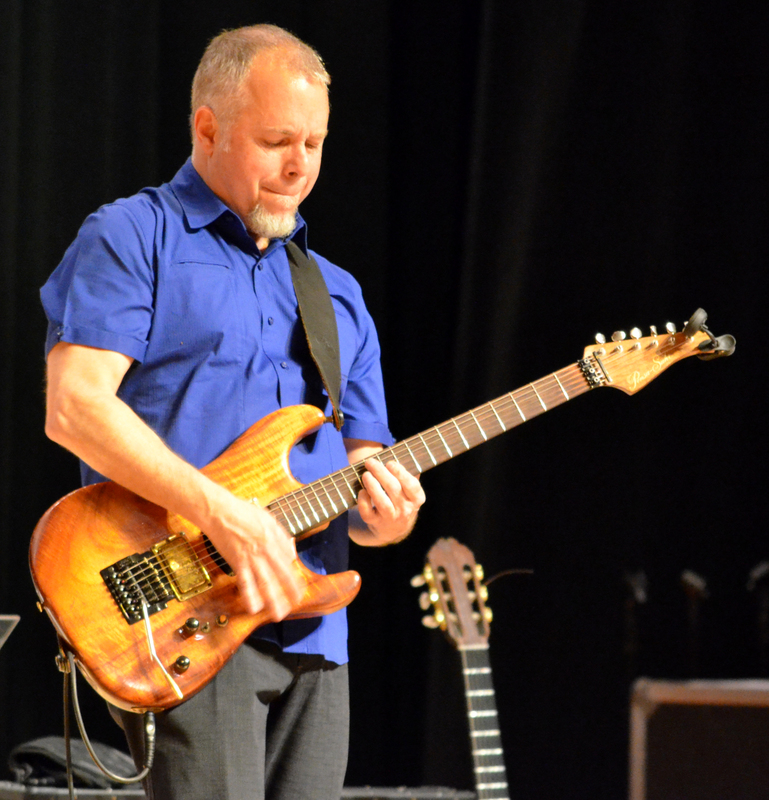 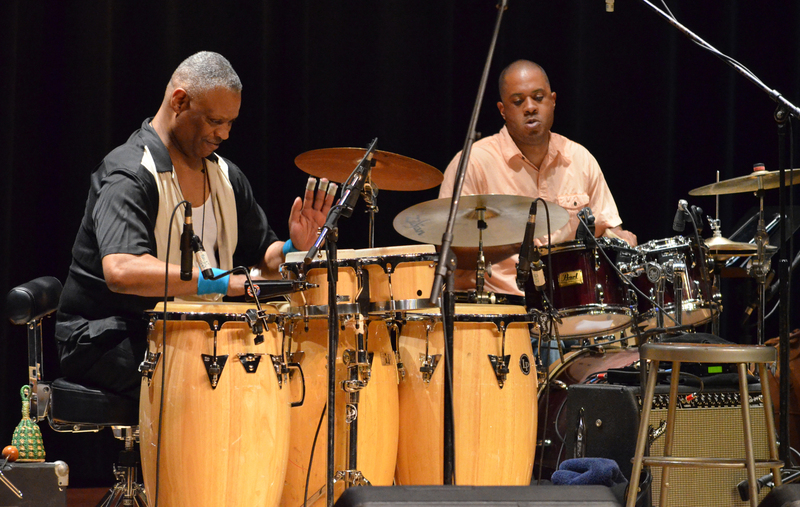 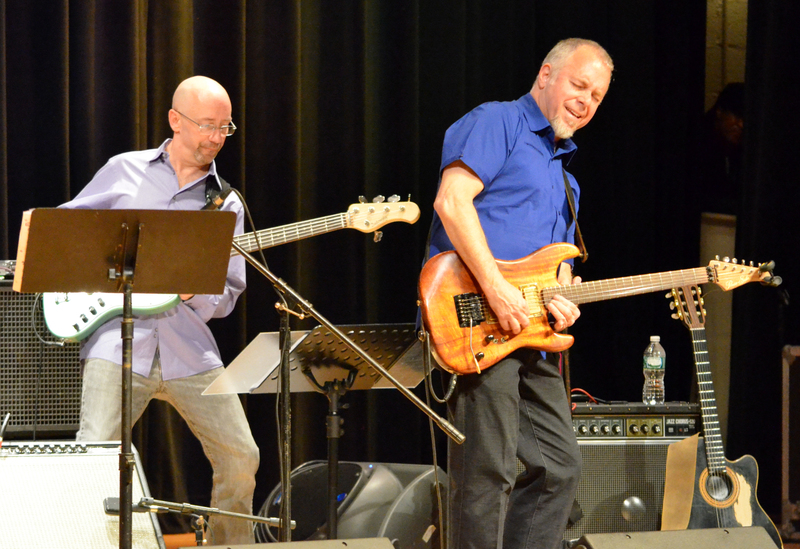 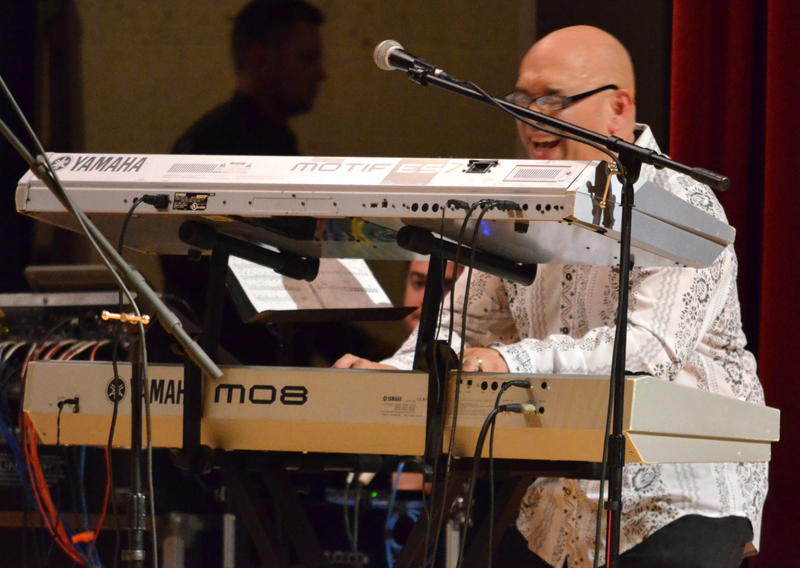 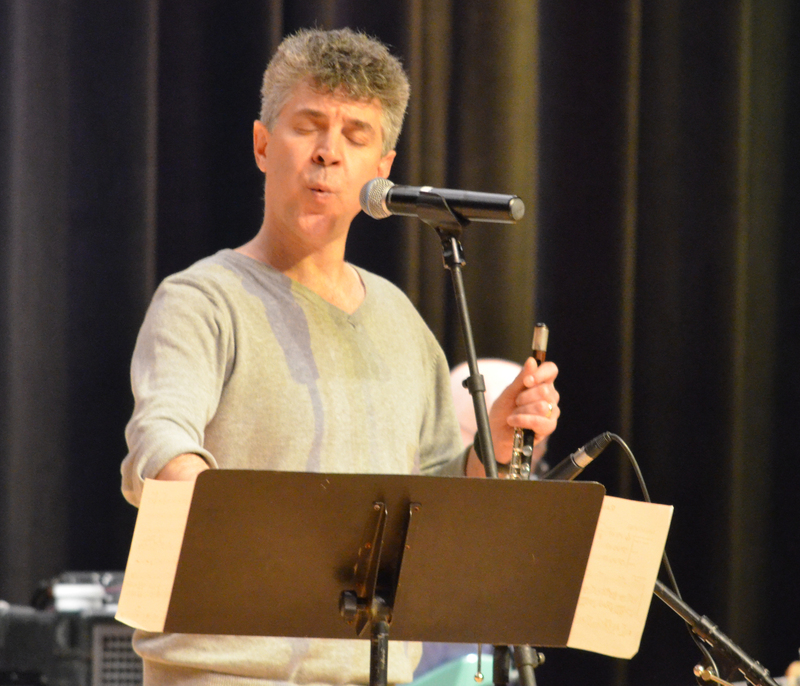 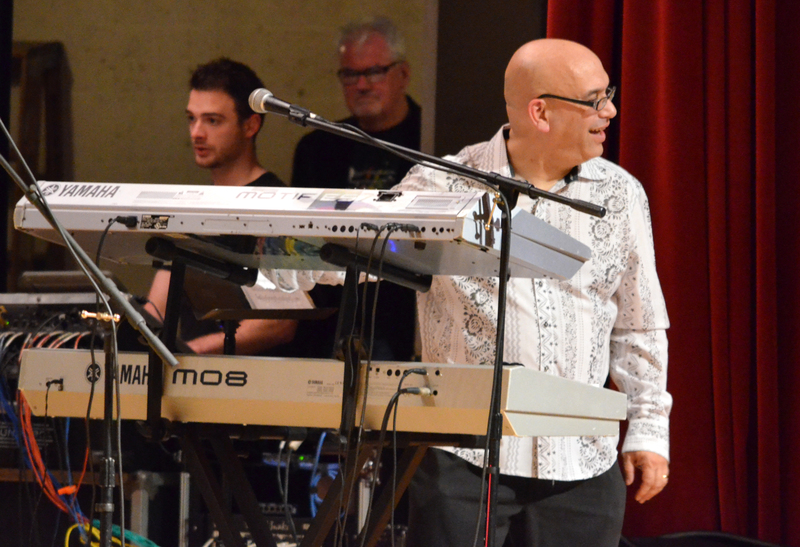 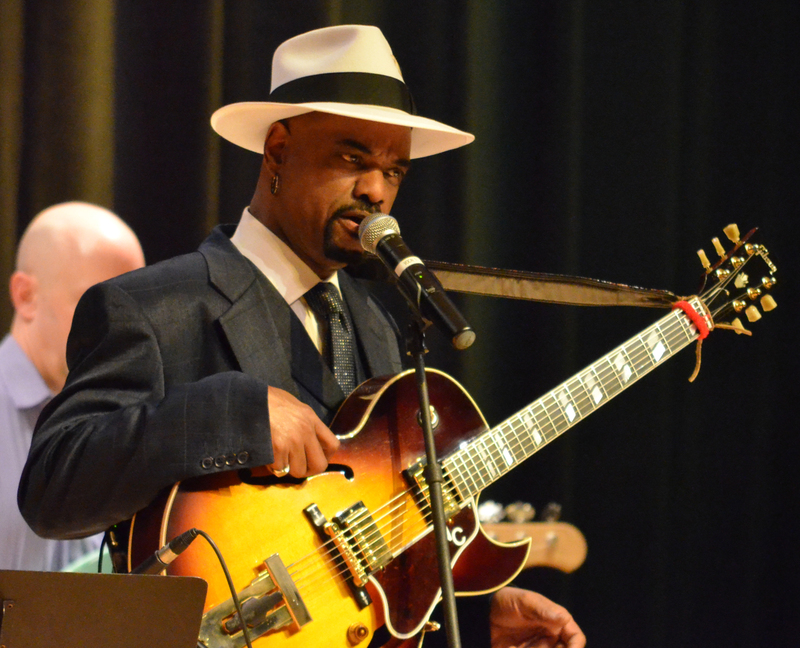 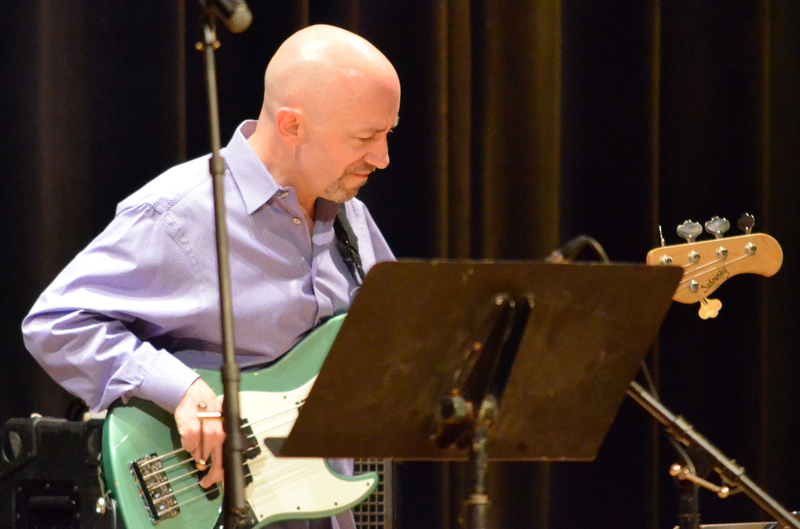 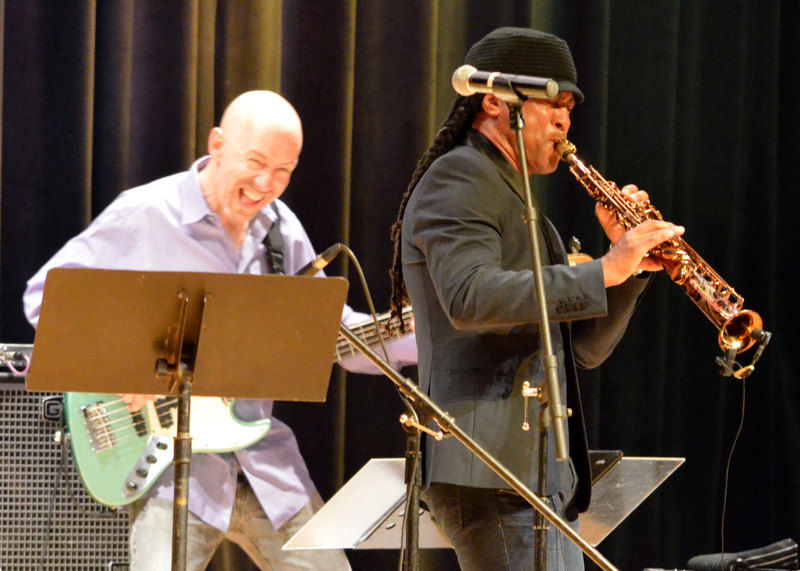 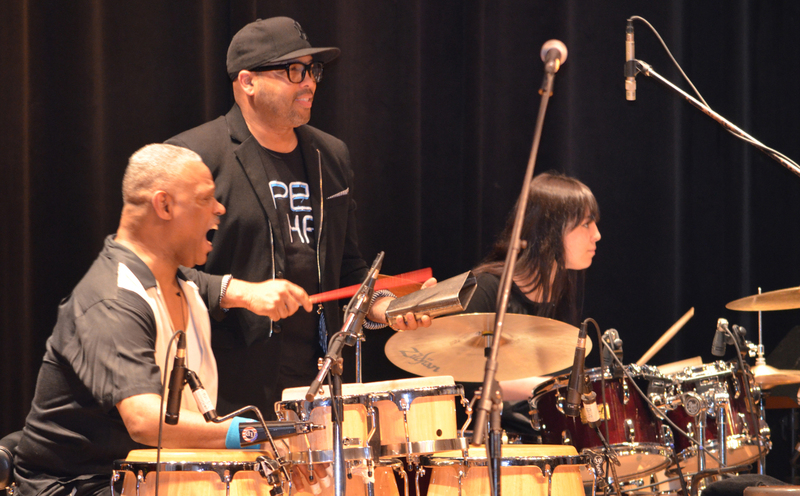 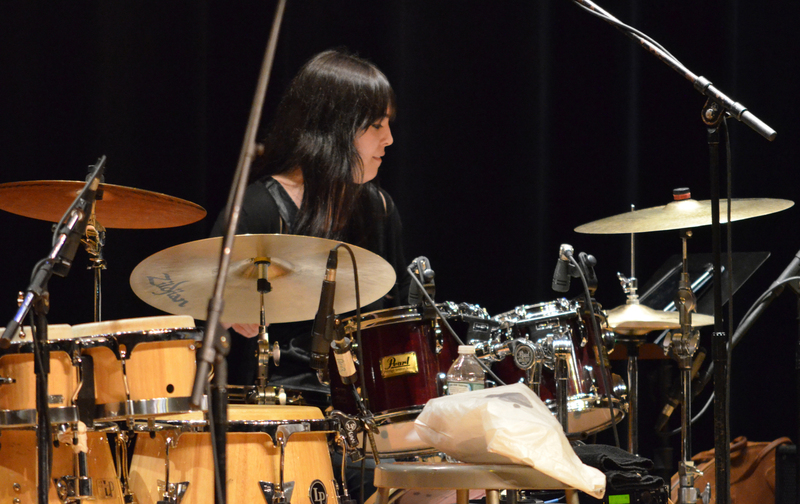 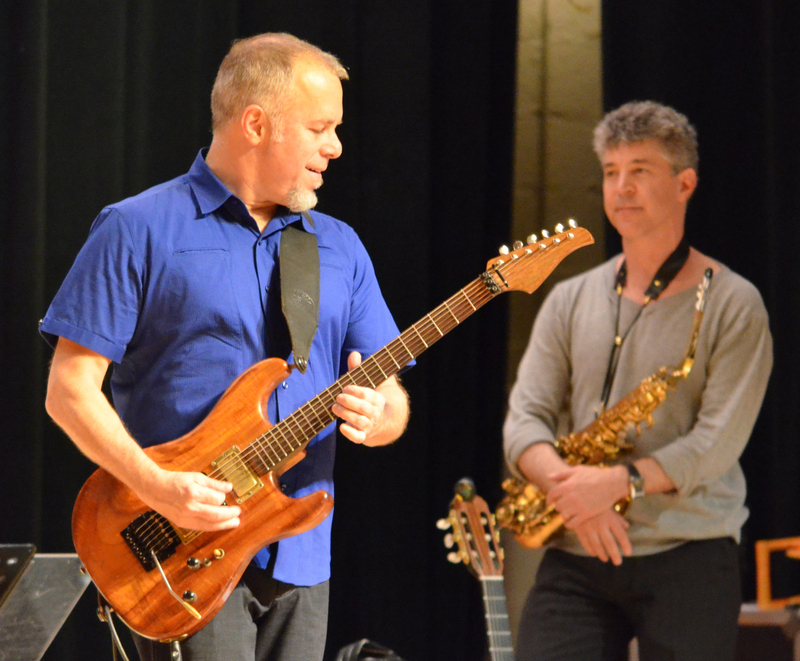 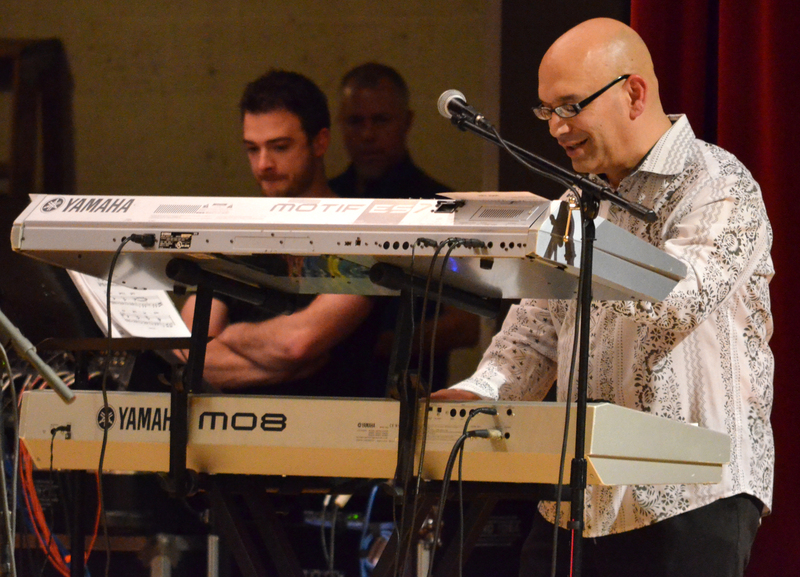 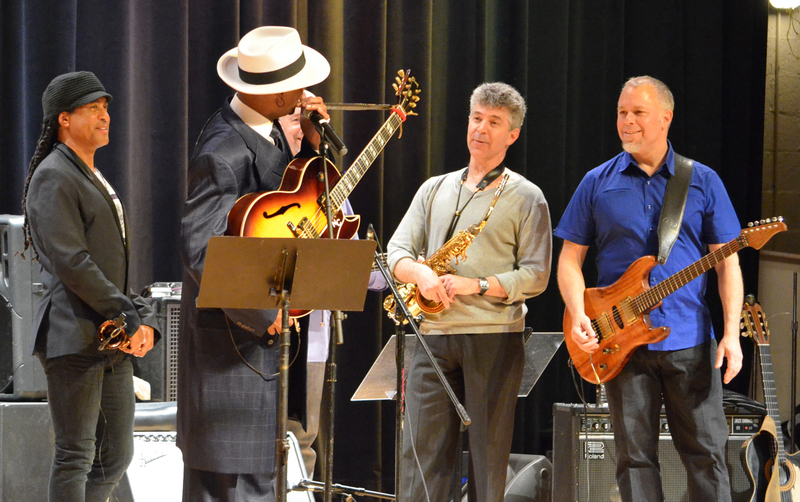 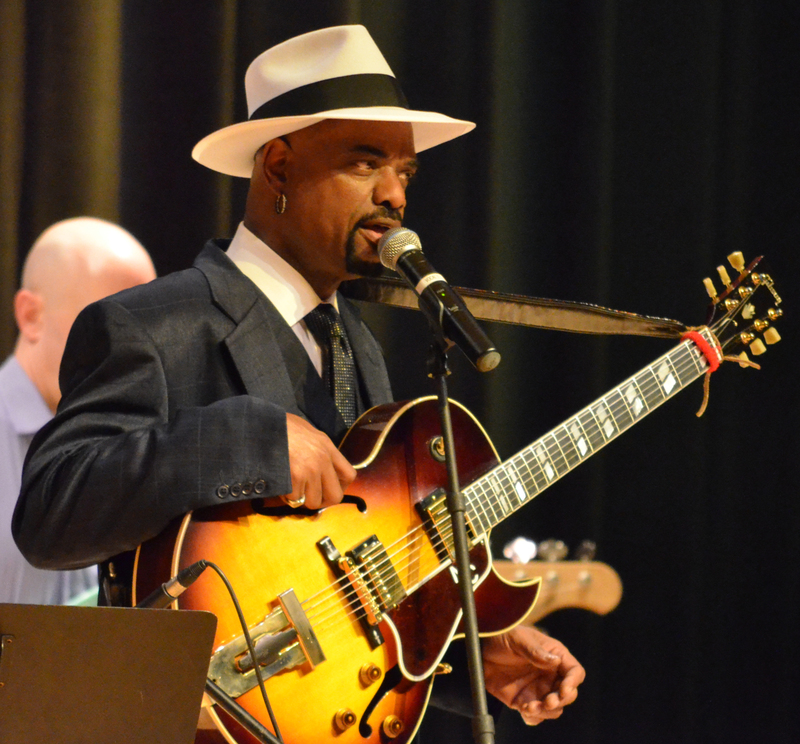 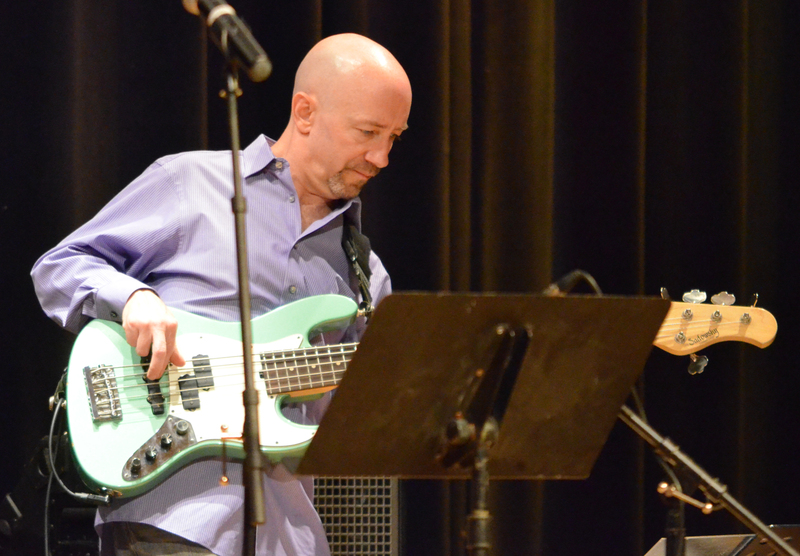 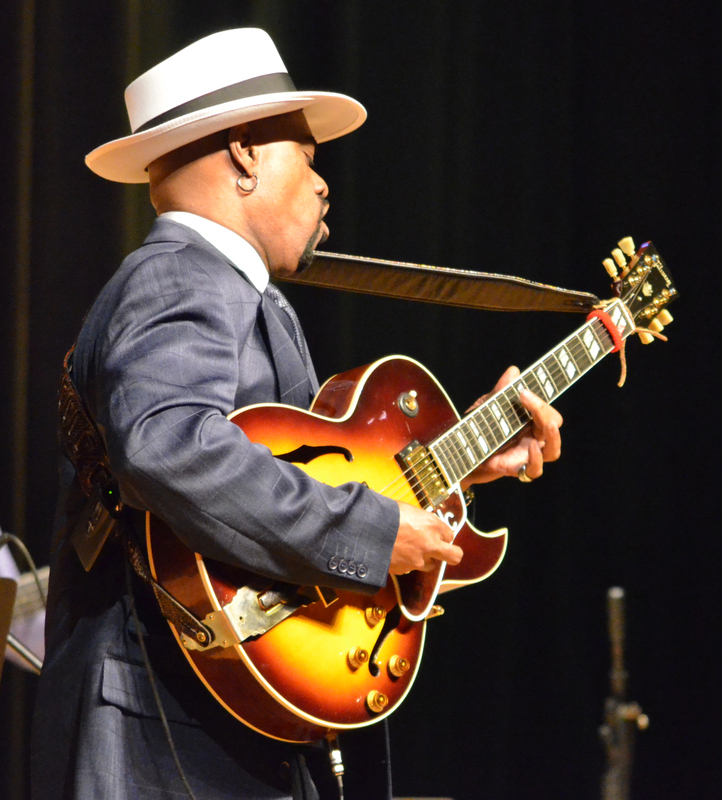 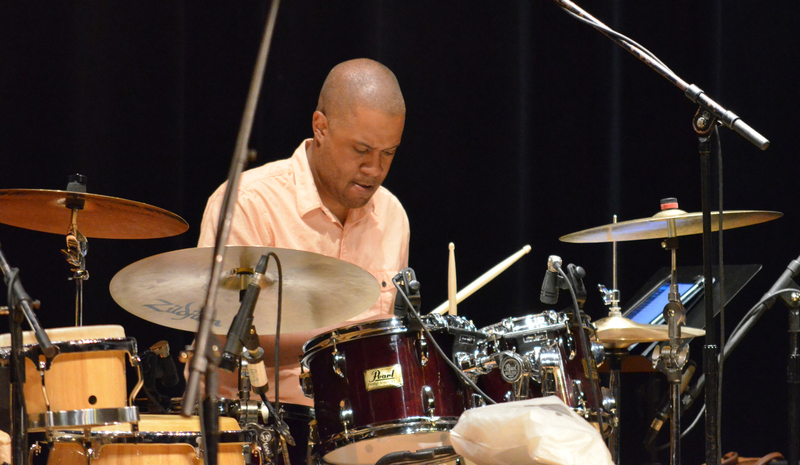 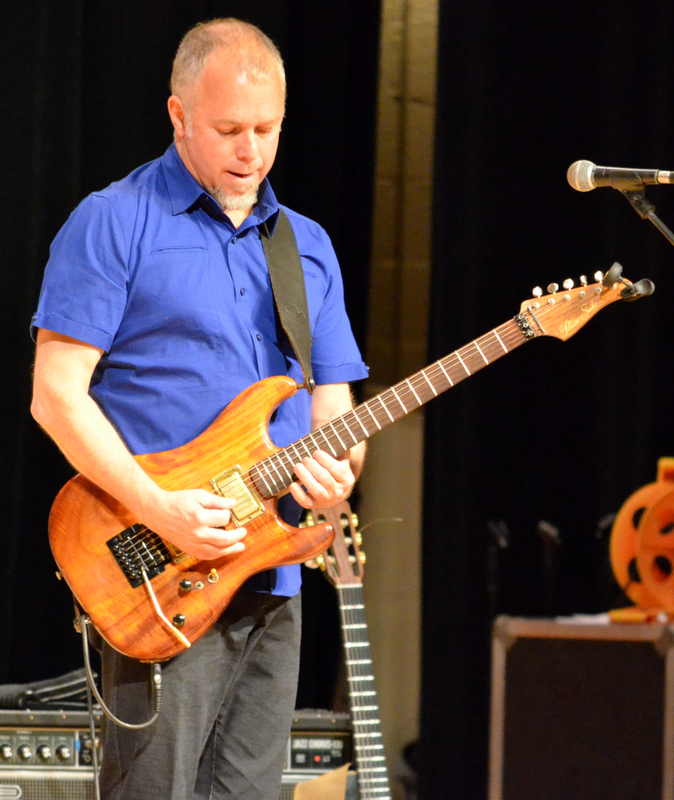 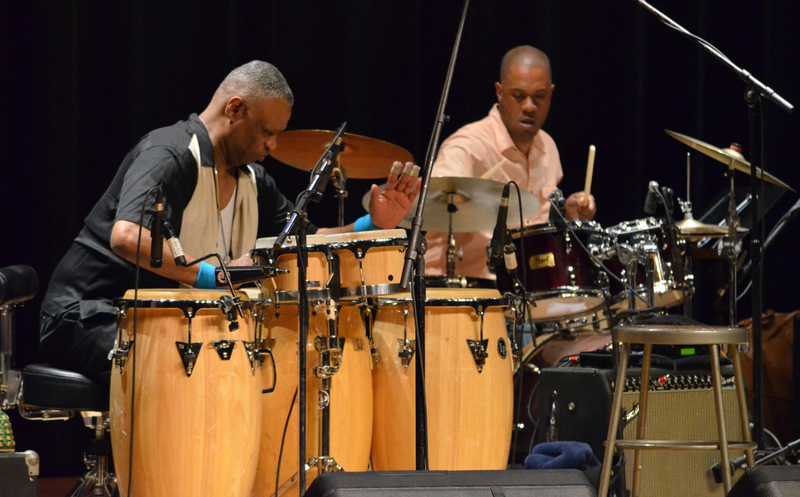 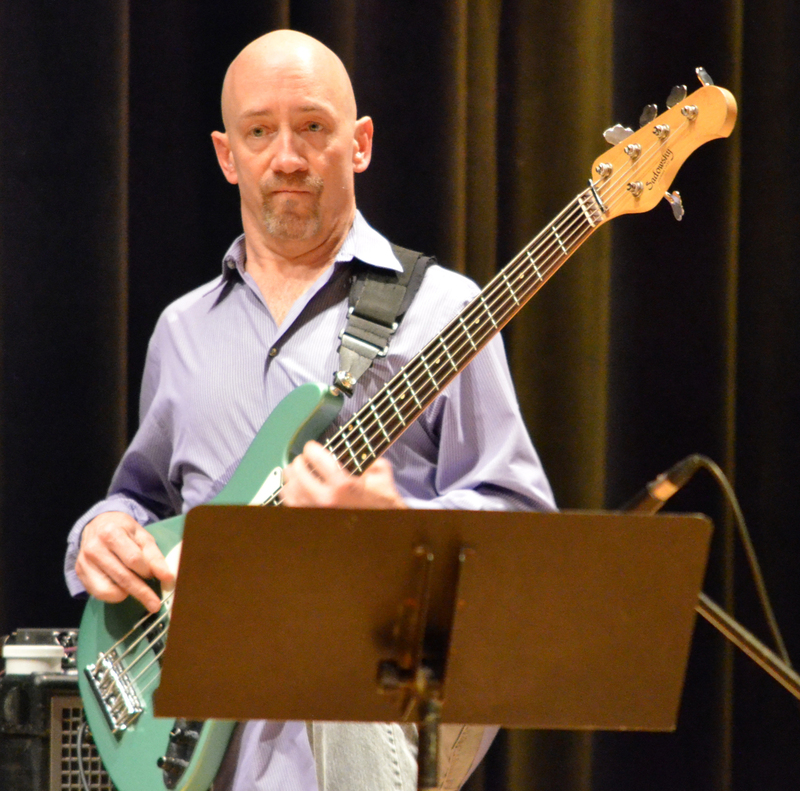 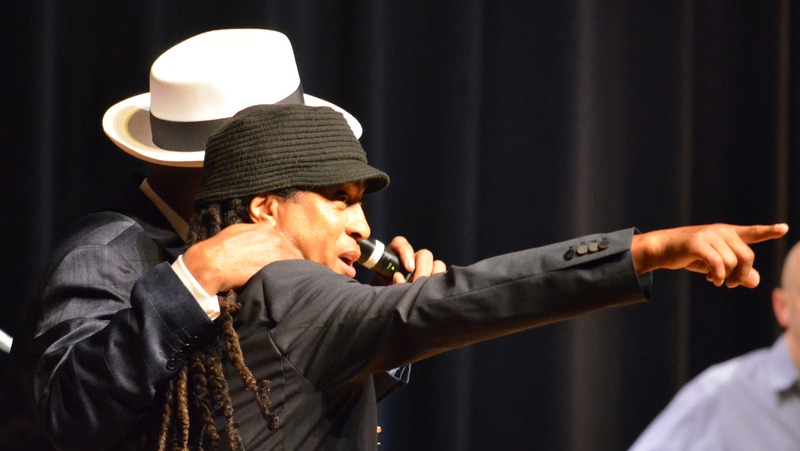 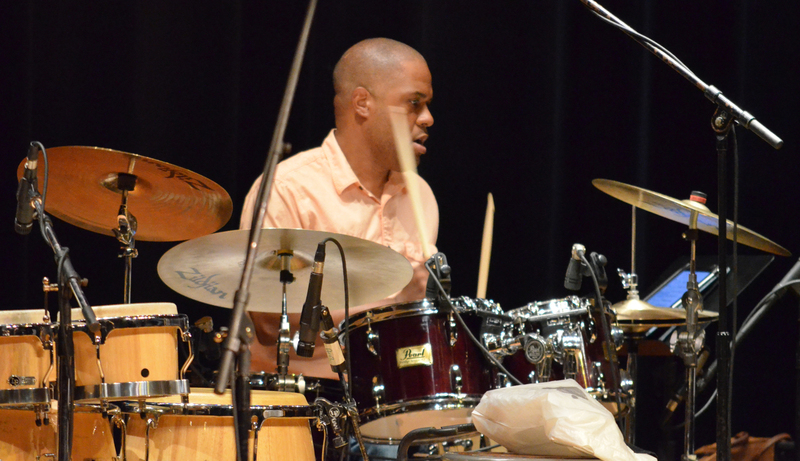 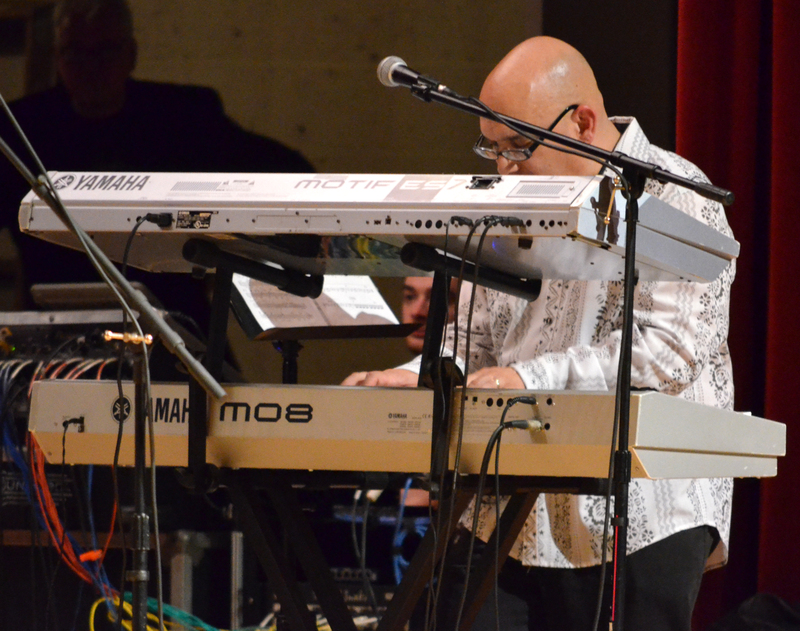 Jay Rowe‘s twelfth annual Smooth Jazz for Scholars benefit concert resumed on Saturday night with a packed house. 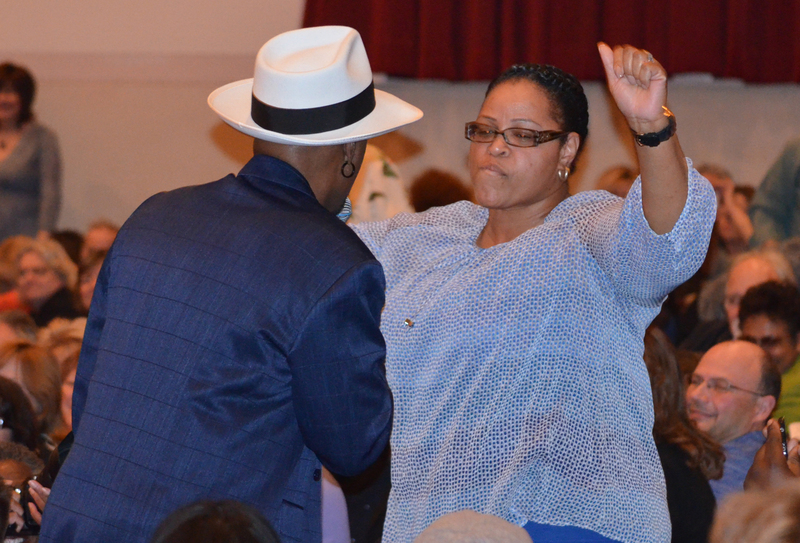 They were in for a wild night. 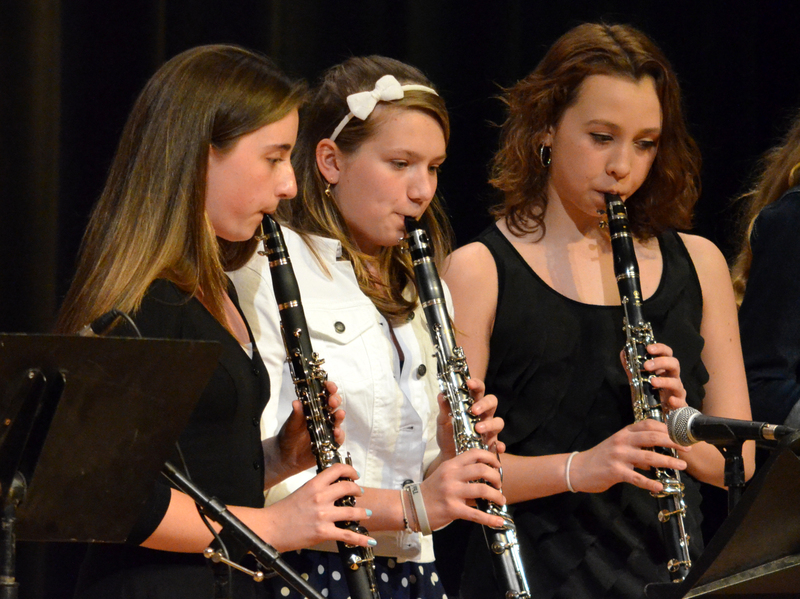 The first song of the night was by select members of the West Shore Middle School Band. 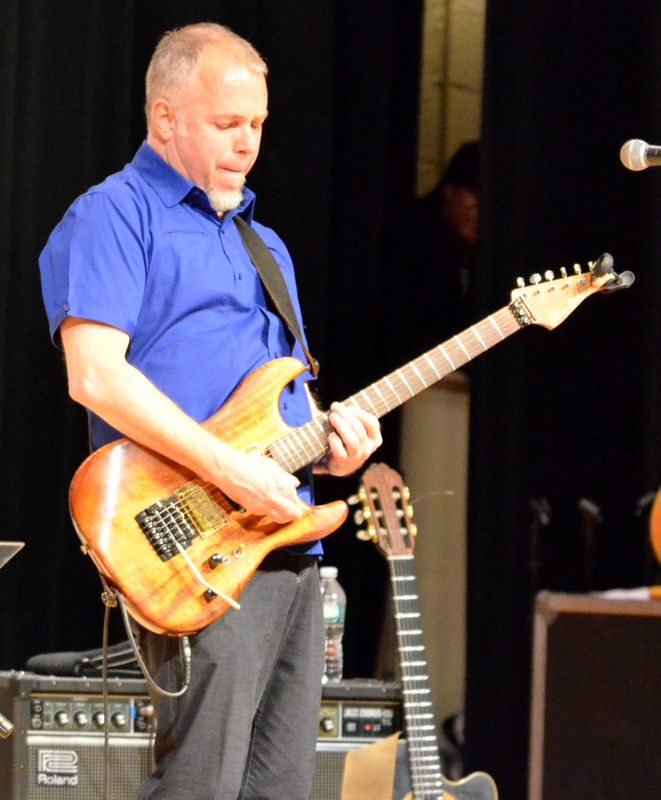 Twelve hours earlier on Facebook, the band’s teacher, Bob Nunno, let me know that some of his students would be opening the show. 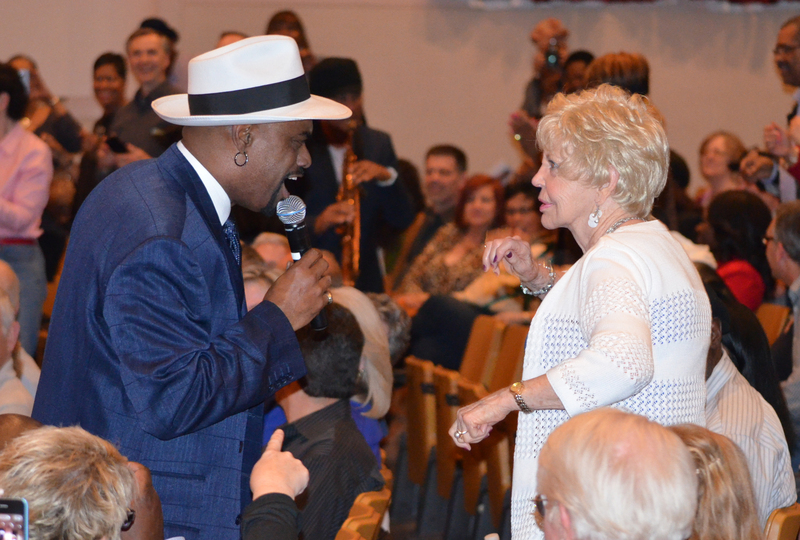 I told him that was great and I looked forward to seeing them. 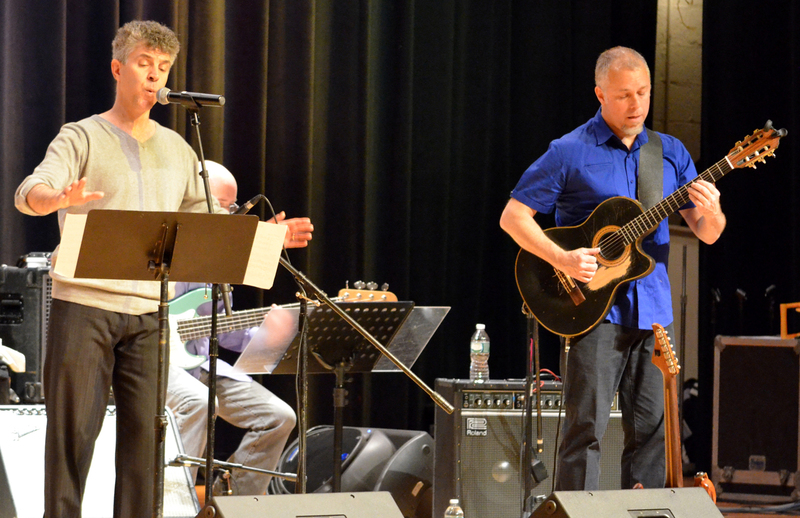 Pictures from their song can be found in the set list below. 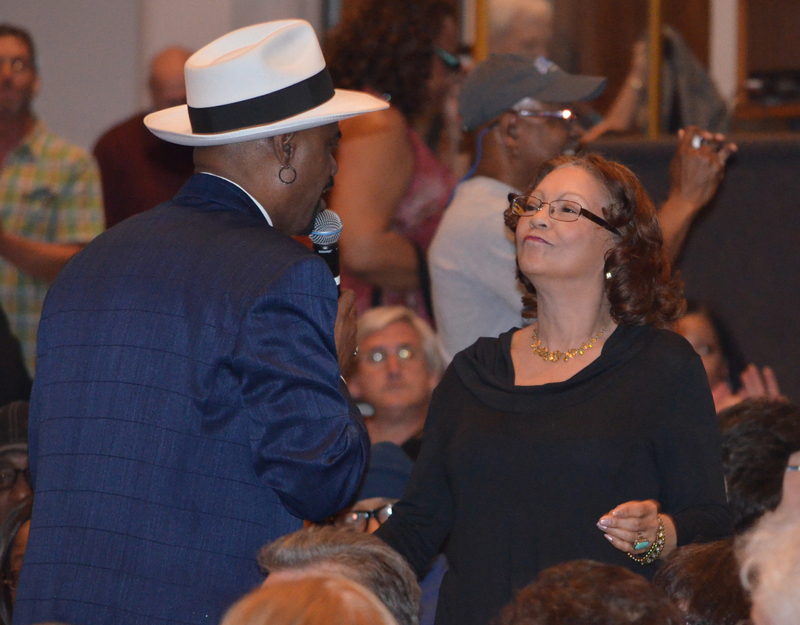 Marion and Jay co-wrote this song, the last track on “Body Rhythm,” which featured both them and Dave Anderson. 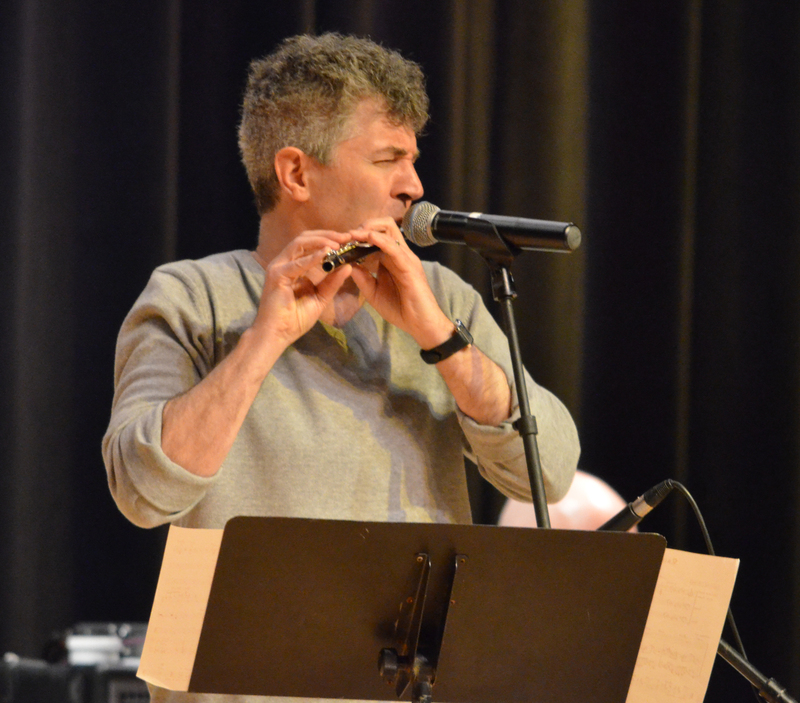 When I spoke to Jay in February, I wondered what Nelson’s whistle song would be this year. 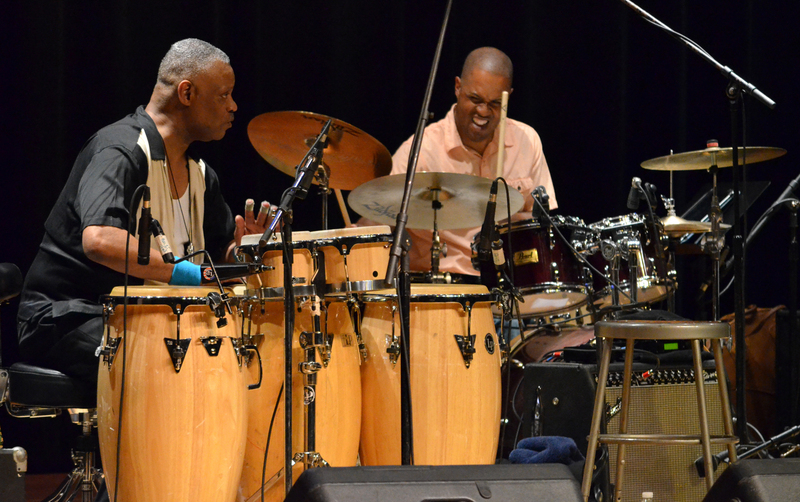 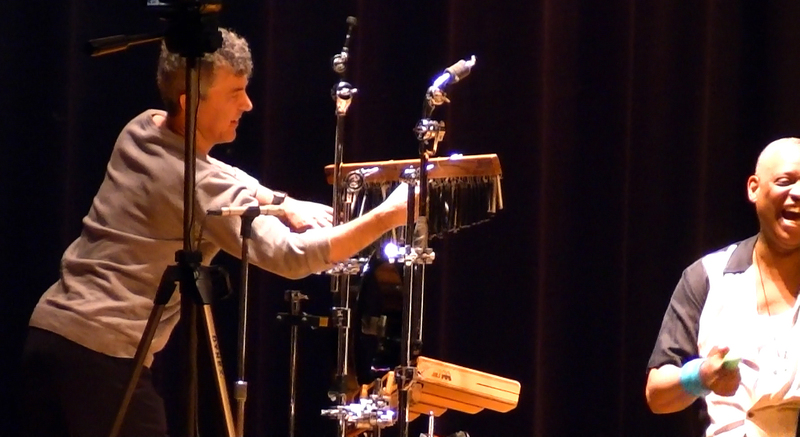 This was a pleasant surprise, and the second year in a row where Nelson covered a Jobim tune. 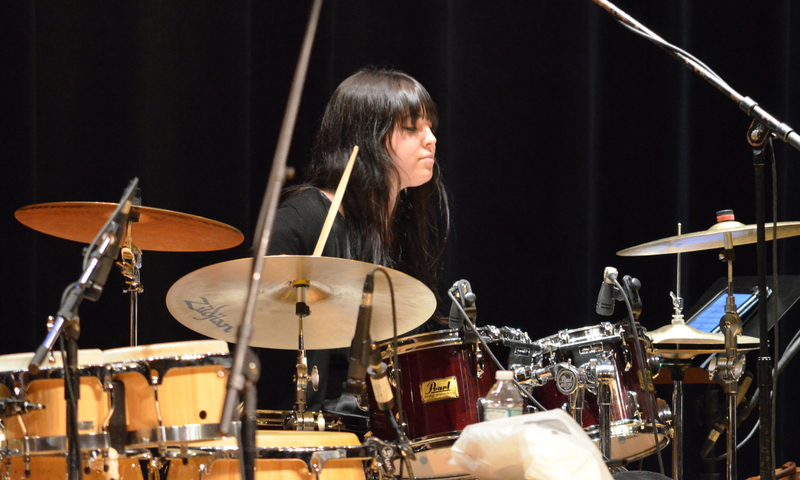 This was Caitlin’s first appearance at SJFS in six years. 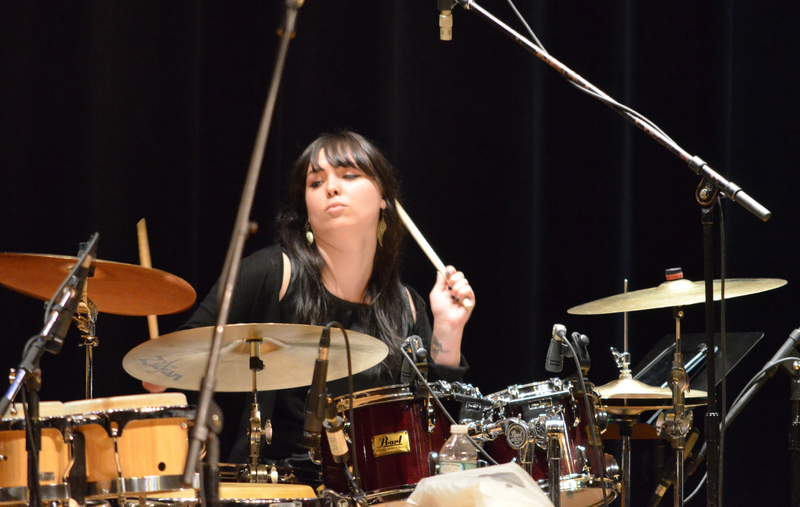 To be blunt, she rocked! 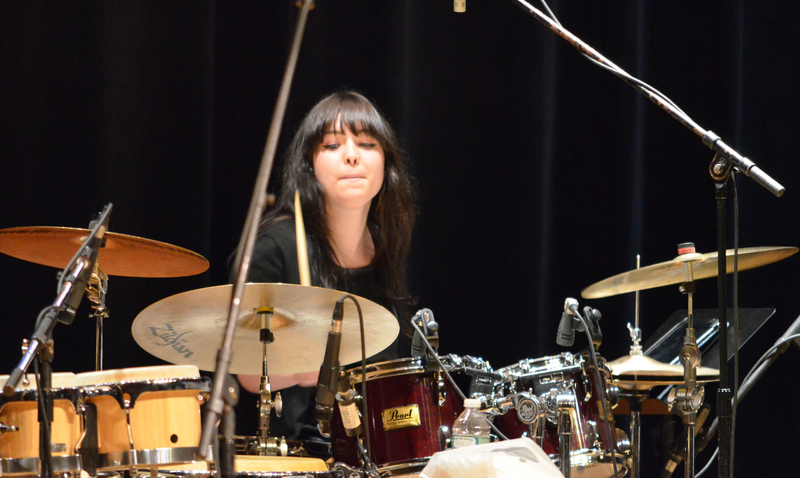 Putting together these recaps is a labor of love. 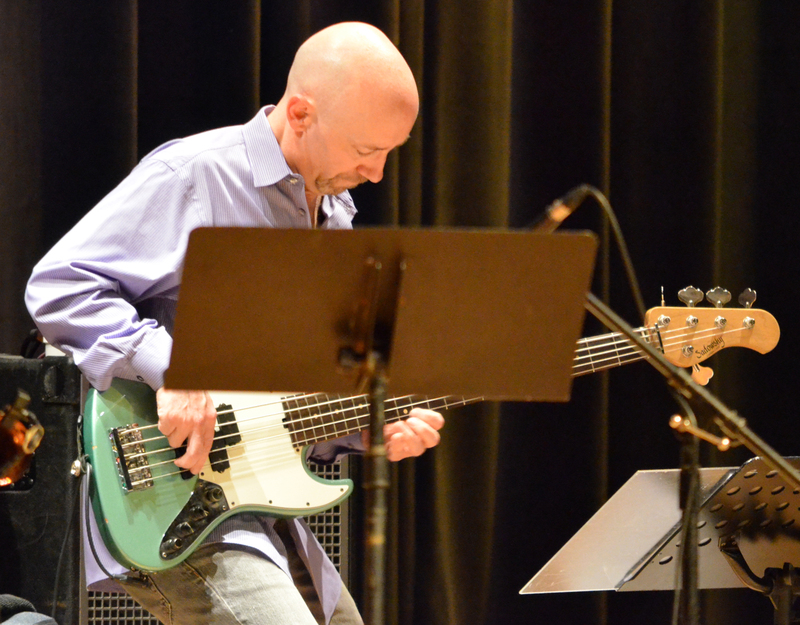 From capturing to editing to uploading to writing, it’s a long and trying process. 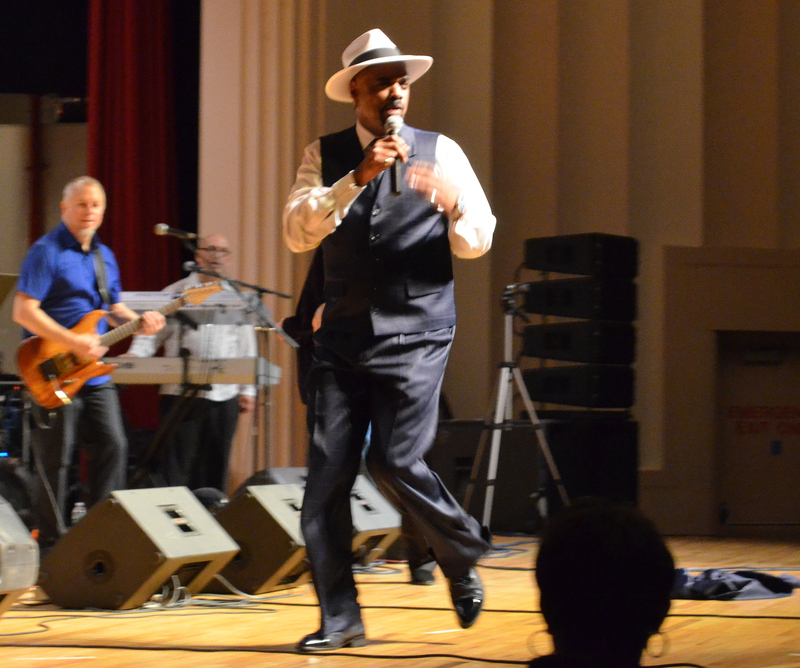 When I left the Parsons Complex on Saturday night, I contemplated not going again. 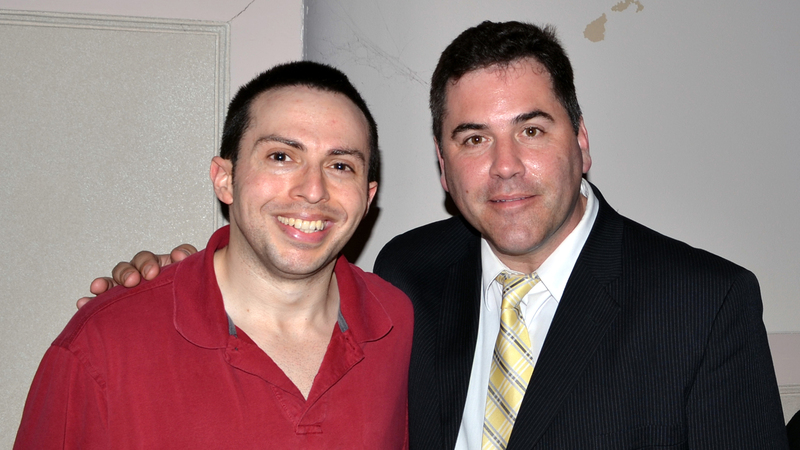 But that would be crazy. 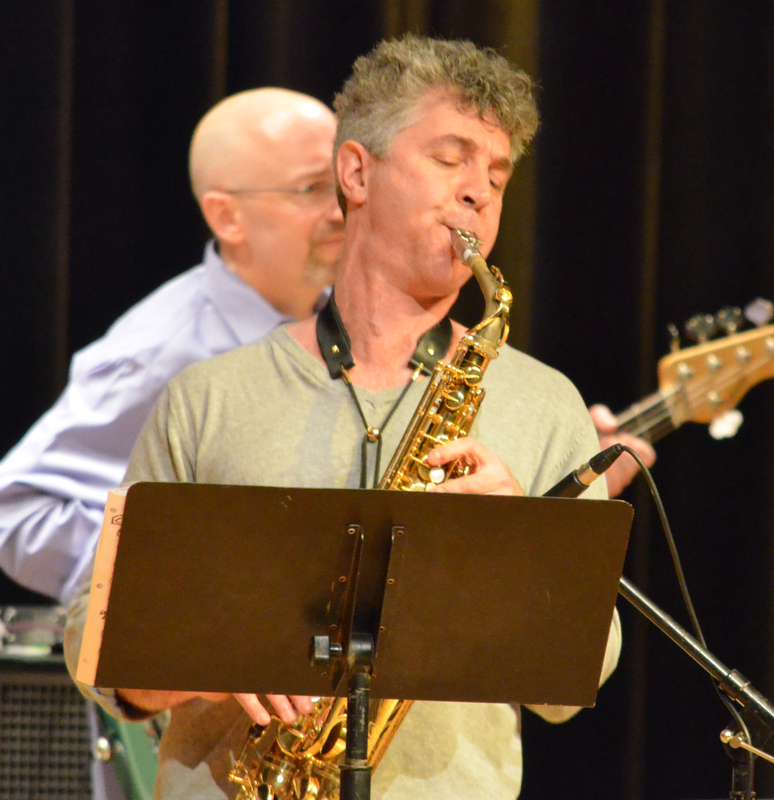 I love Smooth Jazz for Scholars. 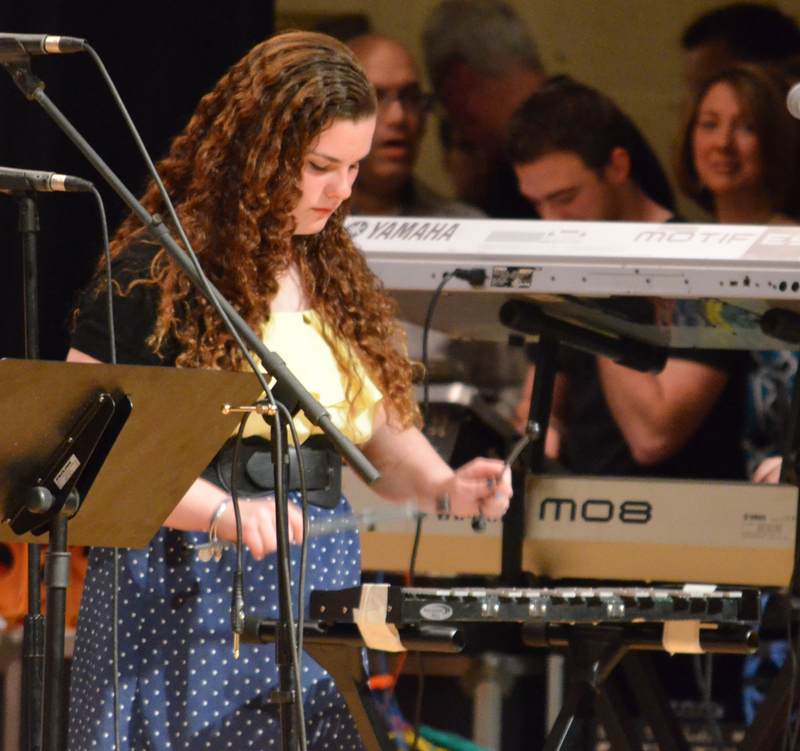 For two days out of the year, Milford is my home. 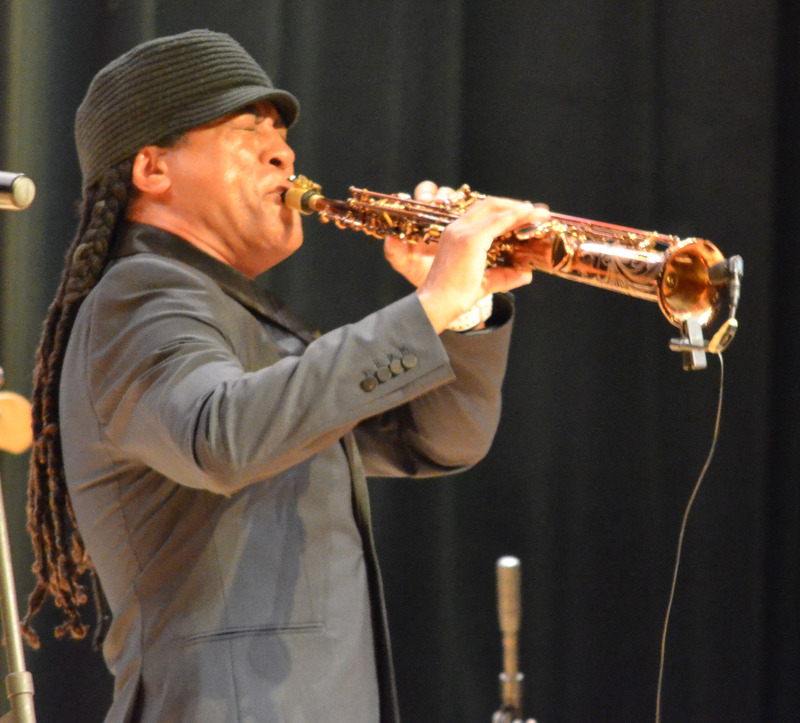 I am grateful to Jay and everyone involved each year for putting on what I consider the Super Bowl of contemporary jazz. 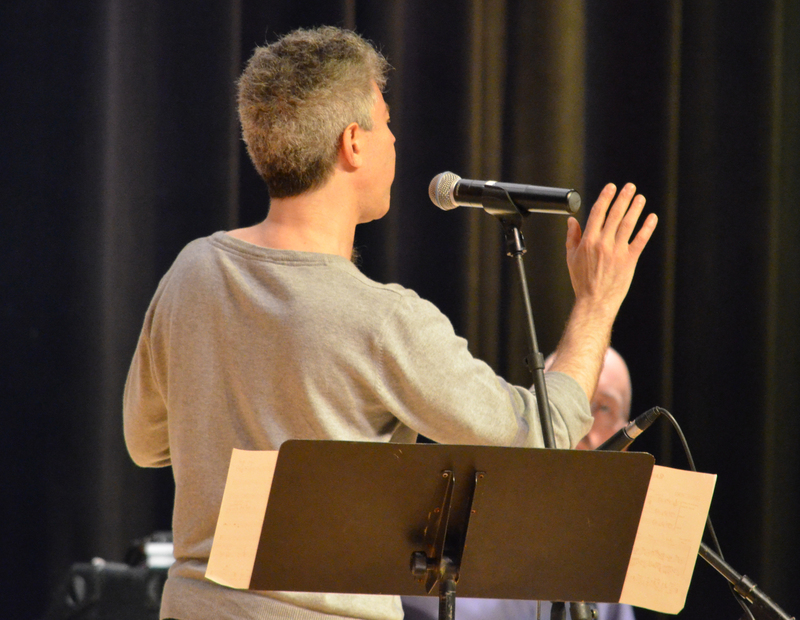 I’ll be back, and I hope you, the reader (if you’re into this genre), make plans to come, too. 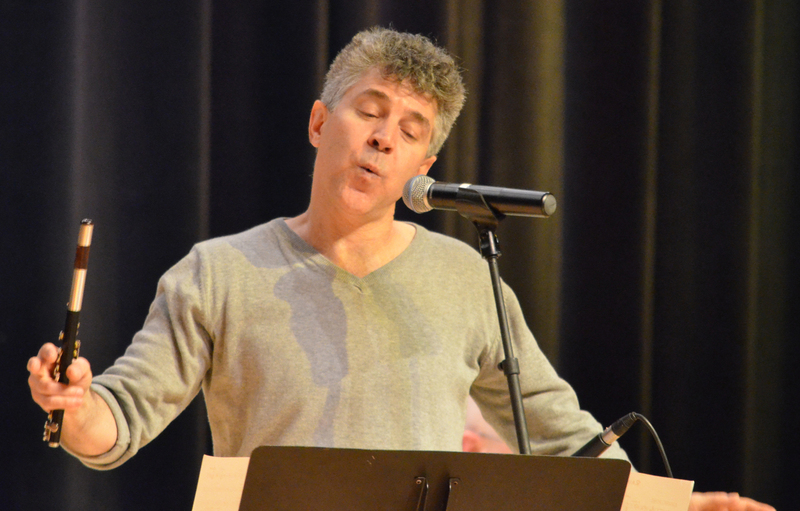 Thank you for reading, and to quote Jay, see you all next year! 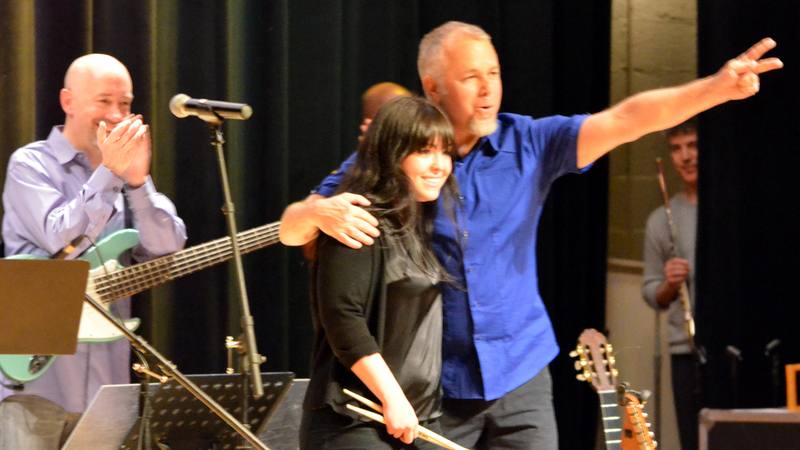 In hindsight, Dana, so do I. 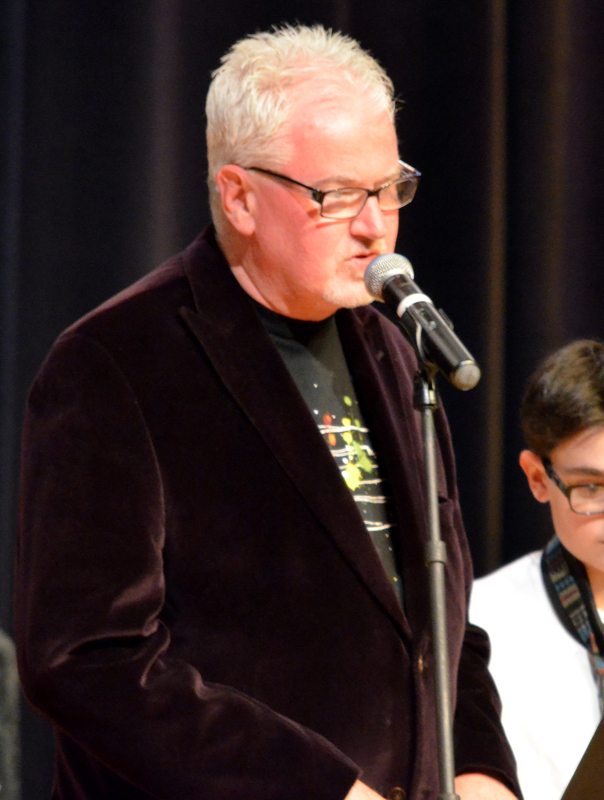 Unfortunately, the speakers were in the way most of the time. 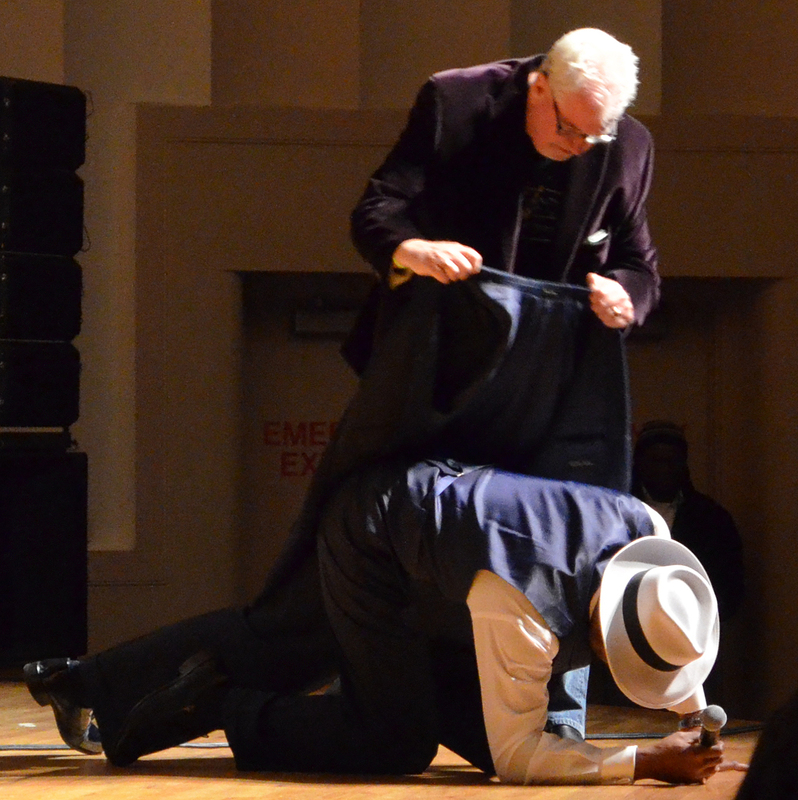 😦 Although his left shoe is visible in a pic at the end of “My Cherie Amour,” and his right shoe can be seen in a pic at the end of Nick’s James Brown tribute.